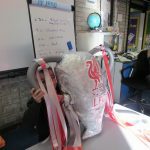 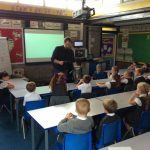 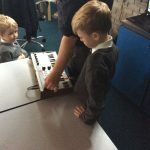 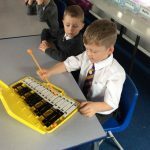 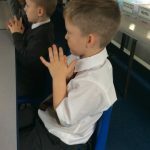 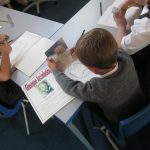 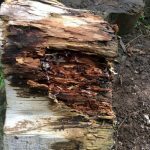 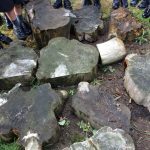 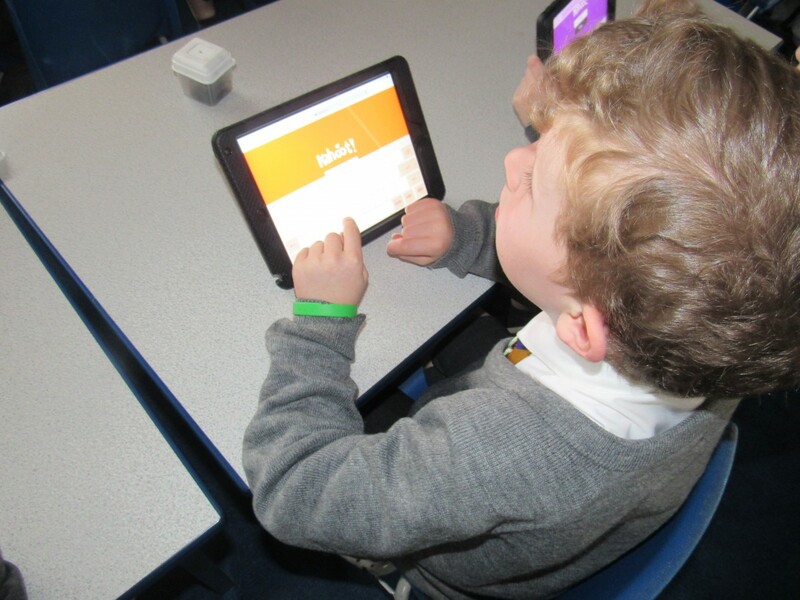 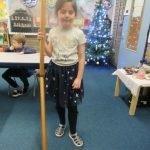 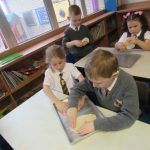 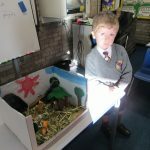 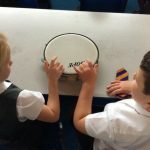 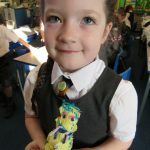 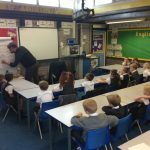 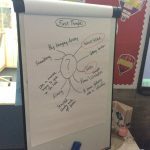 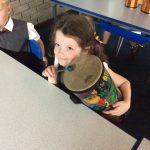 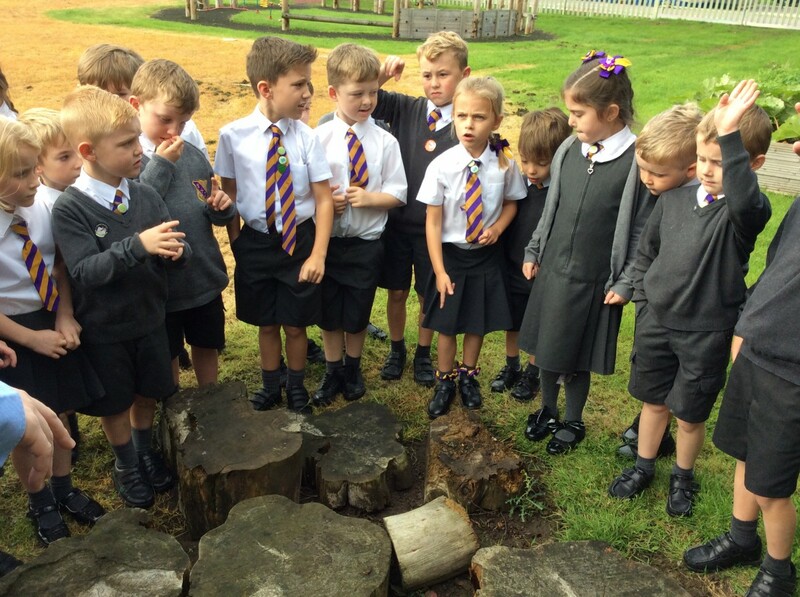 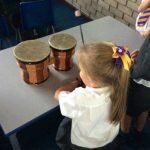 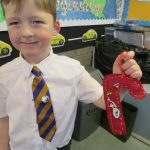 Welcome to the Year 2 webpage, we hope this page gives you all of the information about Year 2 that you need. 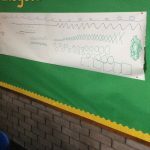 If you would like information about anything else please do not hesitate to contact Mr Brooks or Mrs Yates. 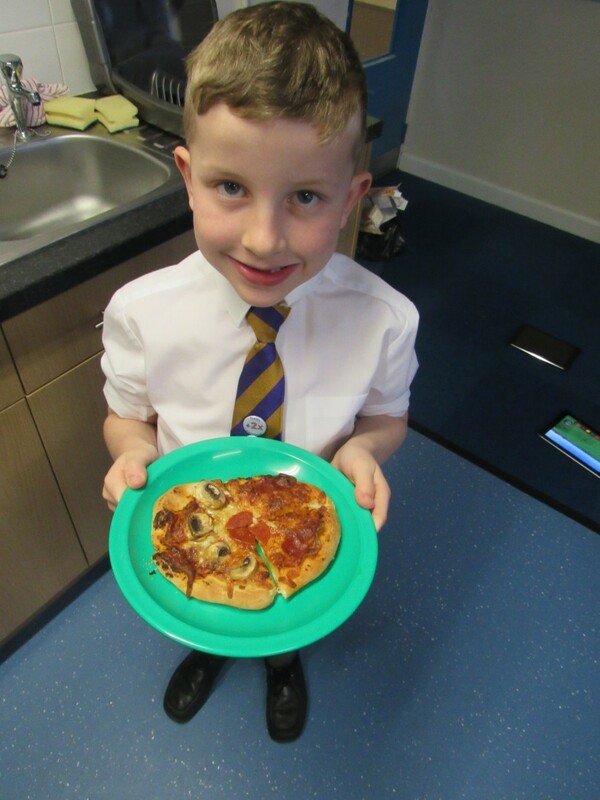 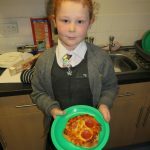 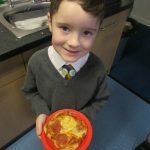 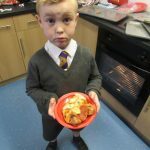 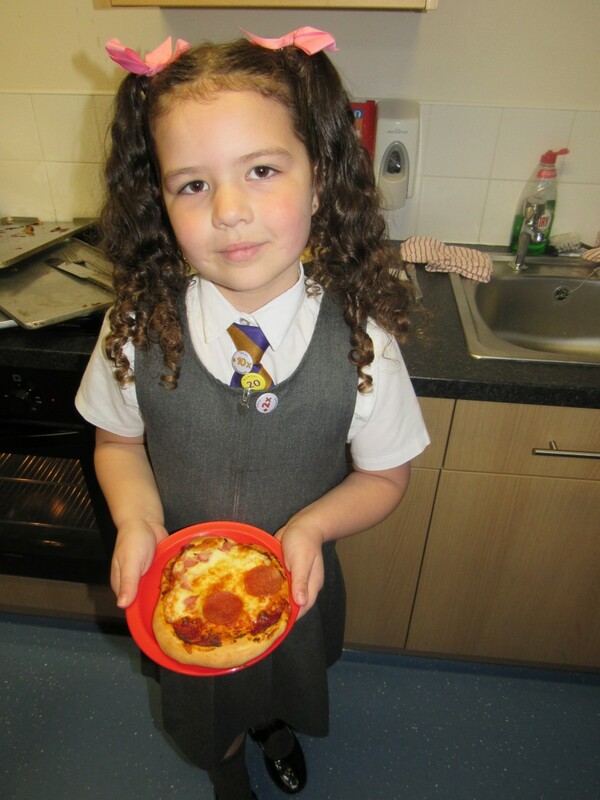 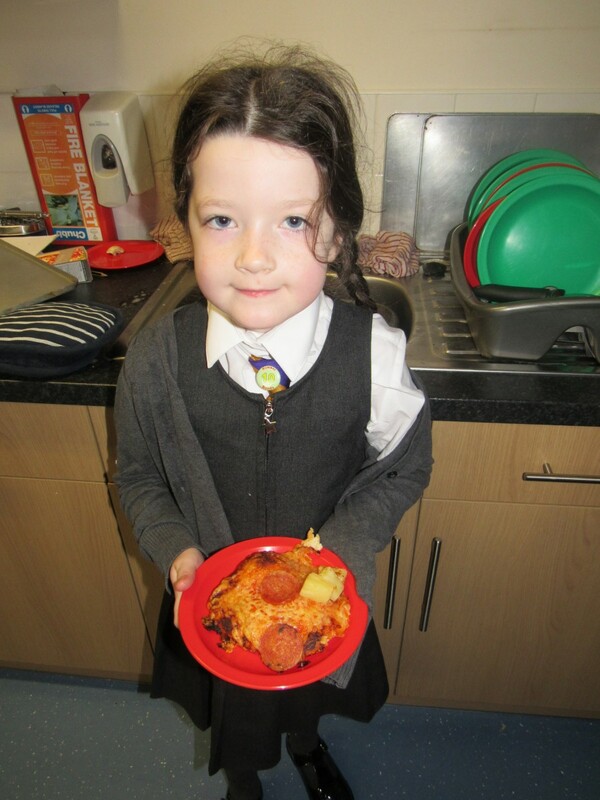 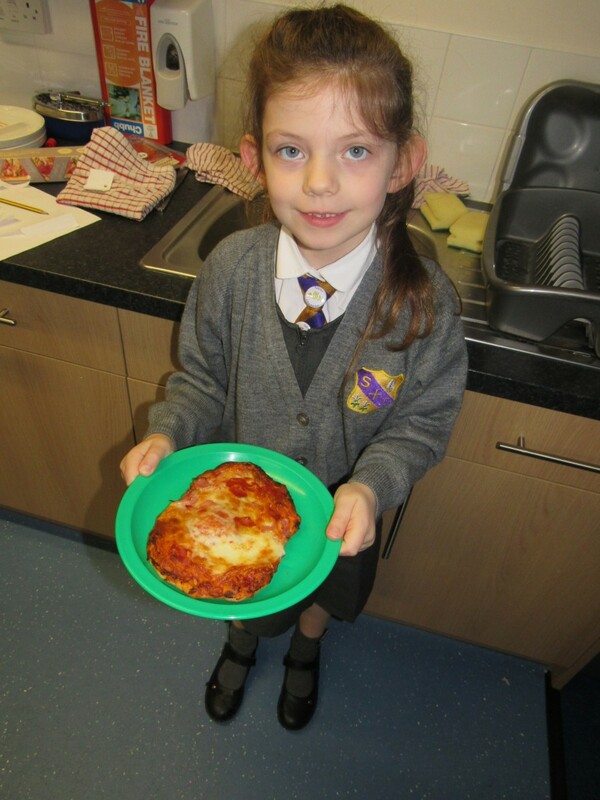 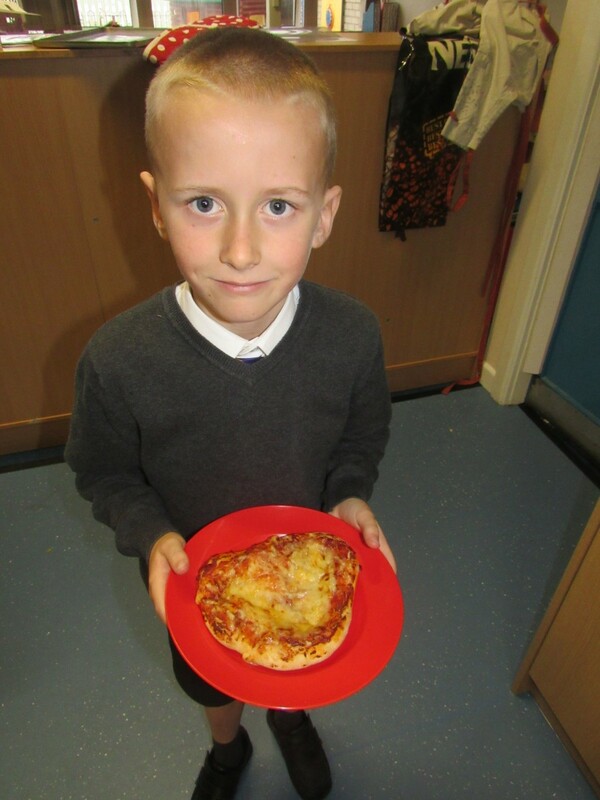 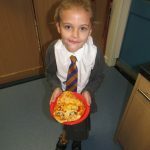 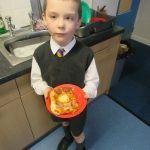 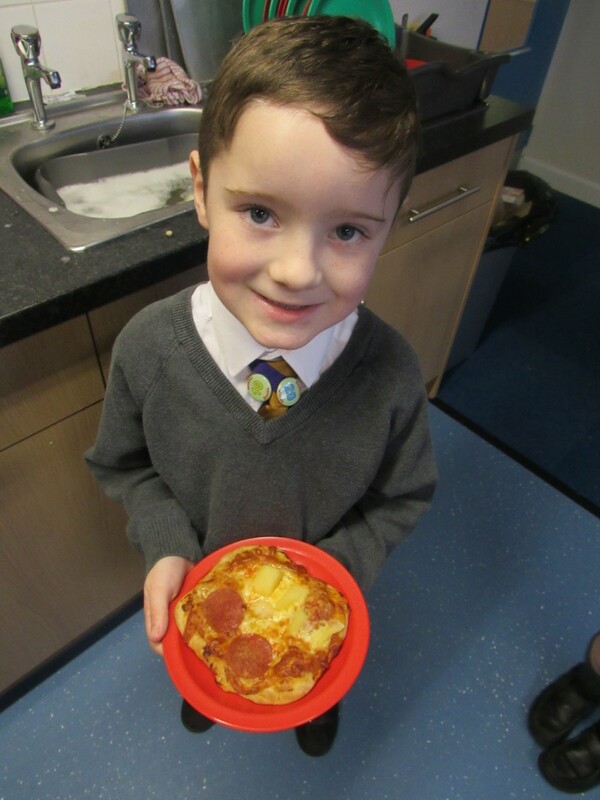 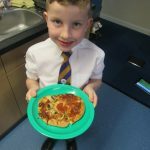 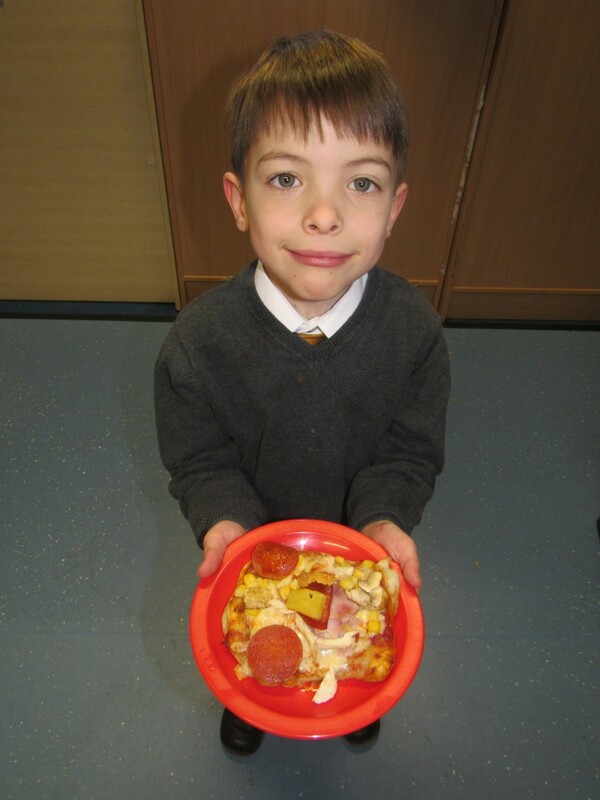 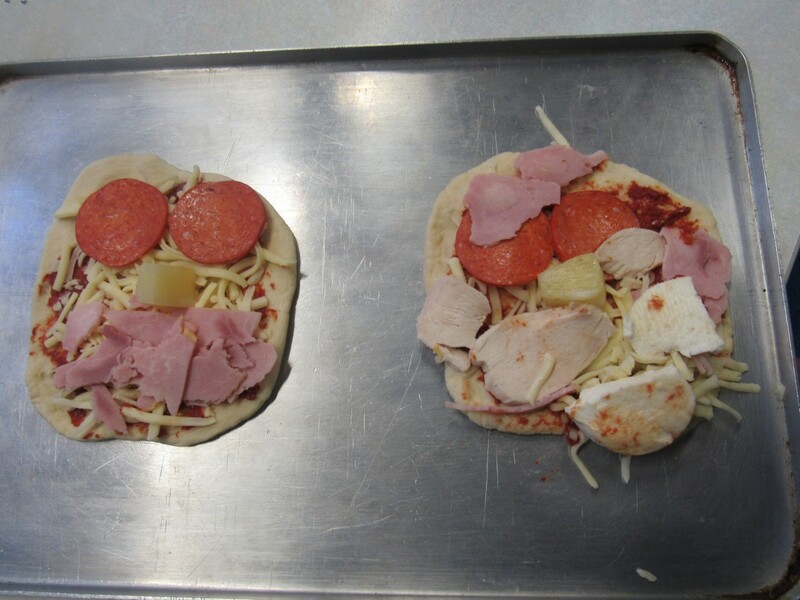 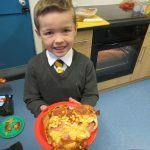 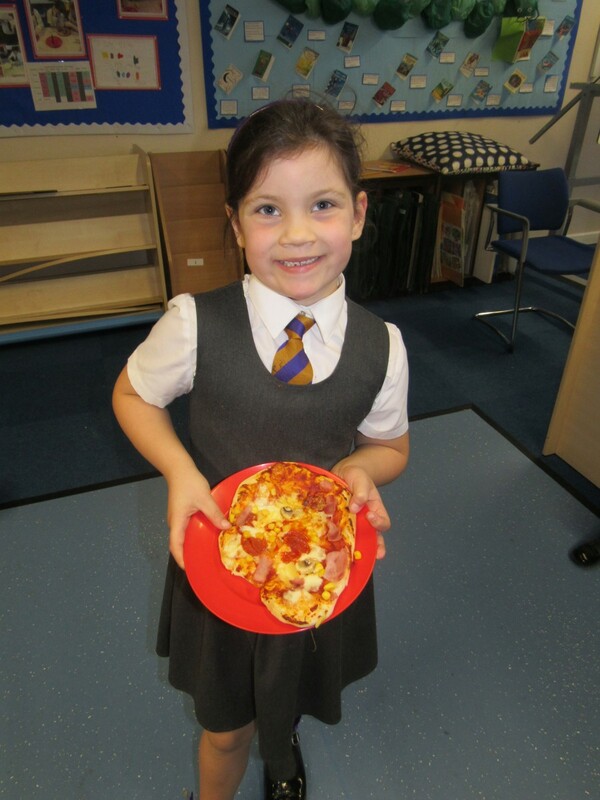 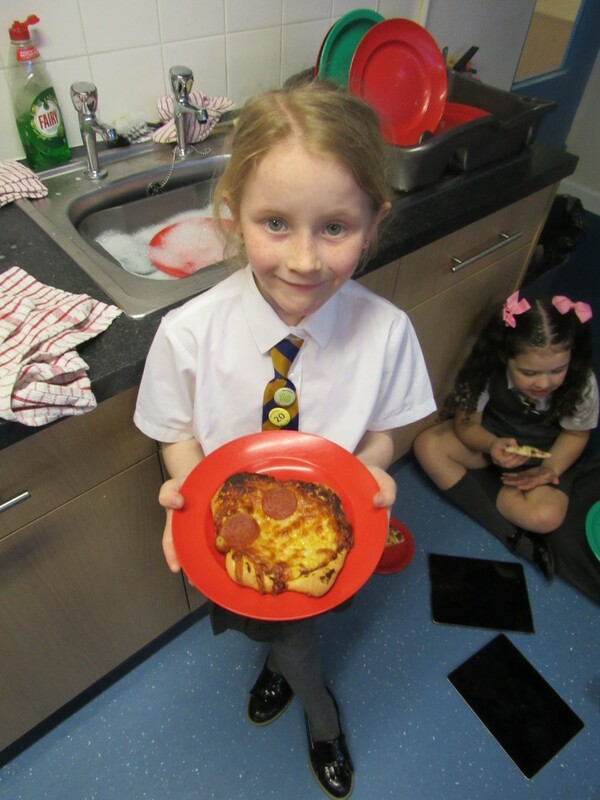 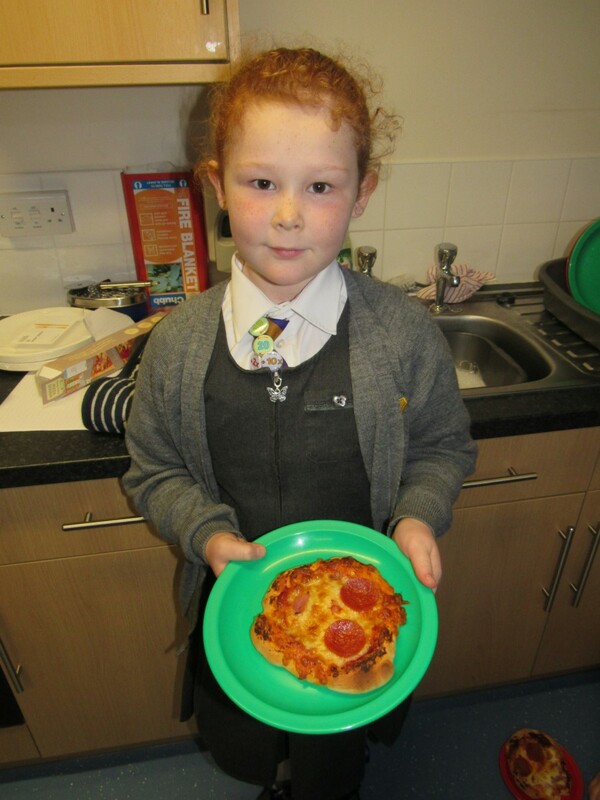 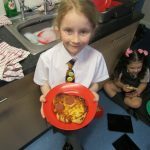 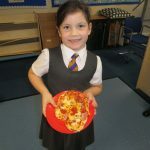 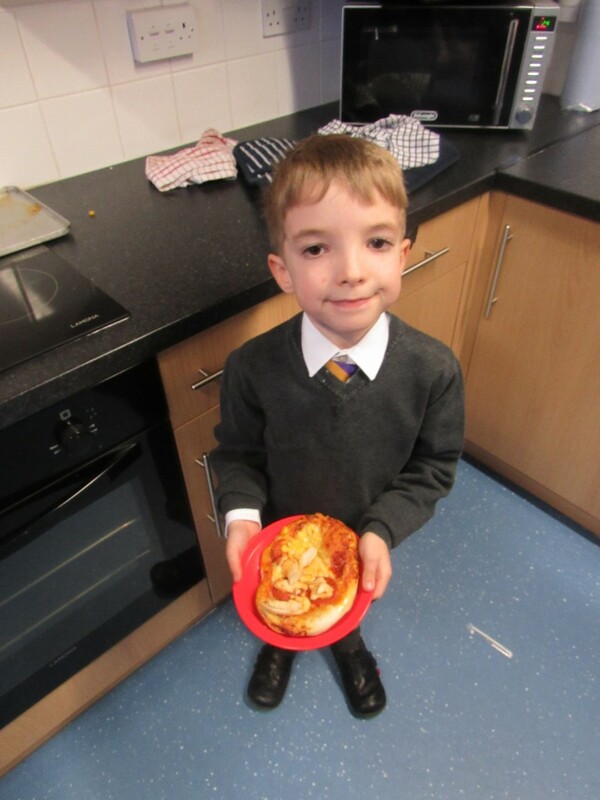 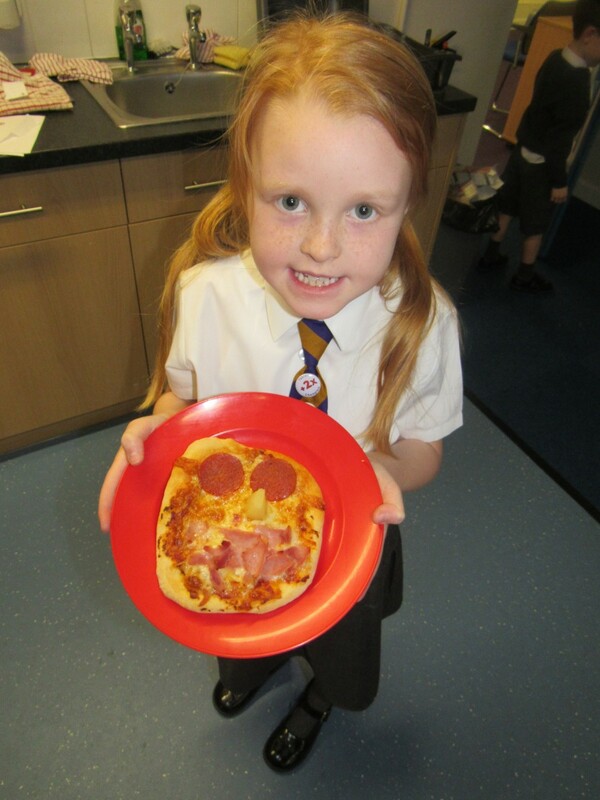 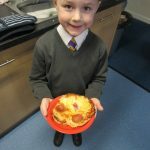 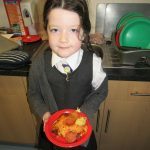 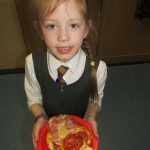 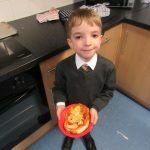 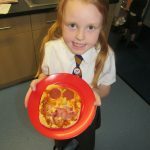 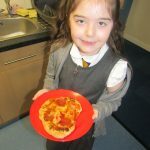 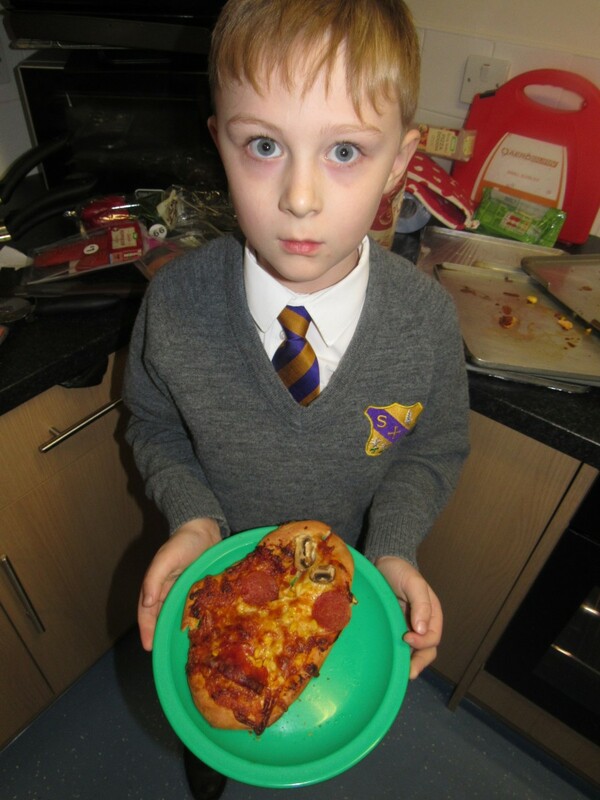 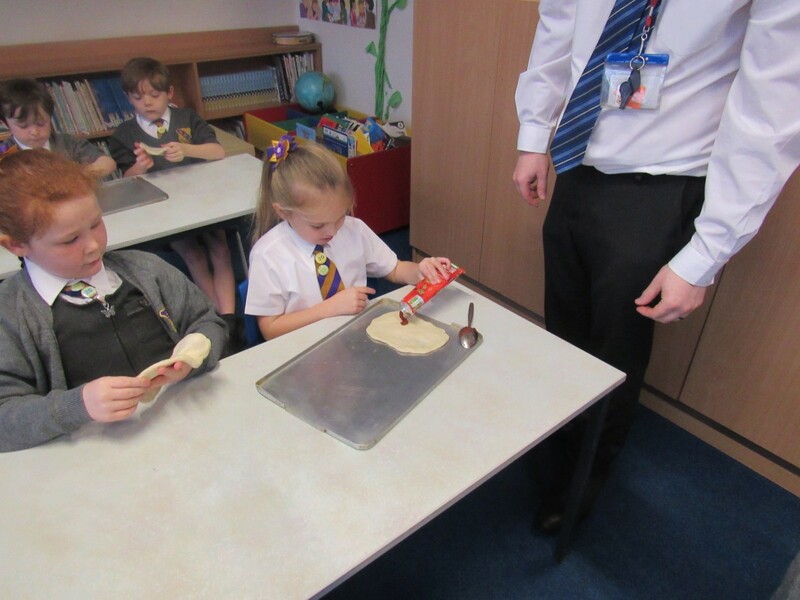 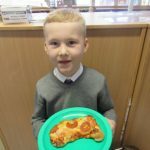 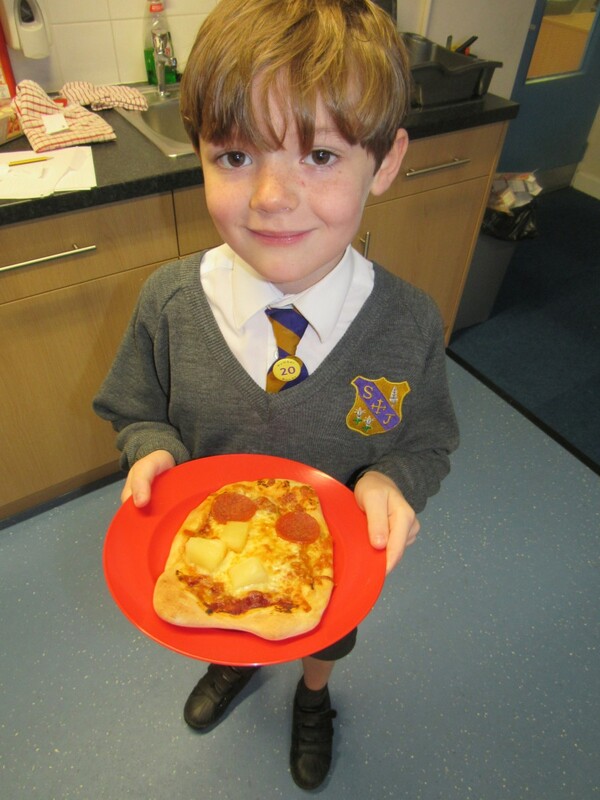 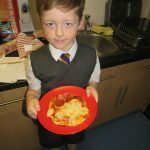 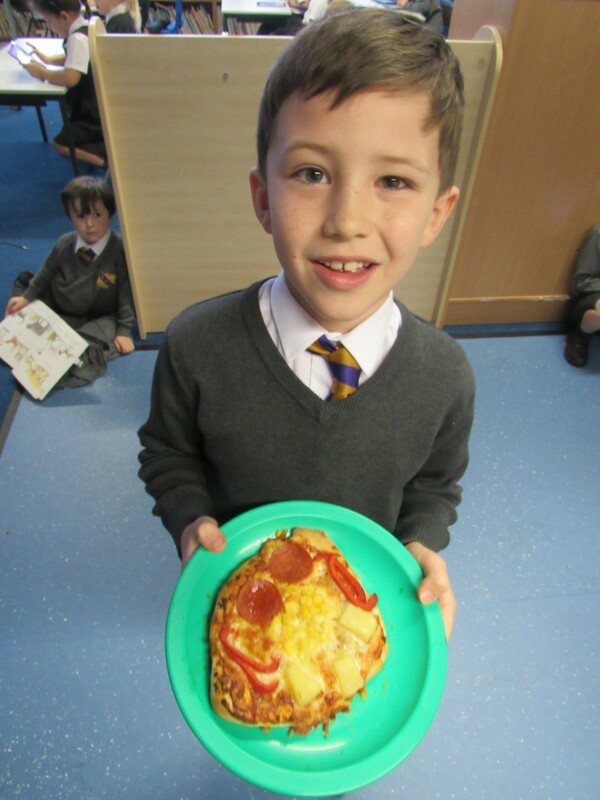 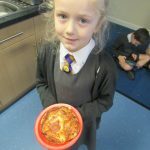 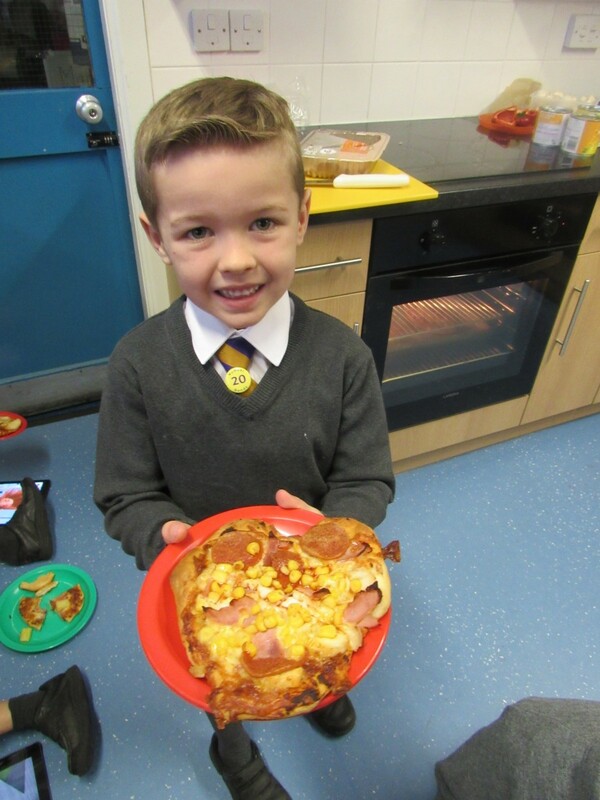 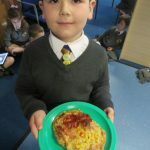 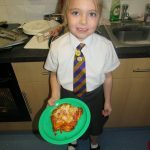 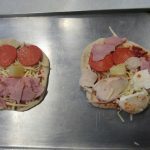 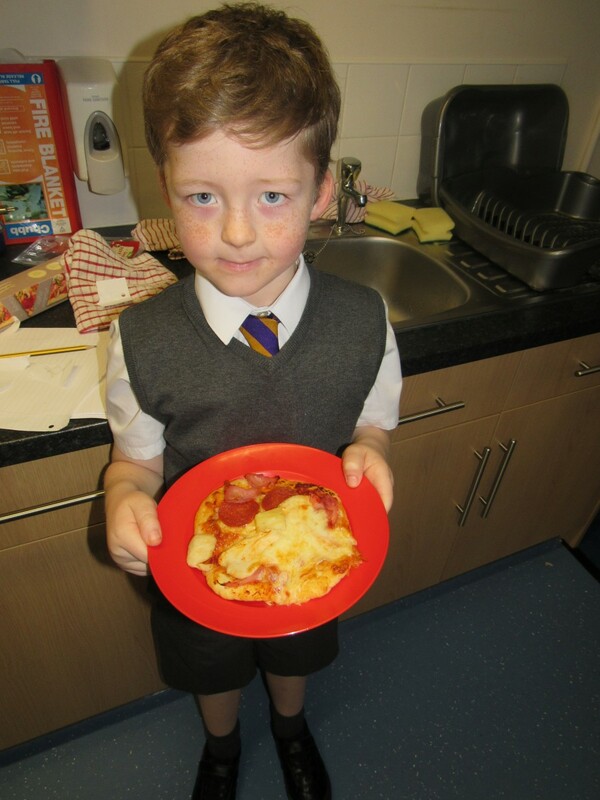 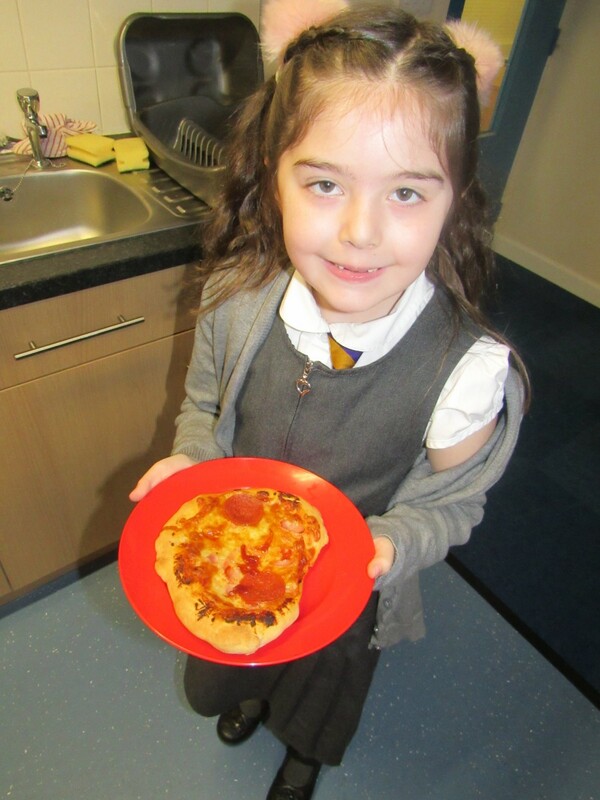 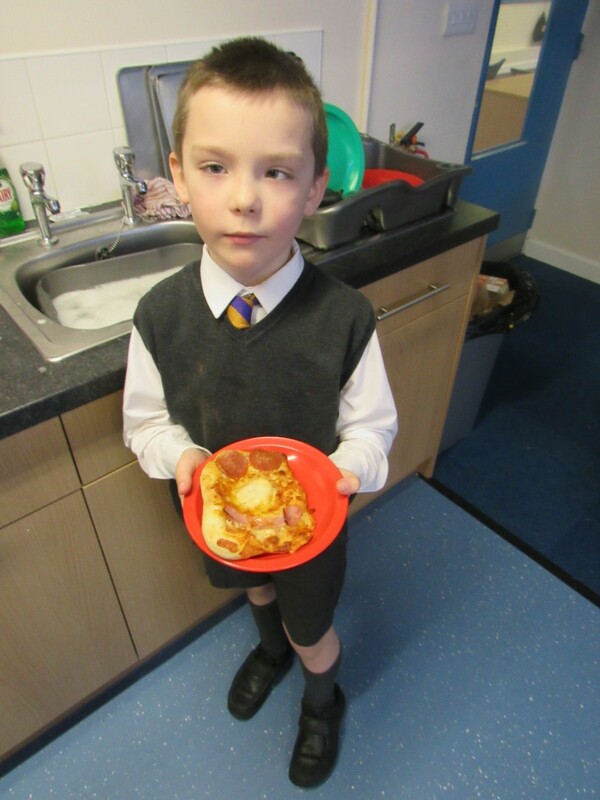 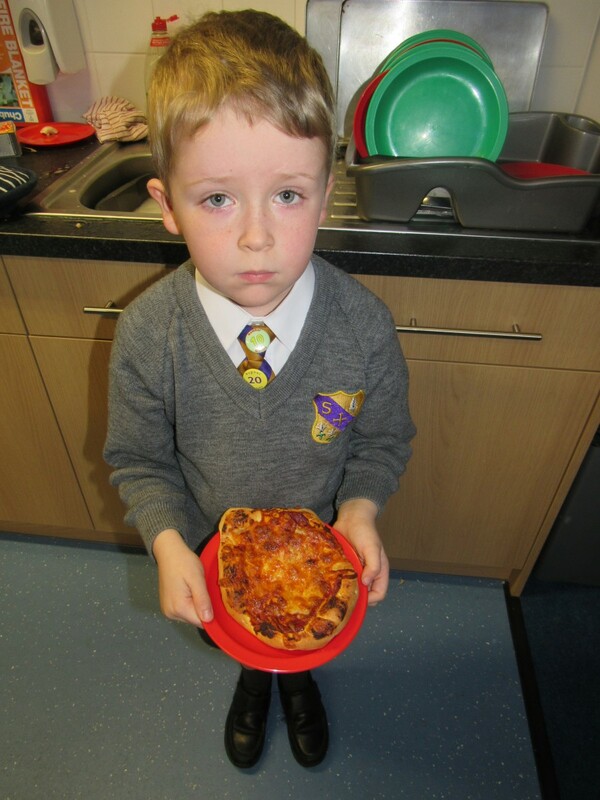 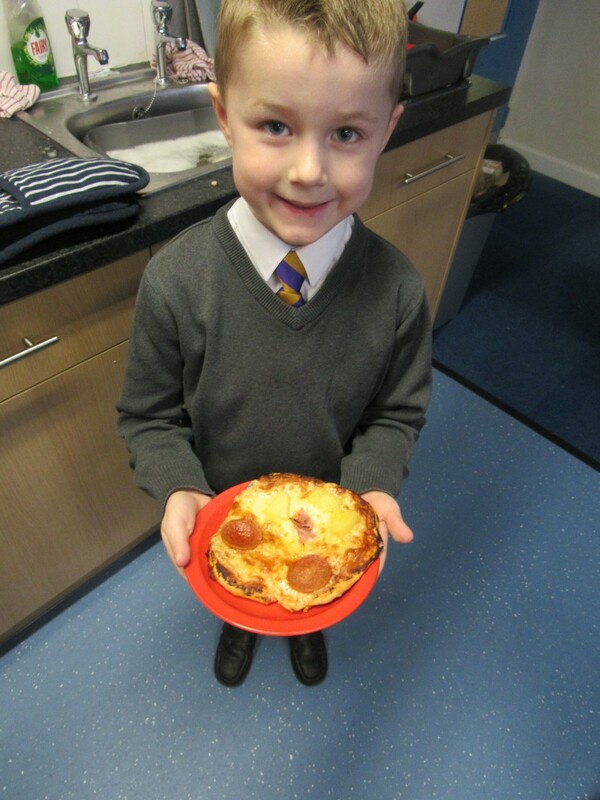 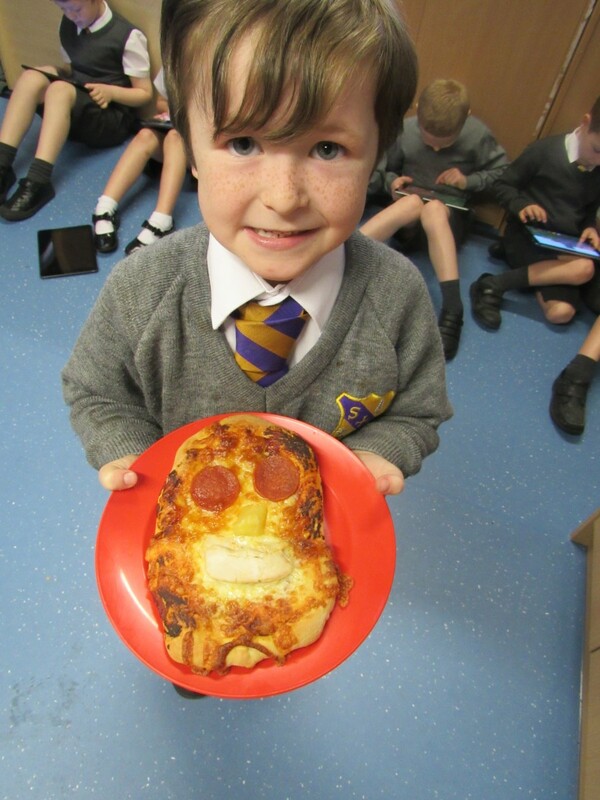 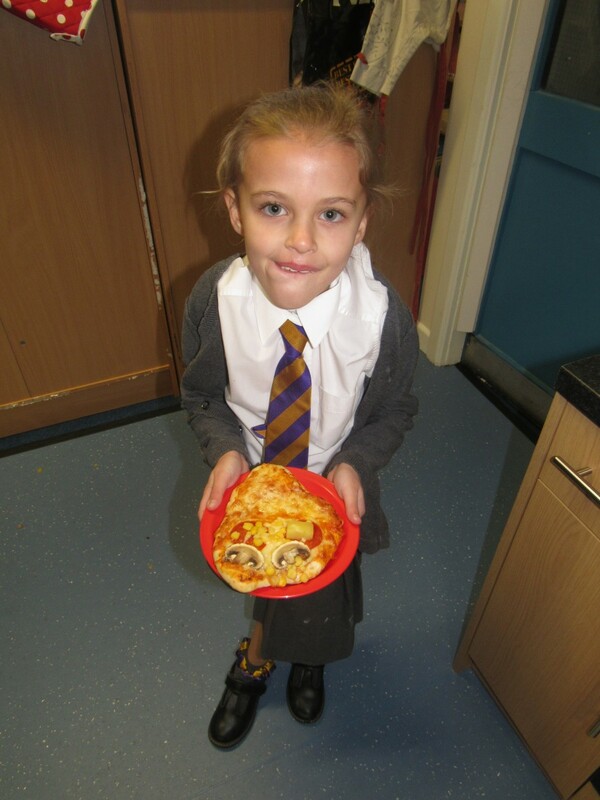 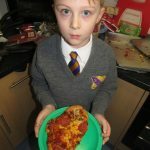 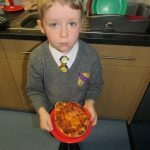 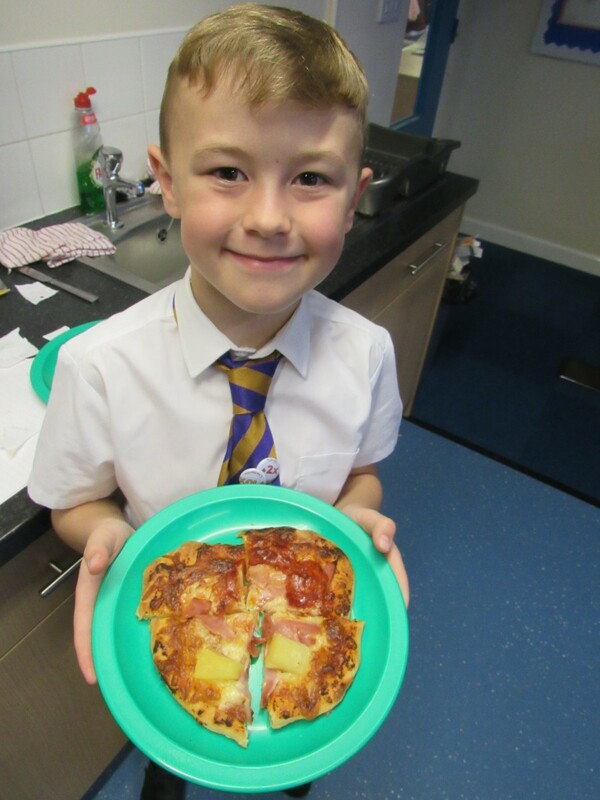 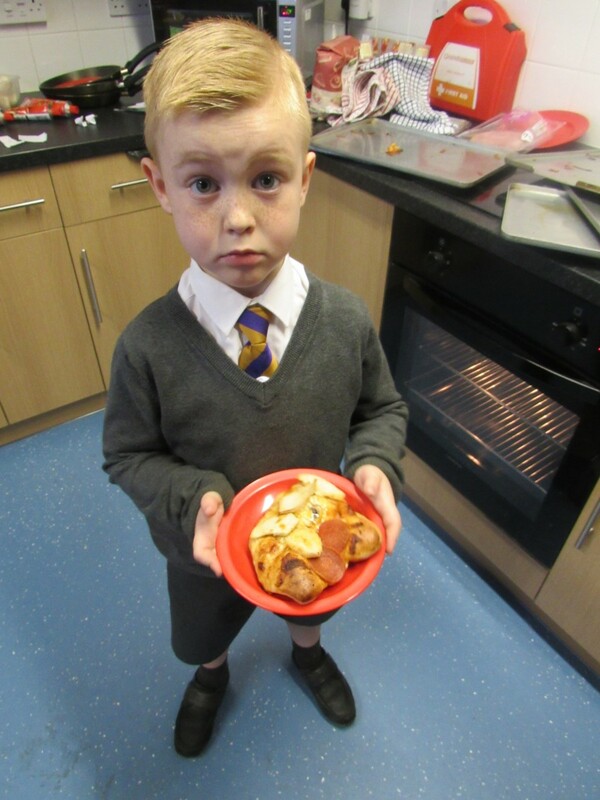 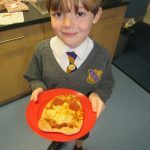 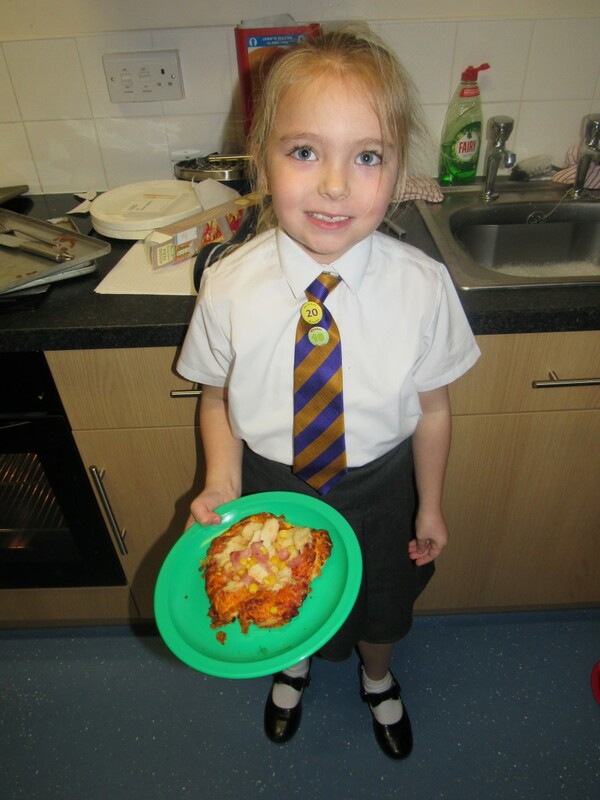 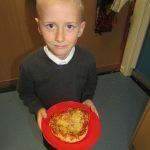 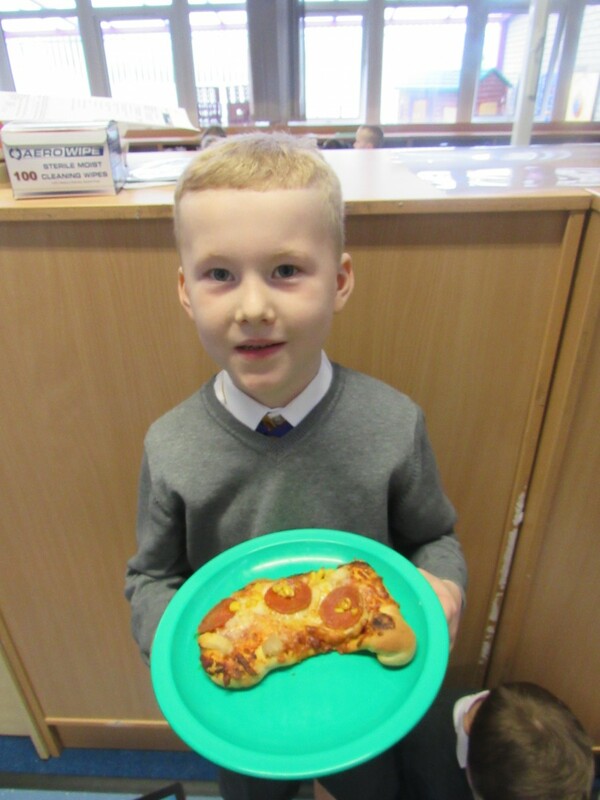 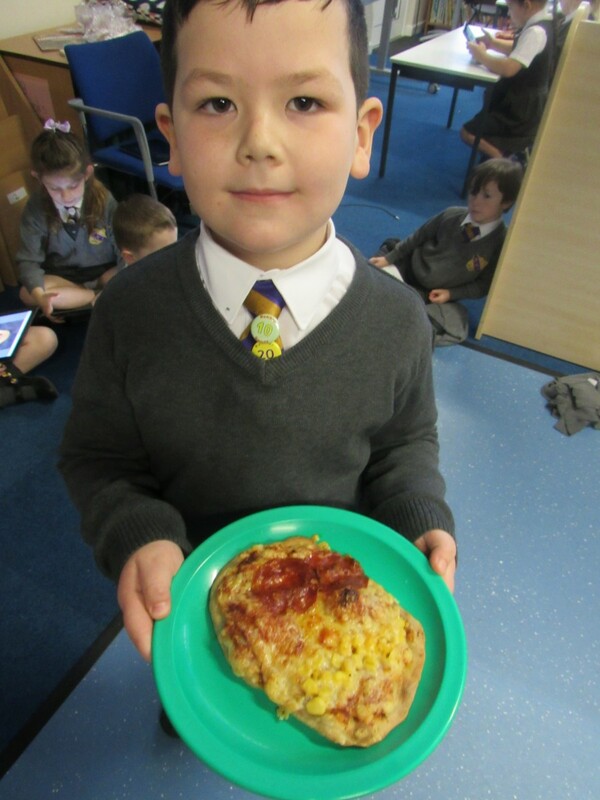 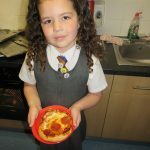 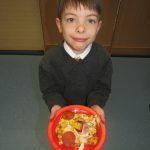 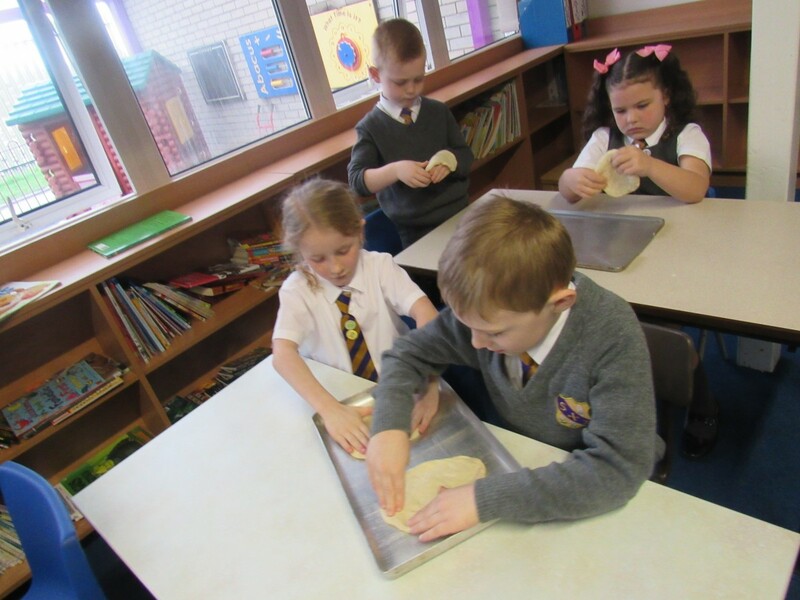 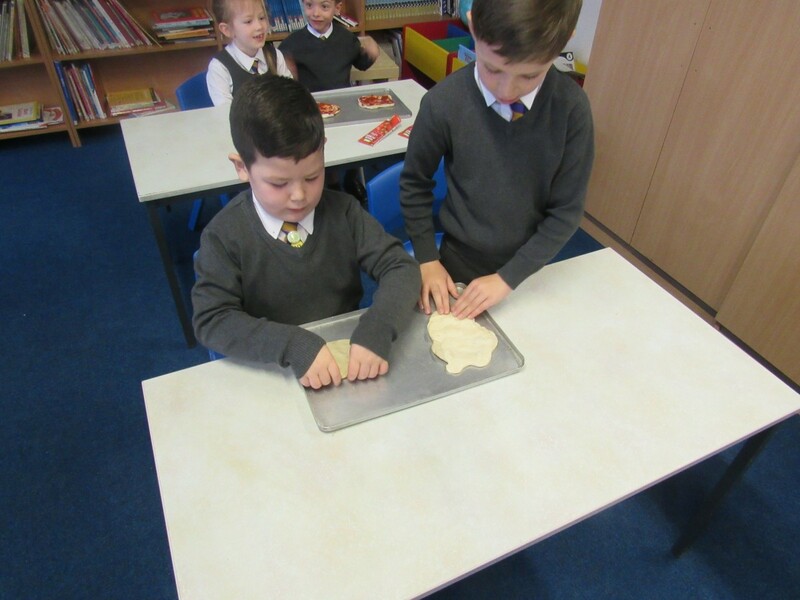 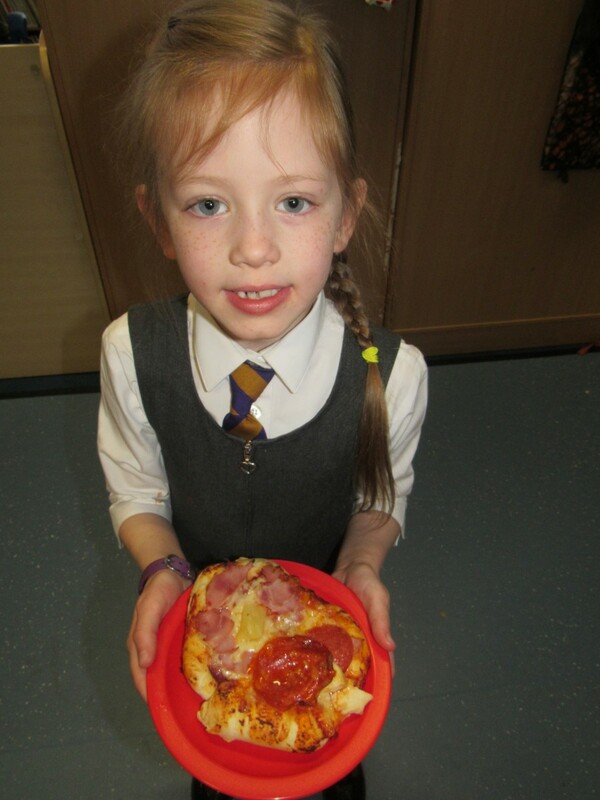 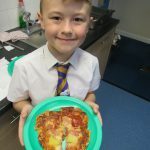 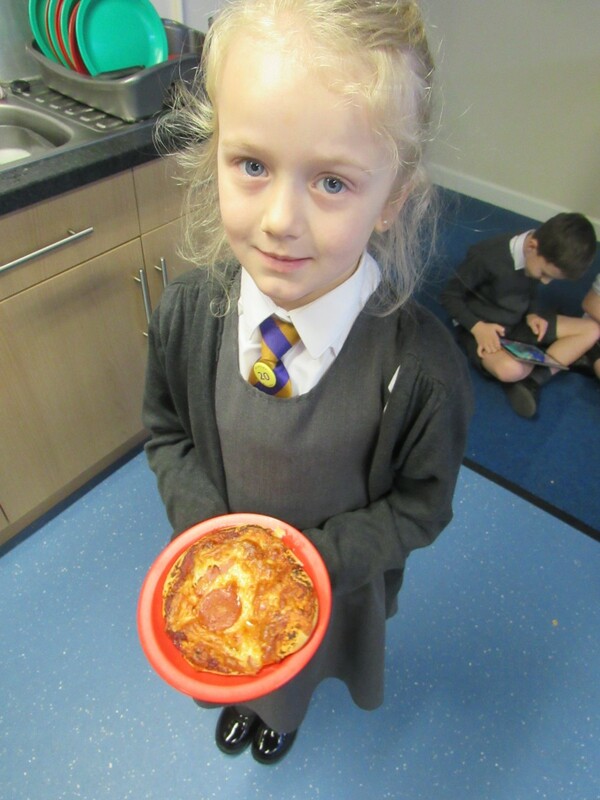 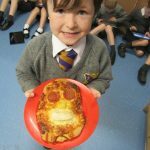 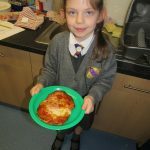 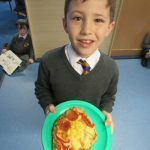 The children in Year 2 have created their own healthy pizzas against the given design criteria. 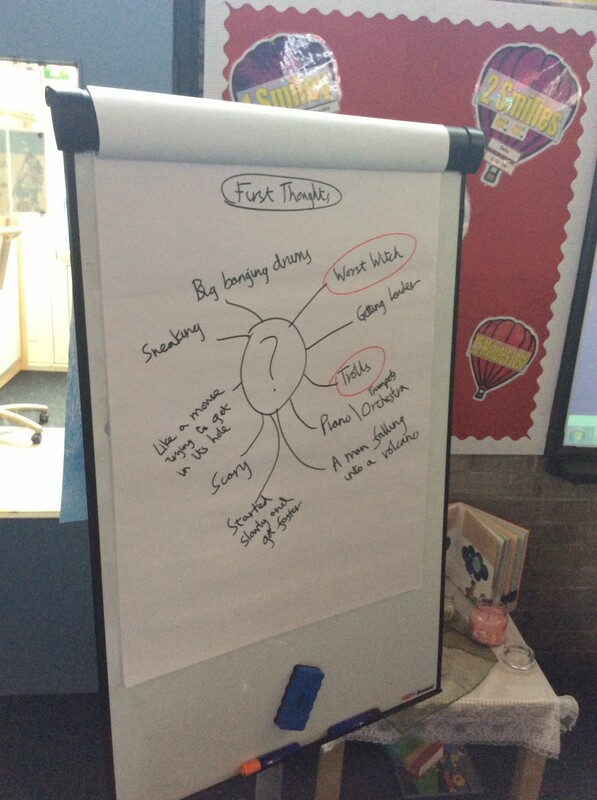 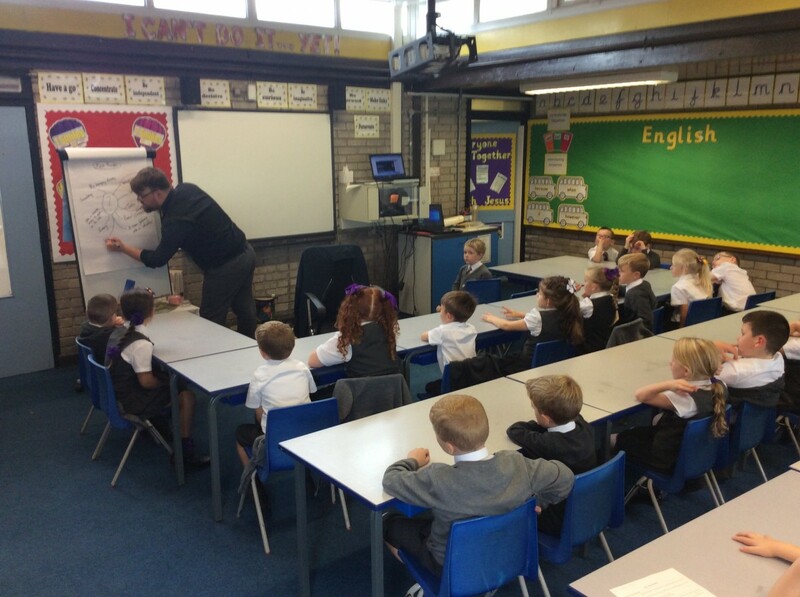 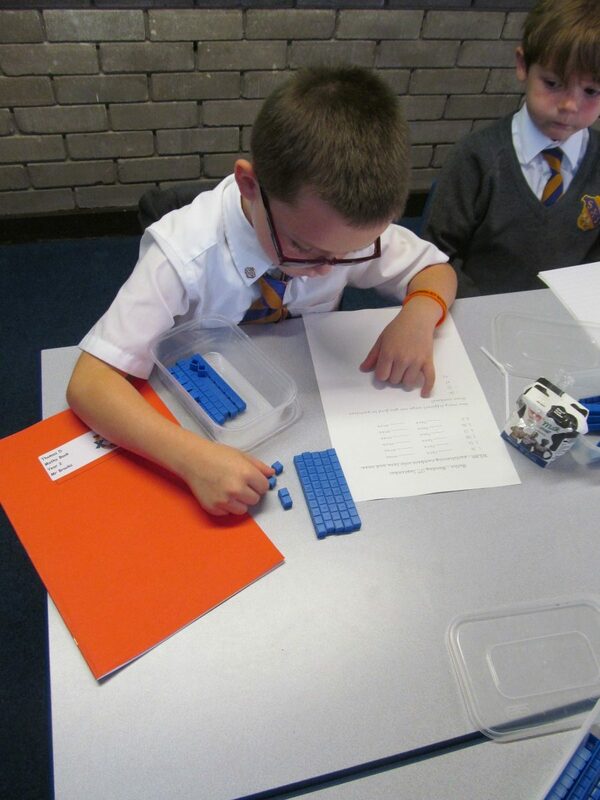 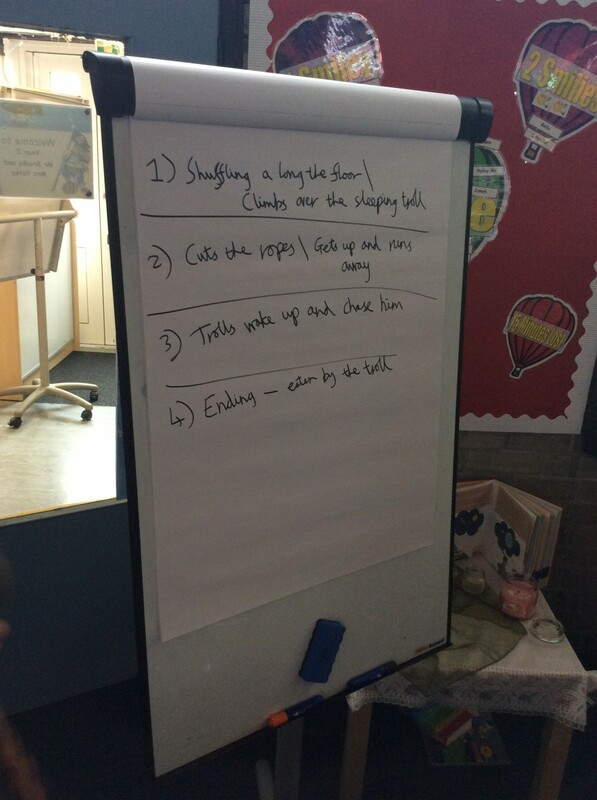 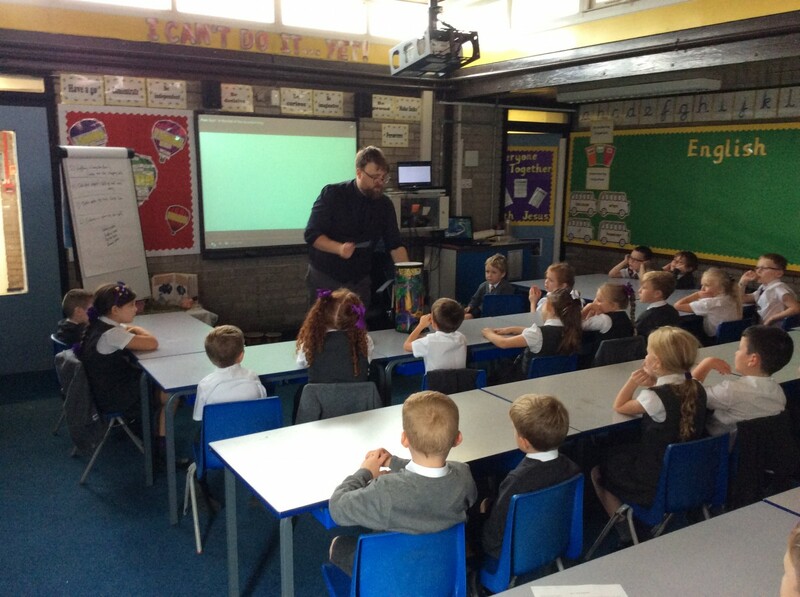 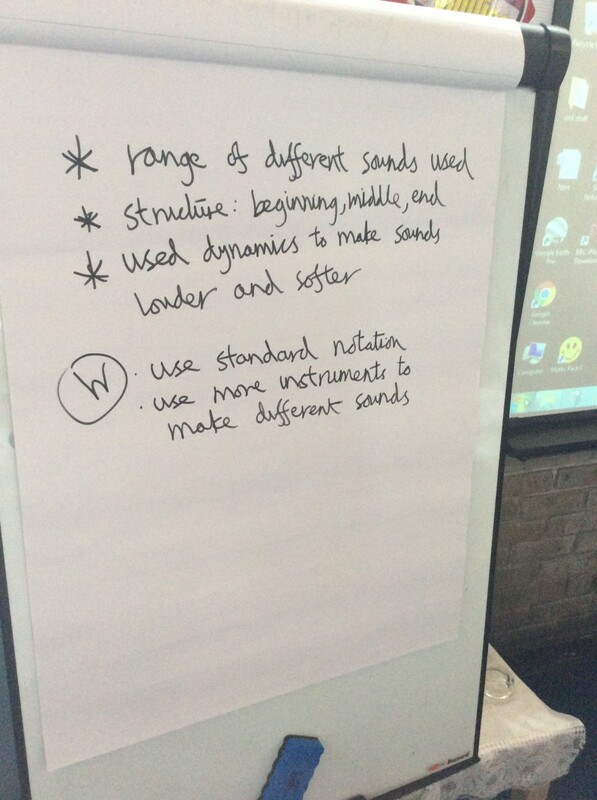 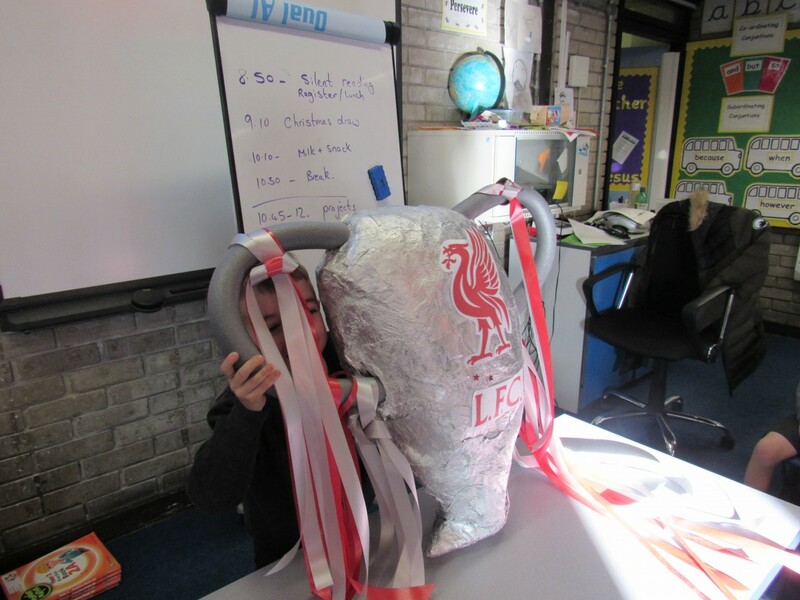 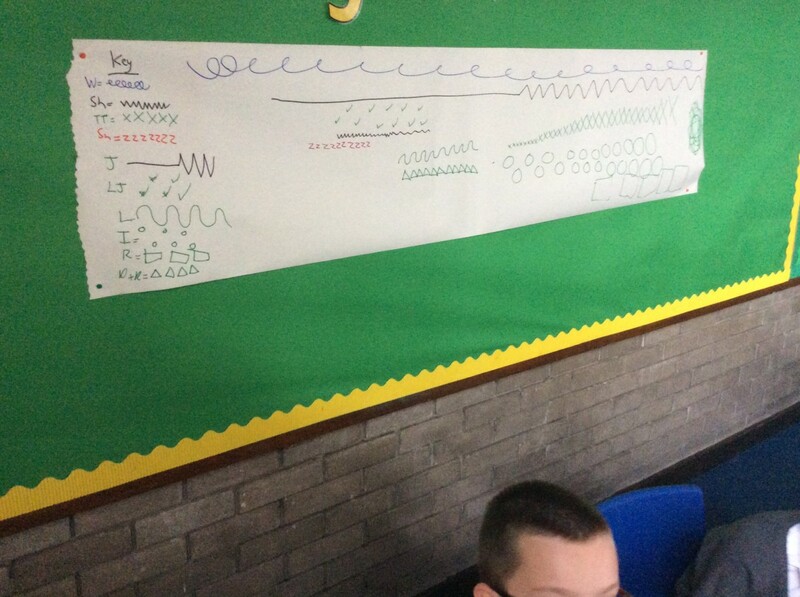 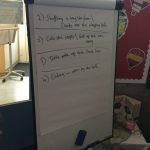 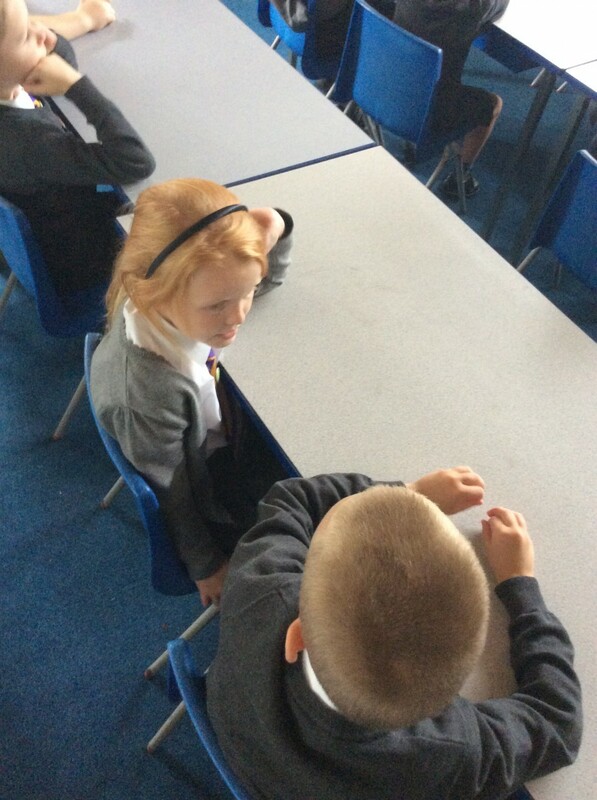 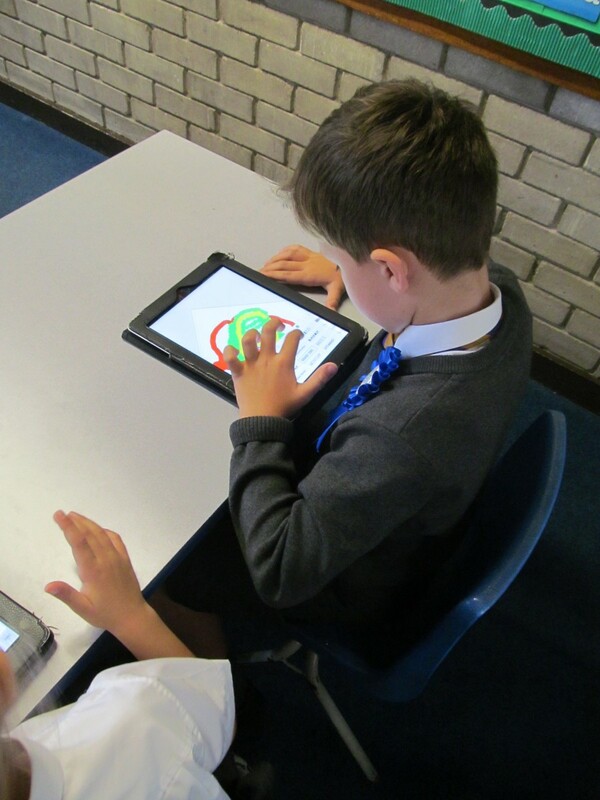 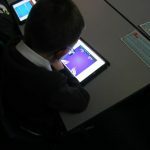 Today the children have worked with Gary Melia from Knowsley CLCs to complete problems using a range of data. 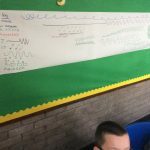 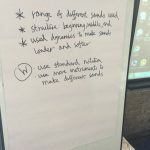 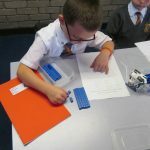 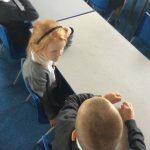 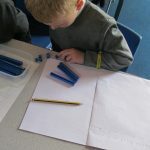 The children have used their maths skills in a cross curricular manner to create tally charts, bar charts and answer questions based upon these. 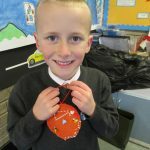 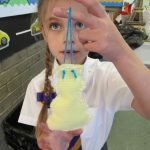 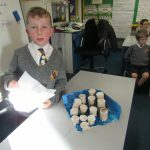 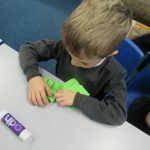 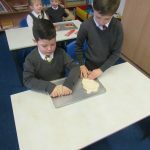 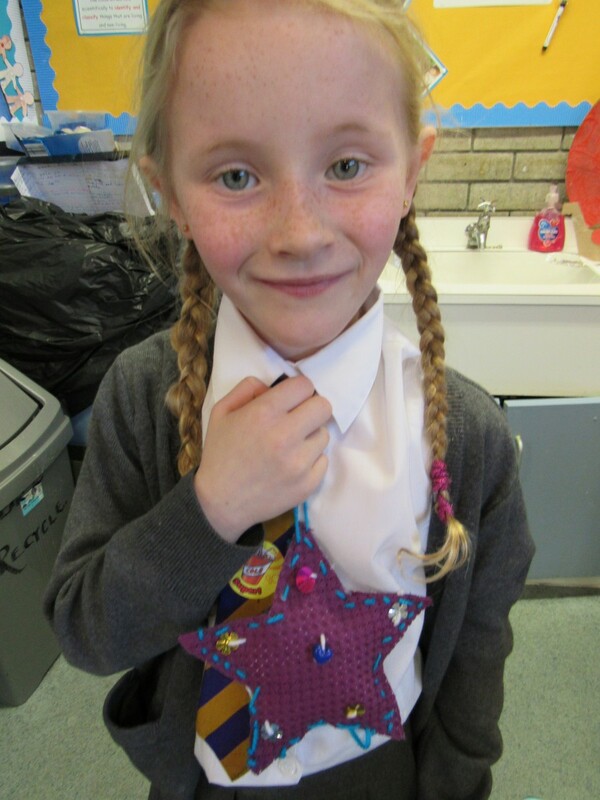 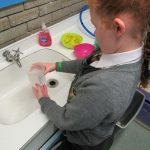 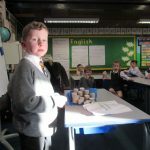 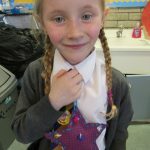 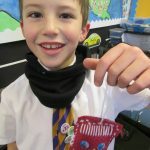 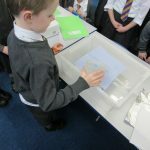 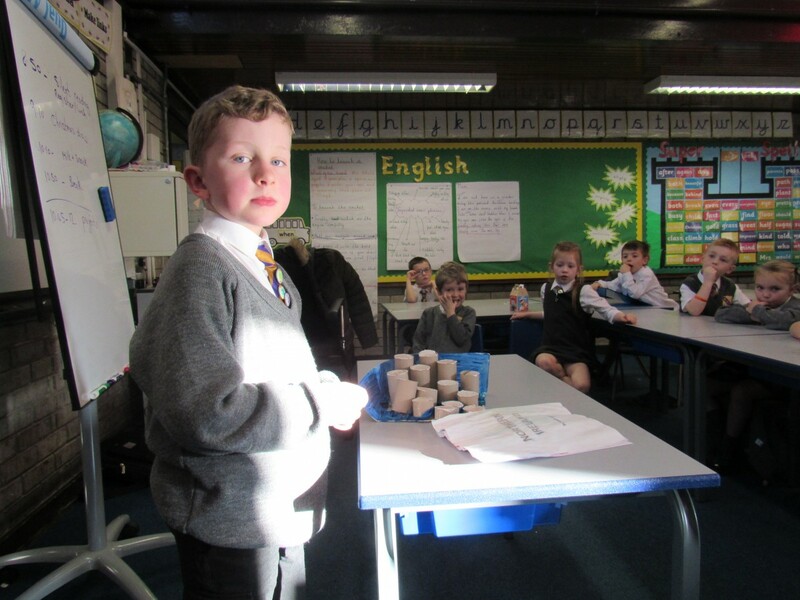 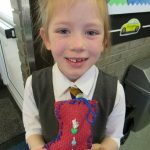 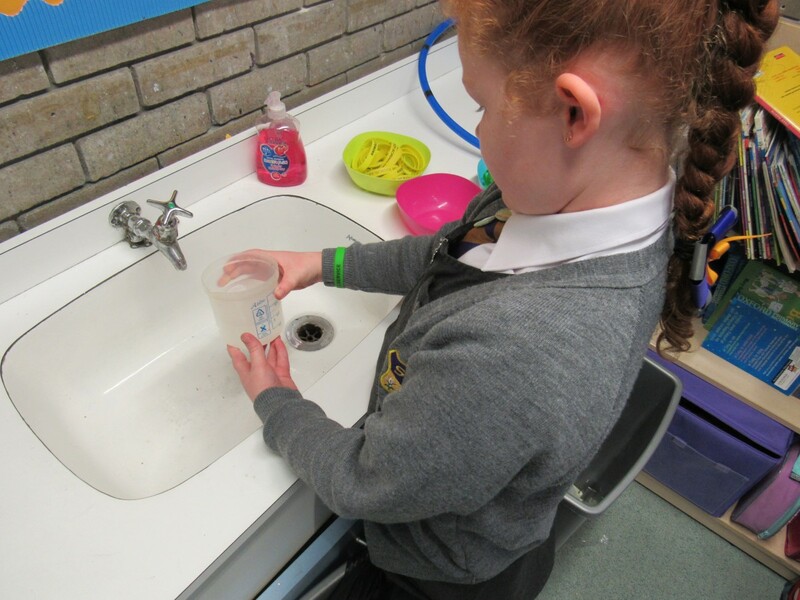 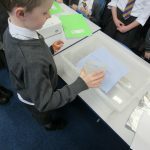 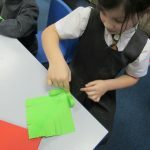 The children in Year 2 have been working scientifically to find the best material to make Traction Man’s suit from. 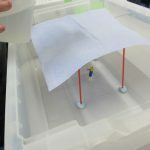 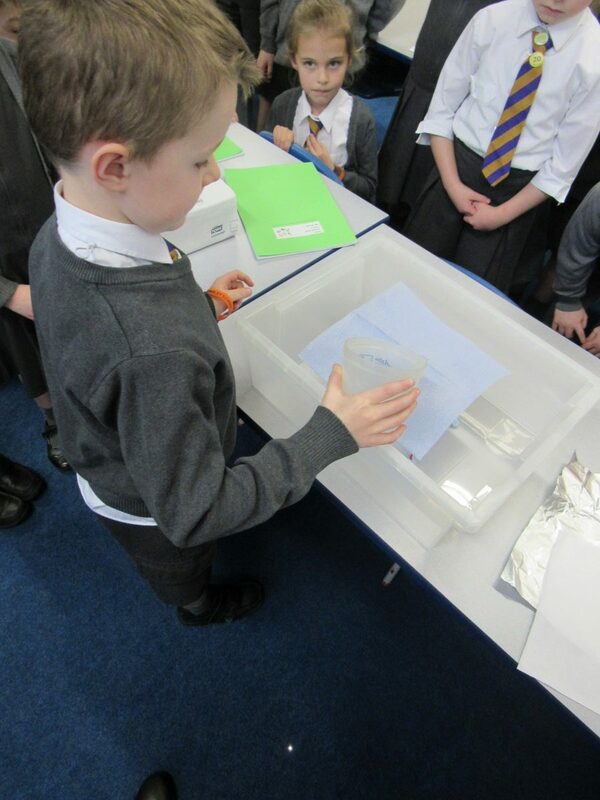 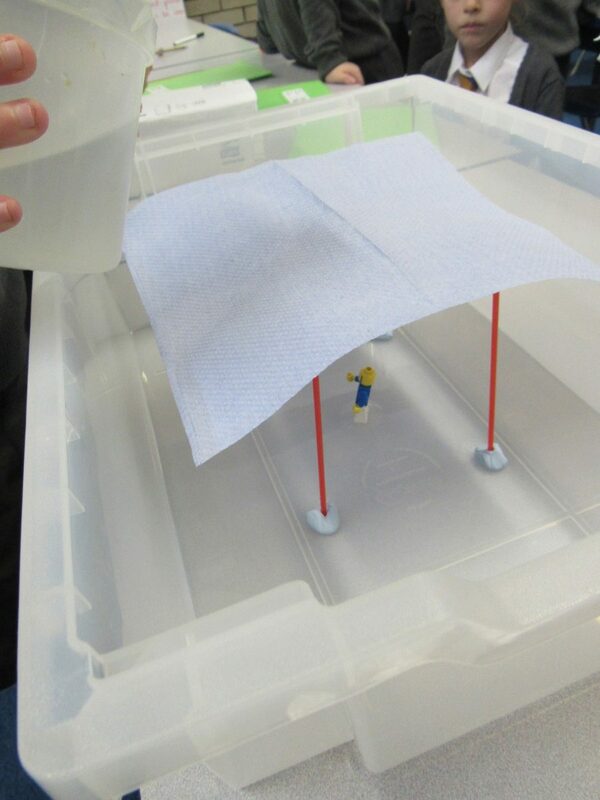 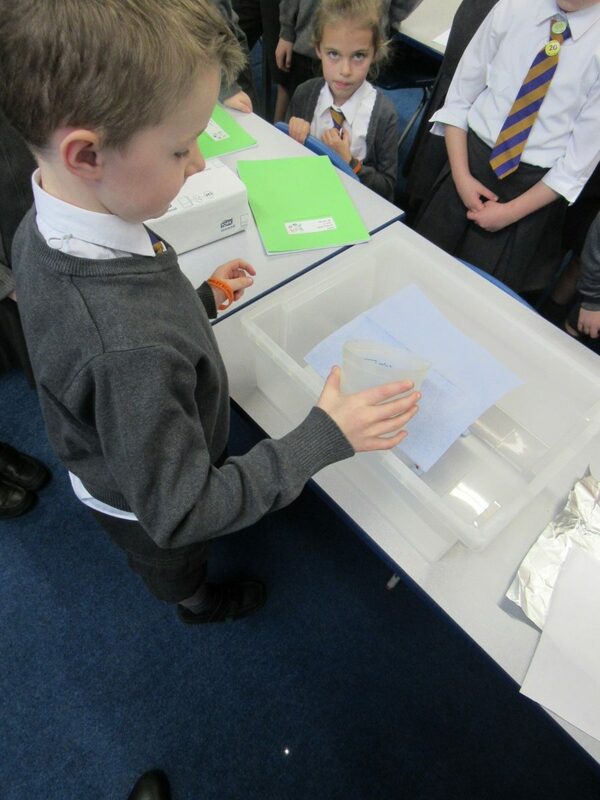 We wanted to see which material was waterproof and did not absorb liquids. 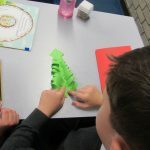 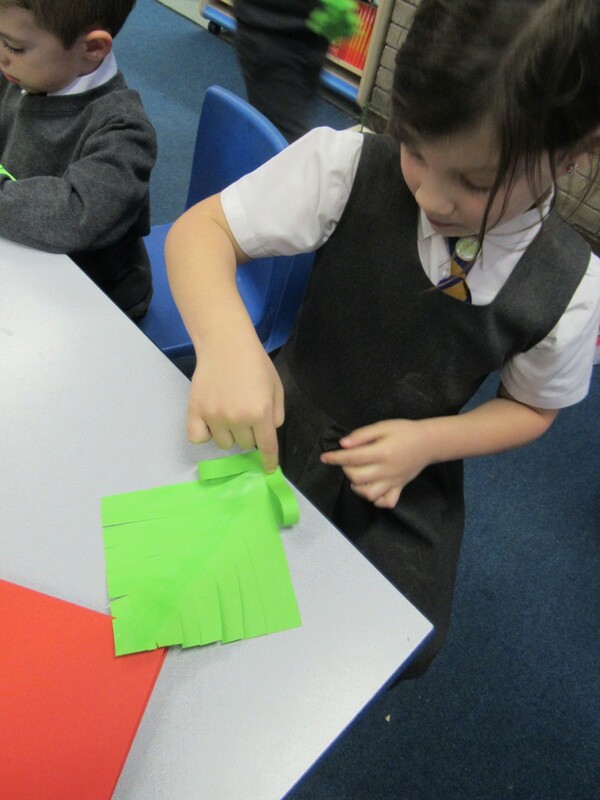 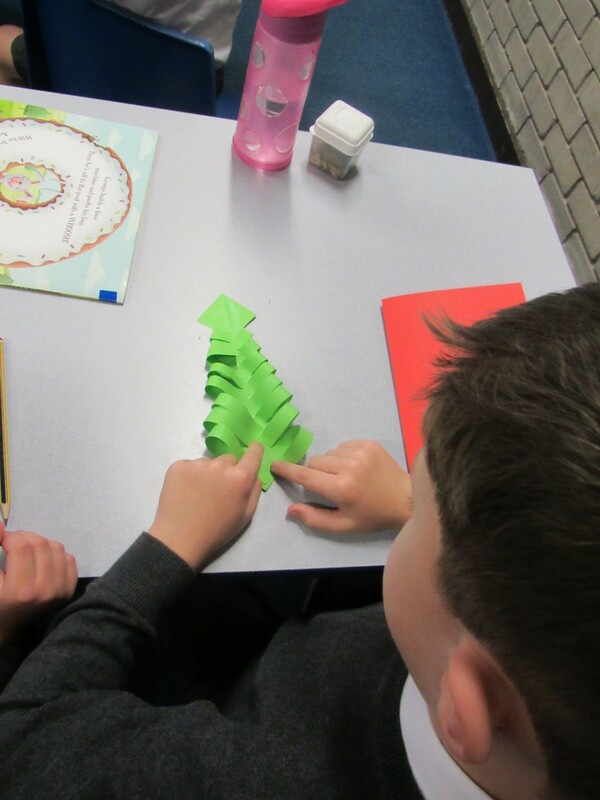 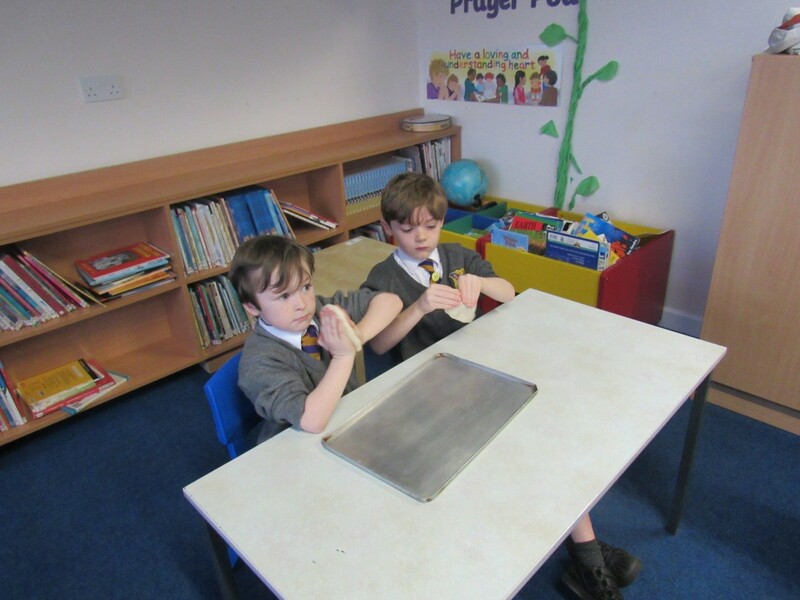 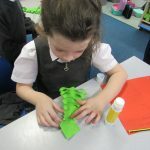 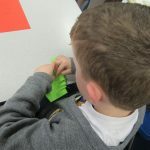 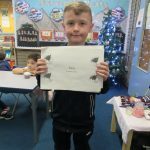 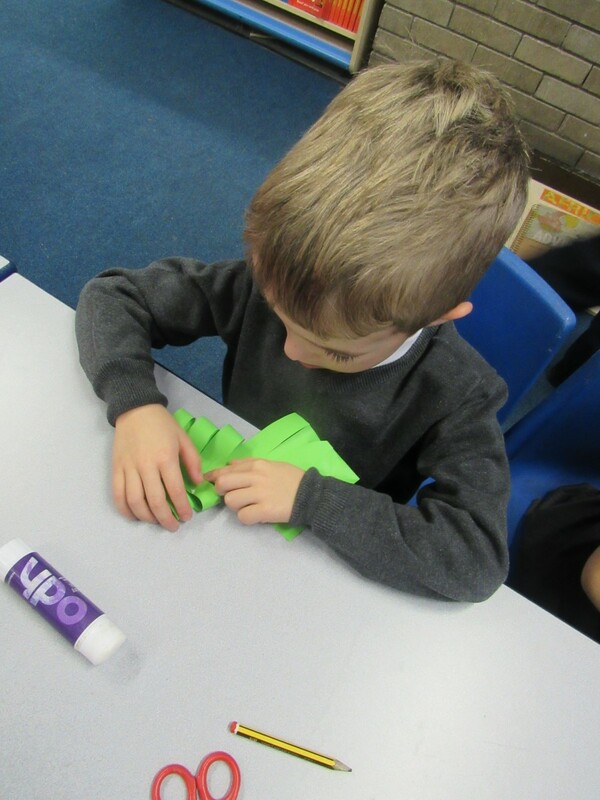 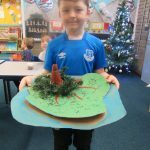 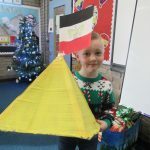 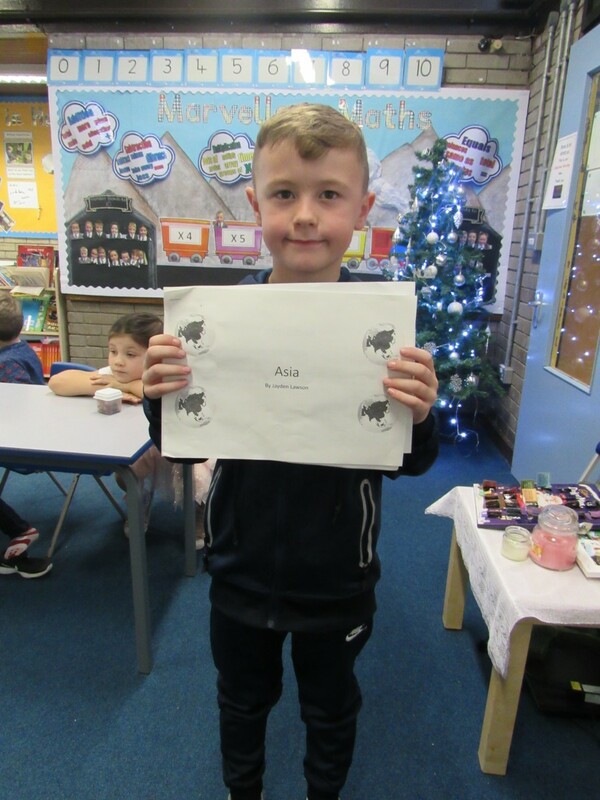 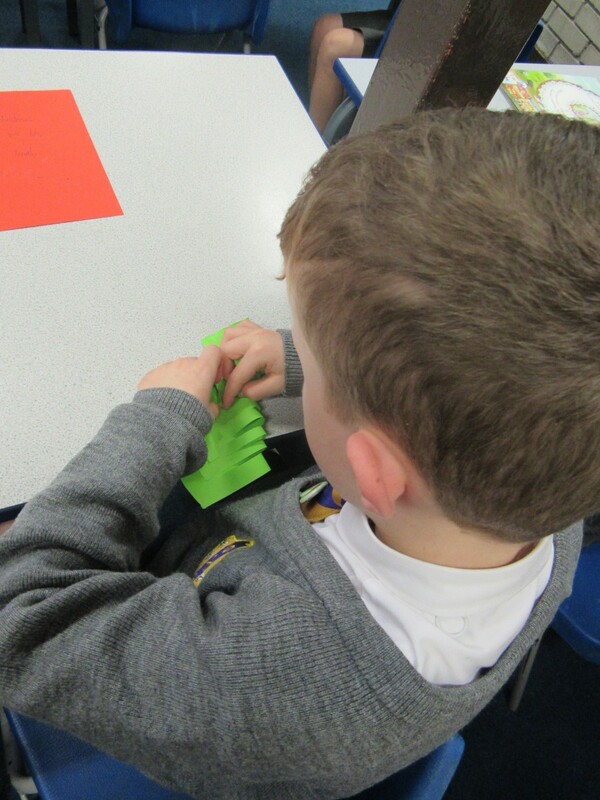 The children in Year 2 made Christmas cards using different folding techniques. 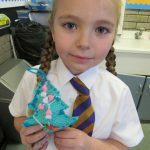 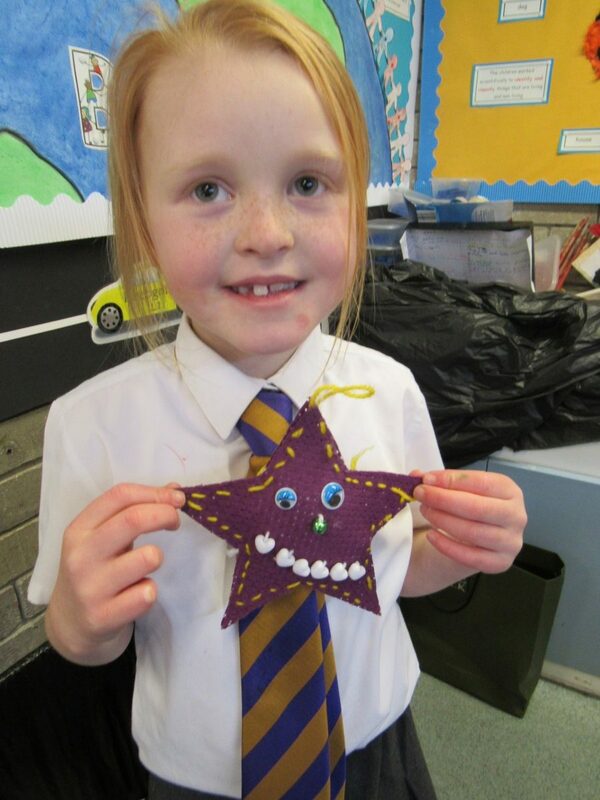 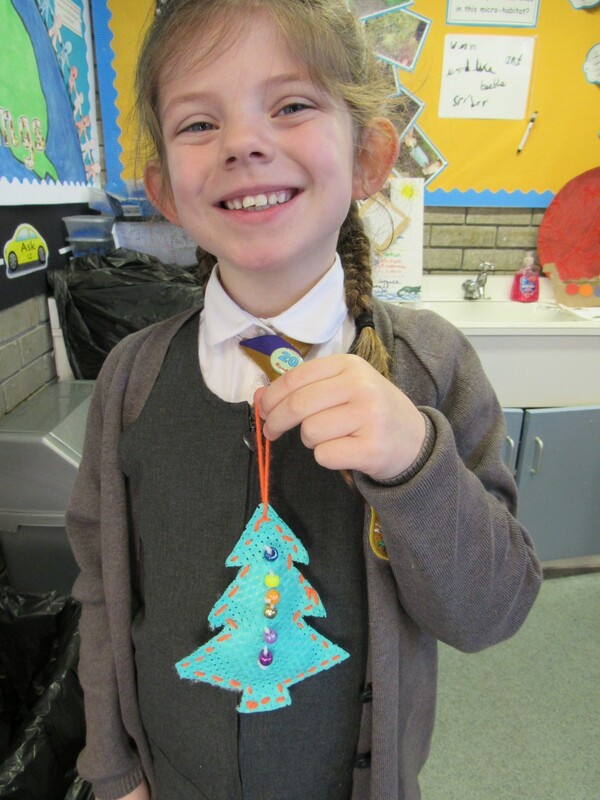 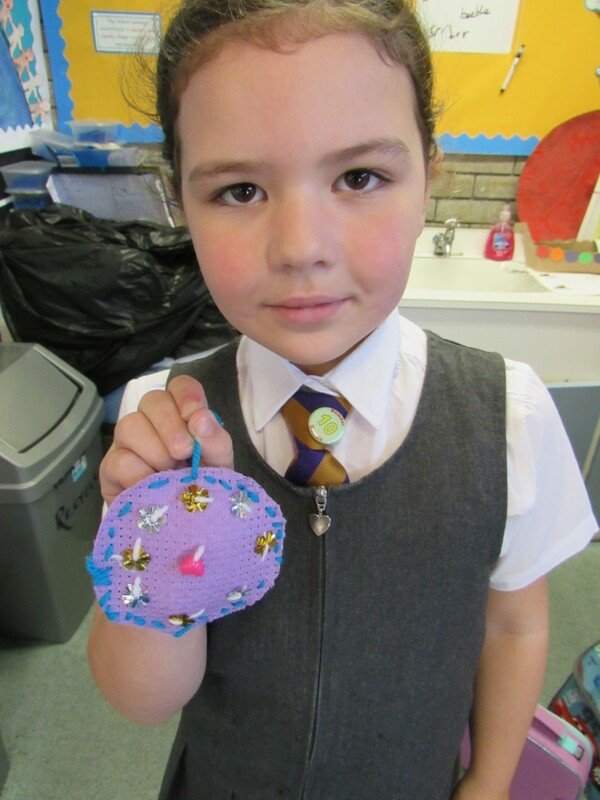 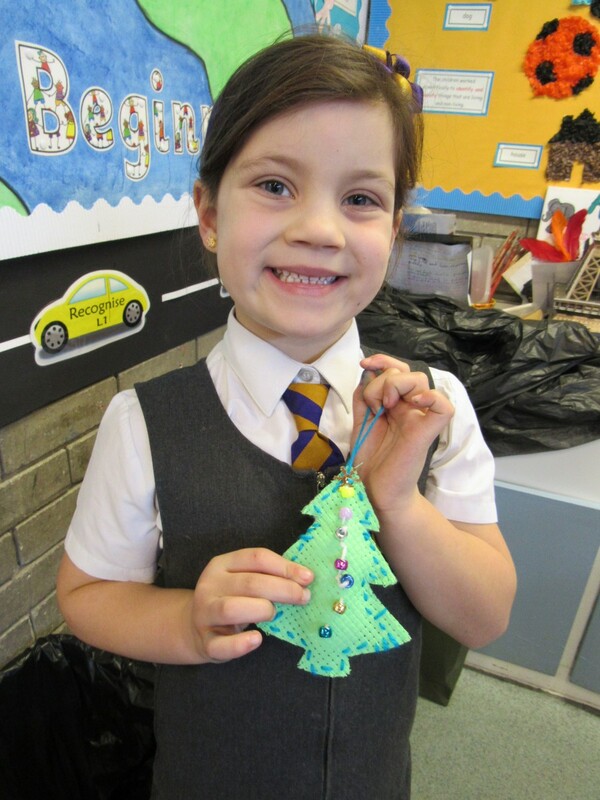 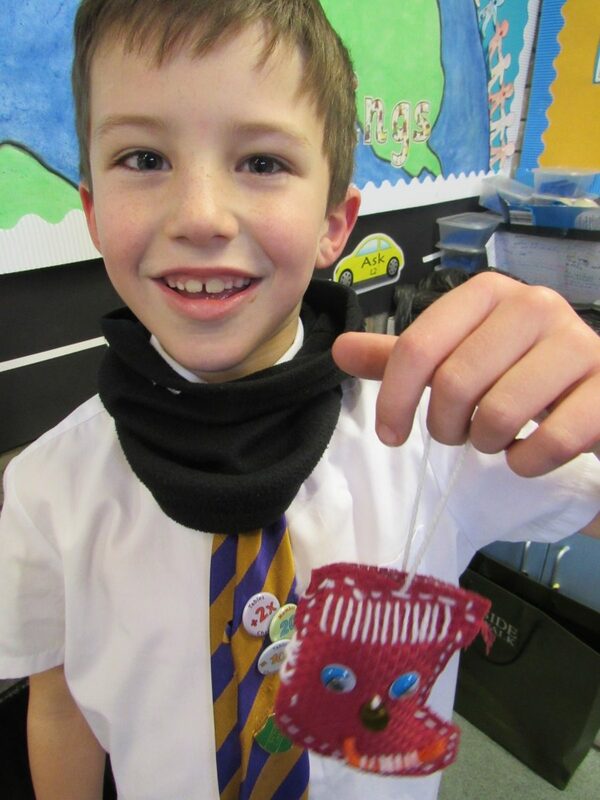 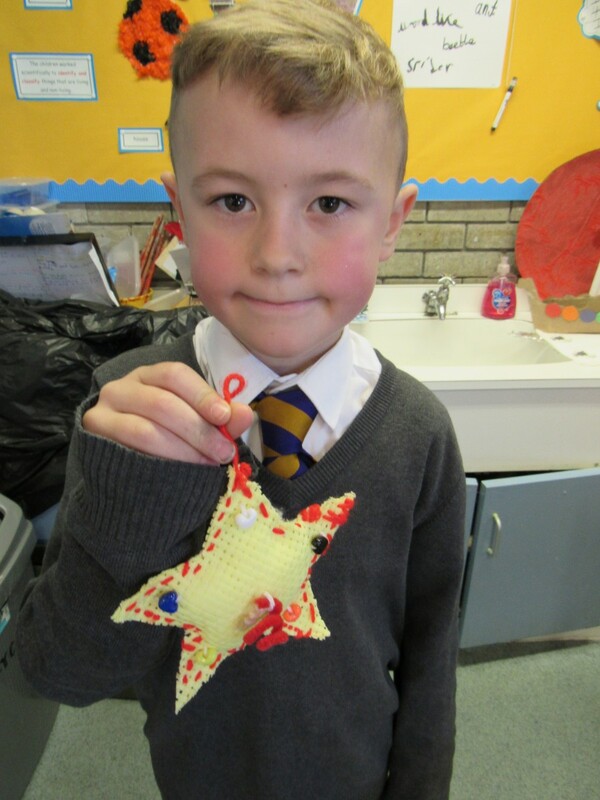 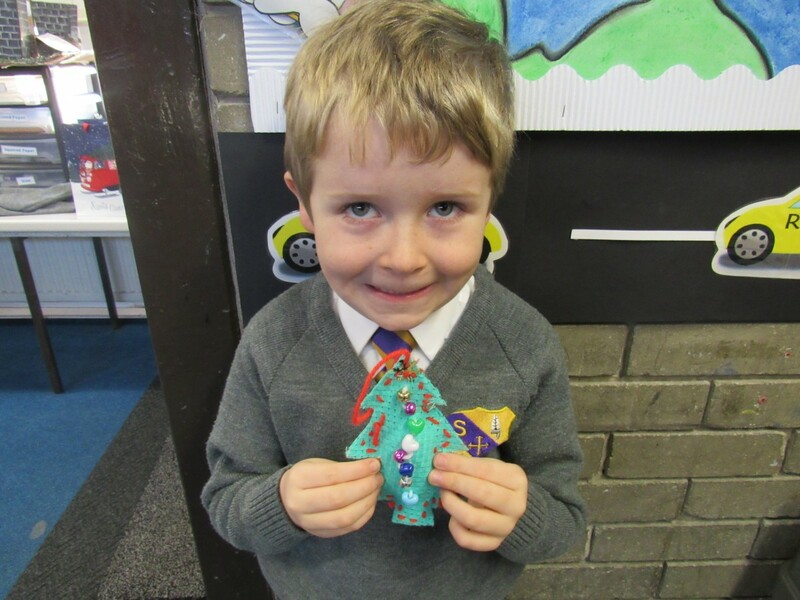 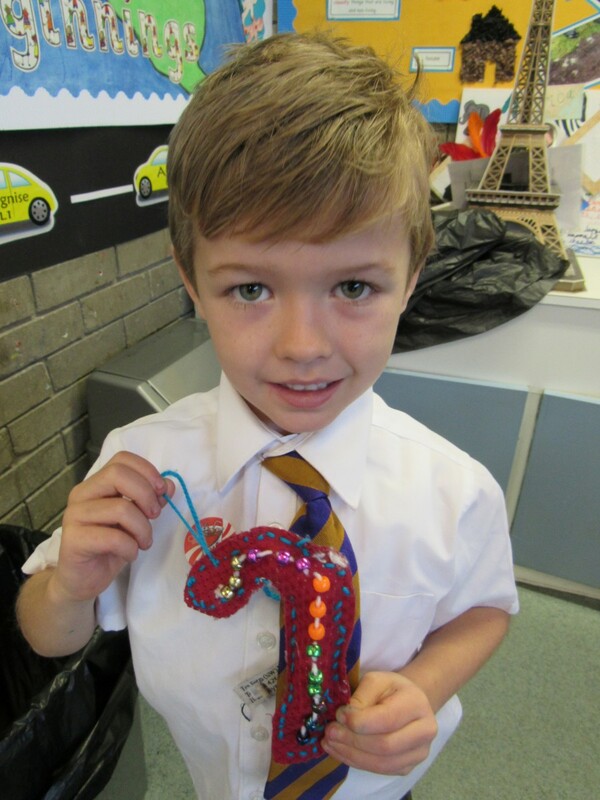 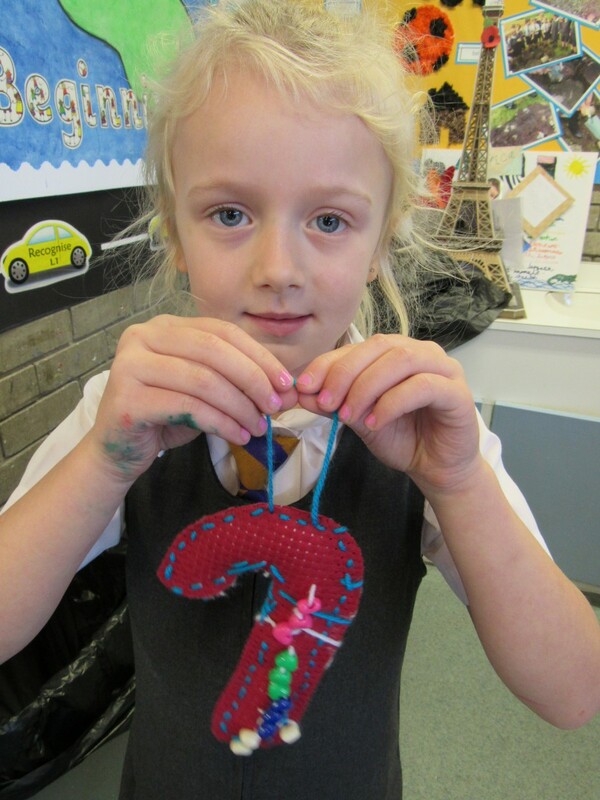 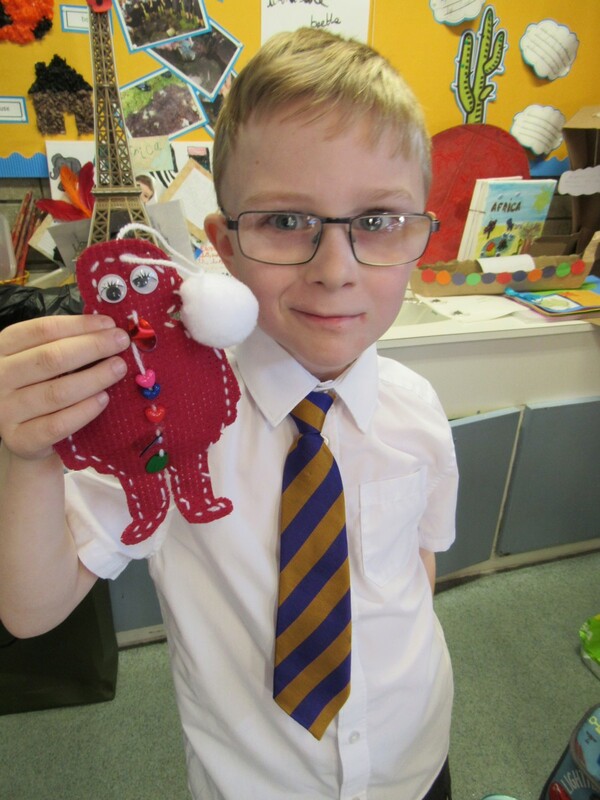 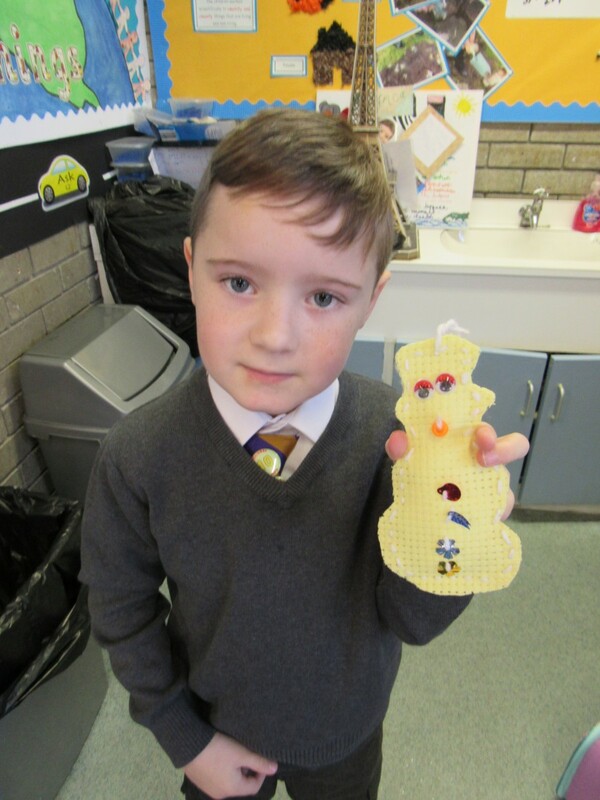 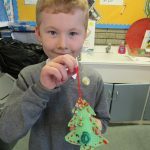 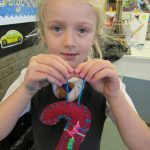 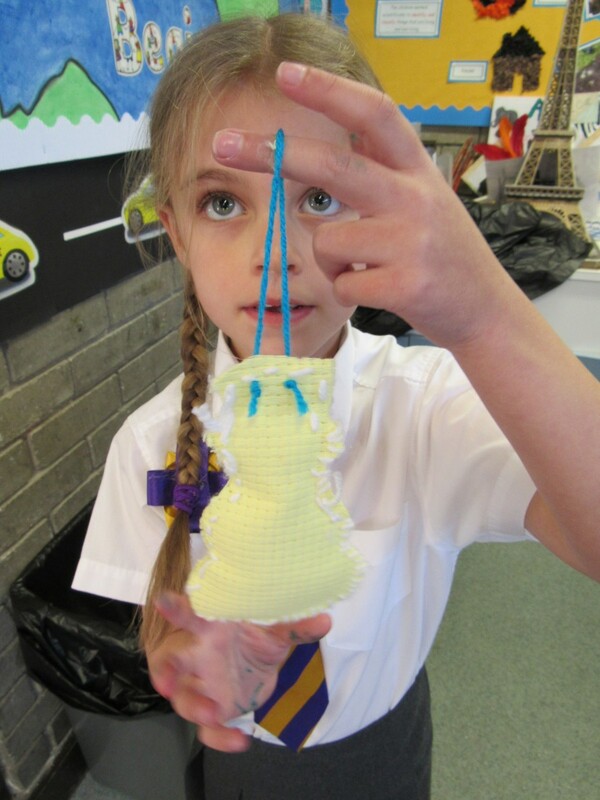 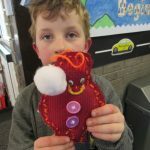 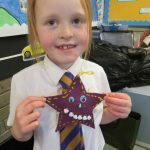 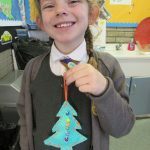 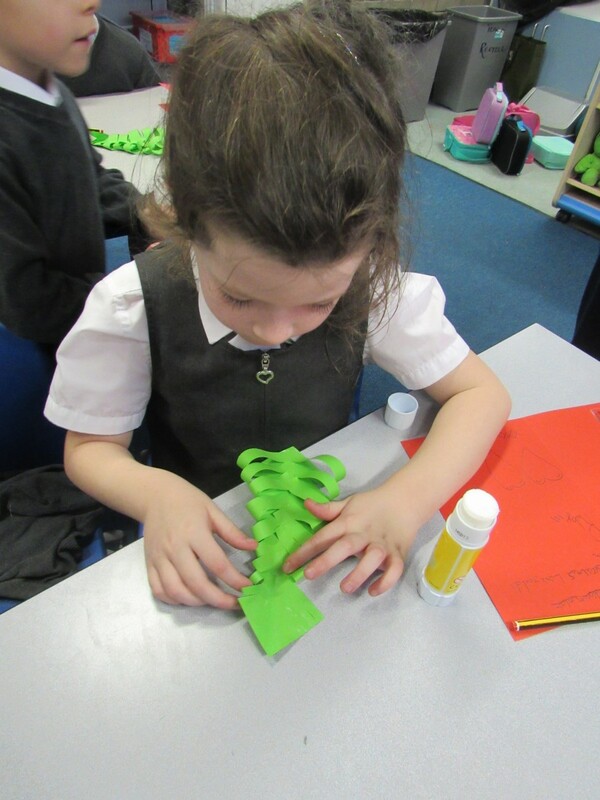 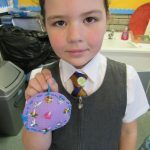 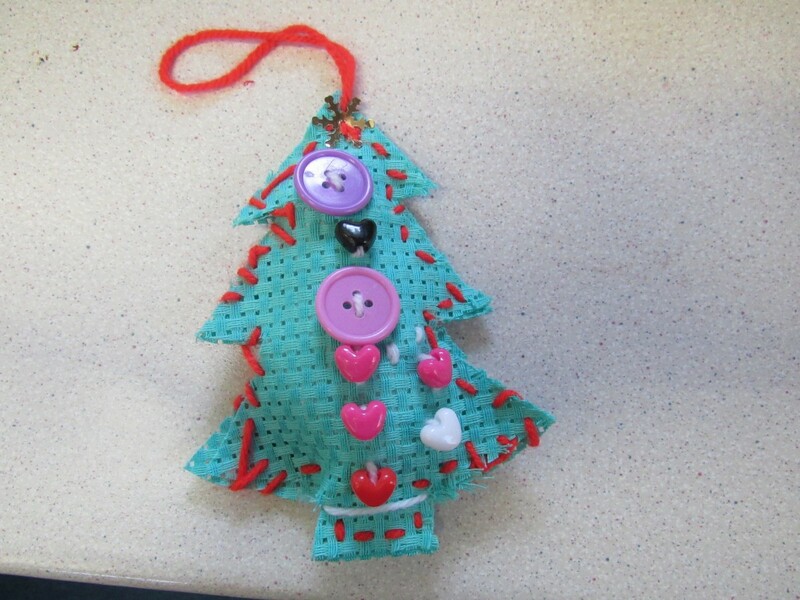 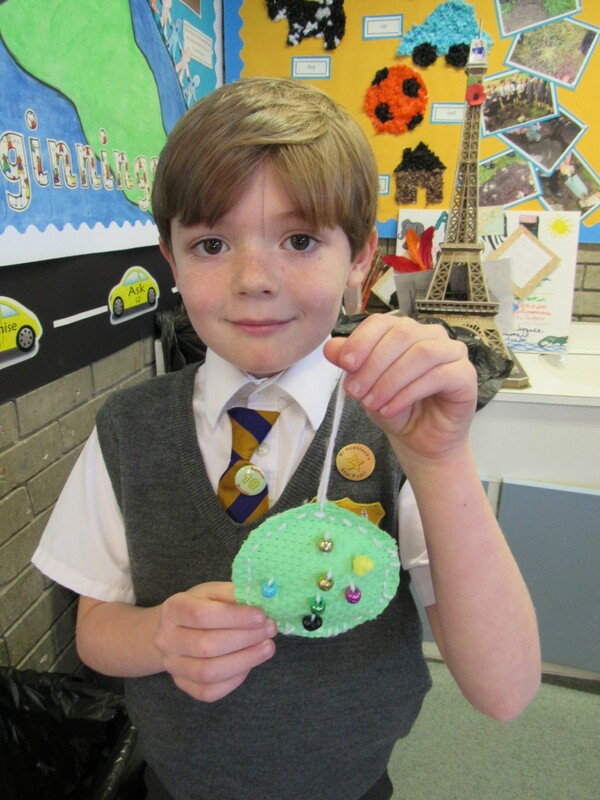 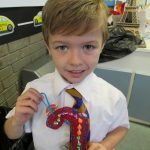 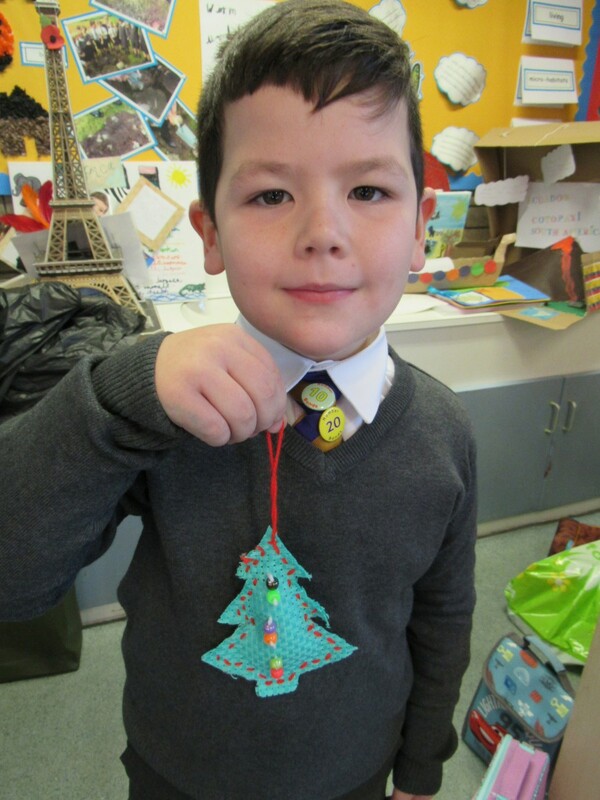 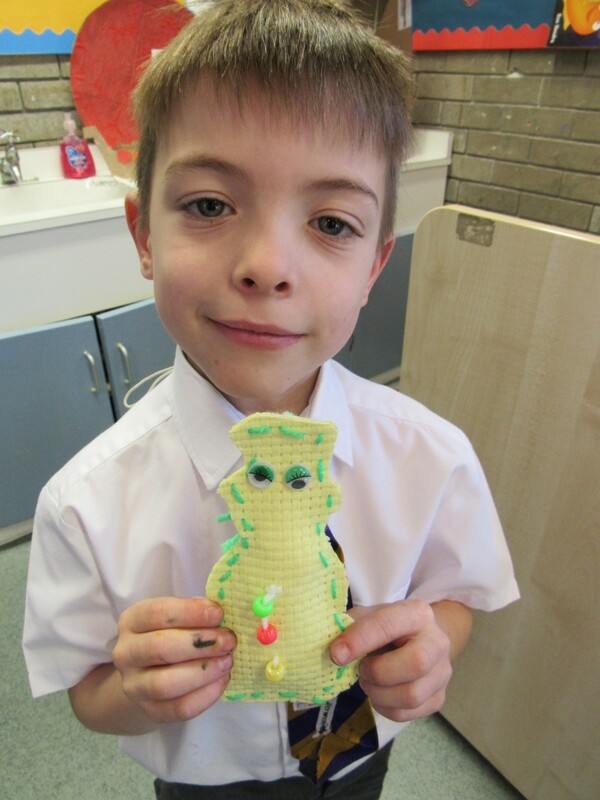 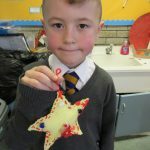 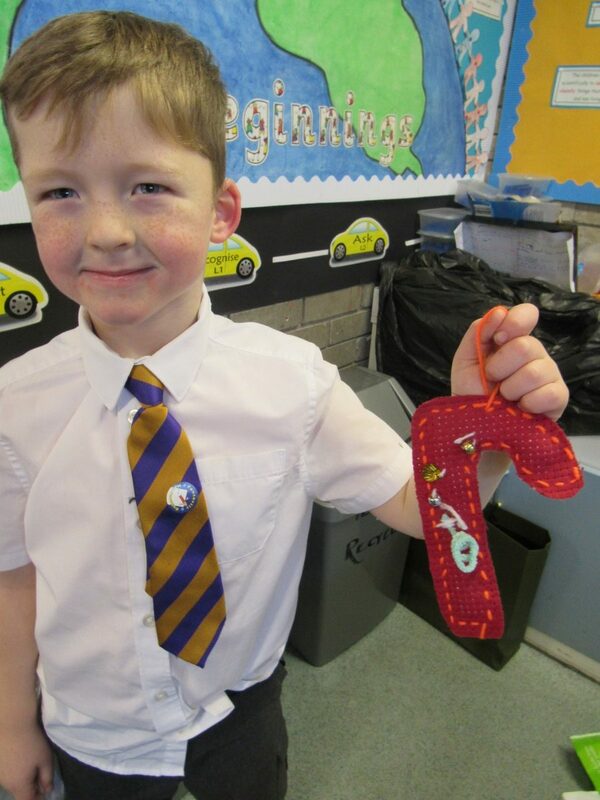 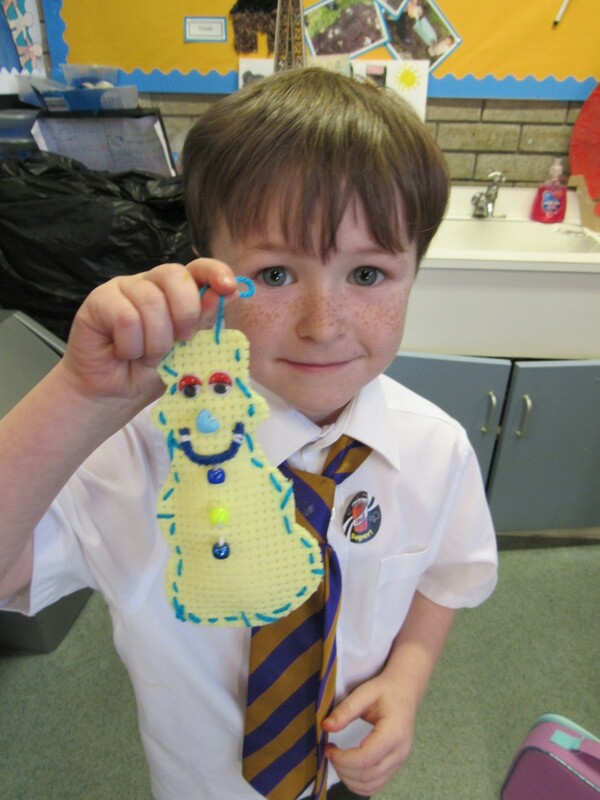 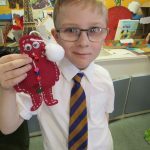 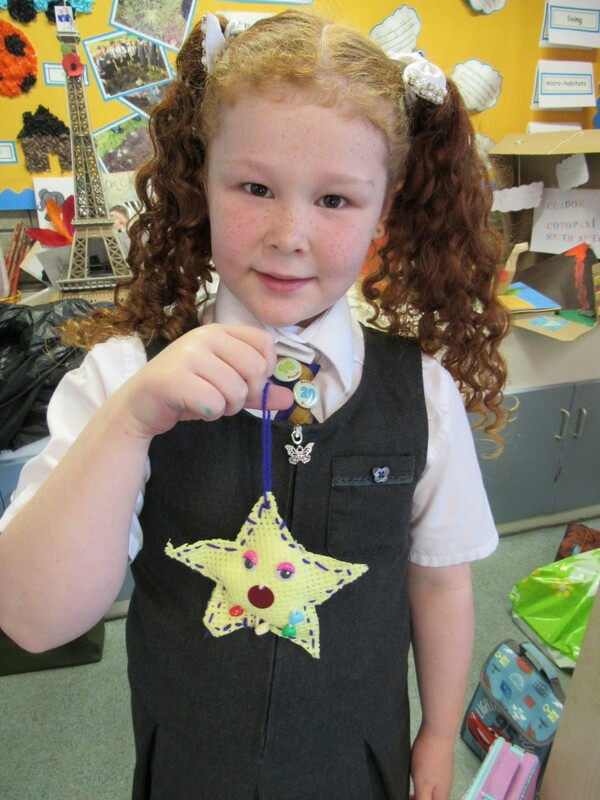 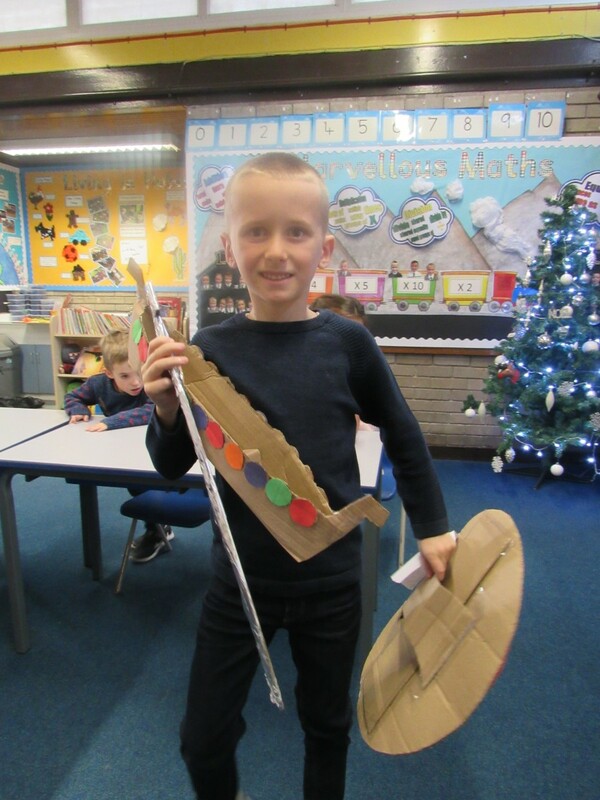 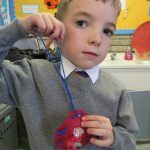 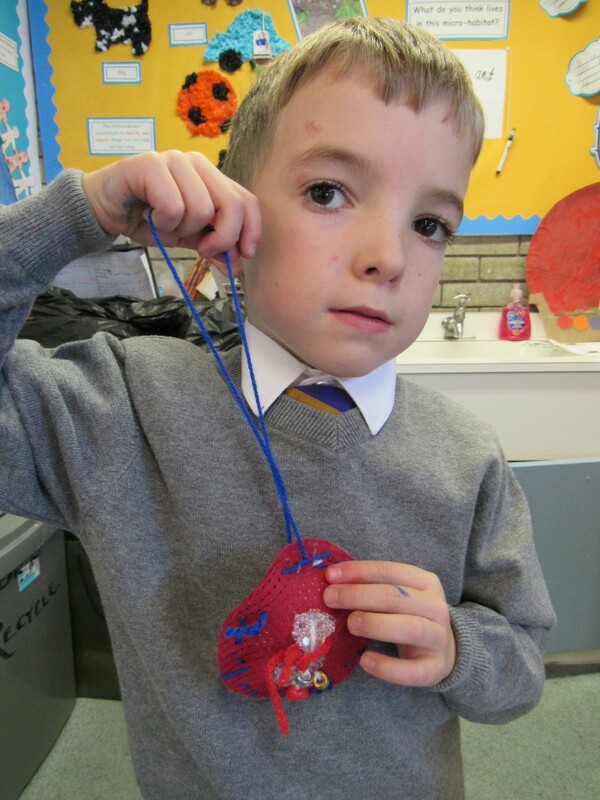 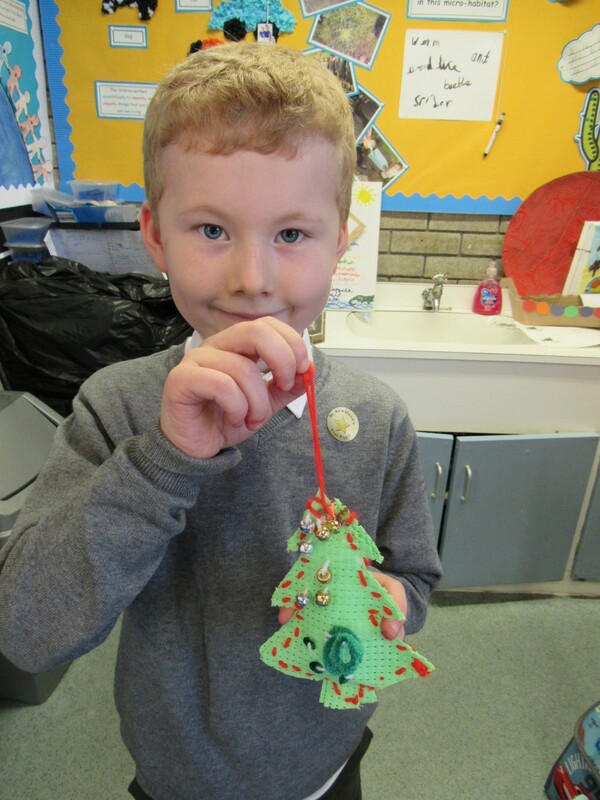 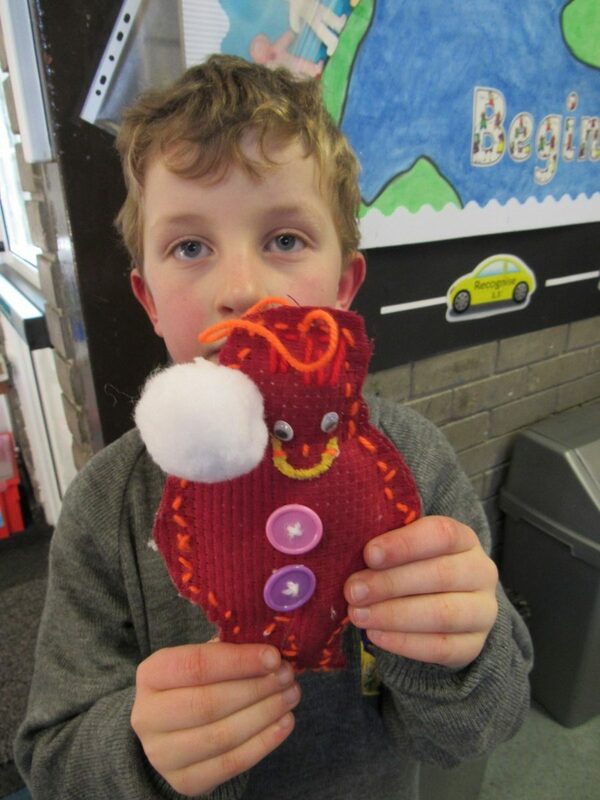 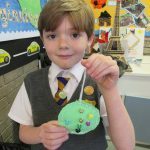 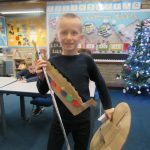 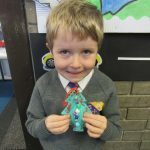 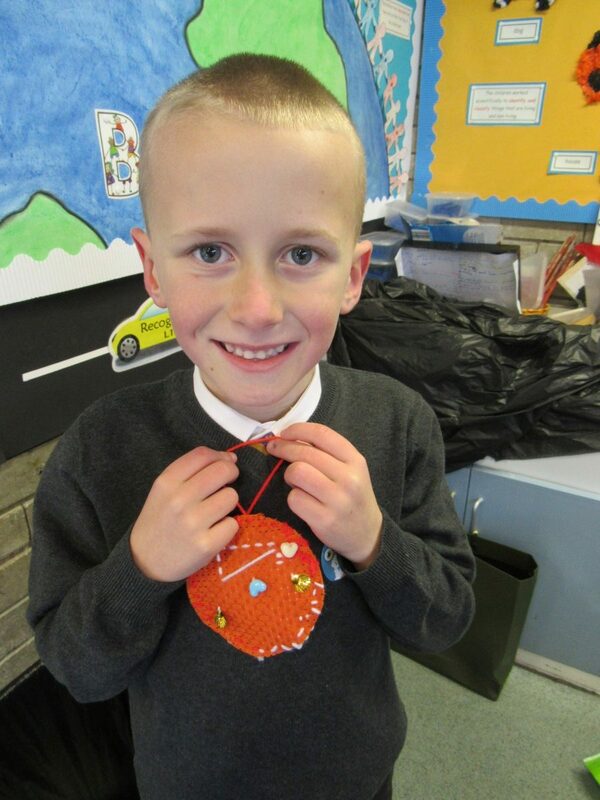 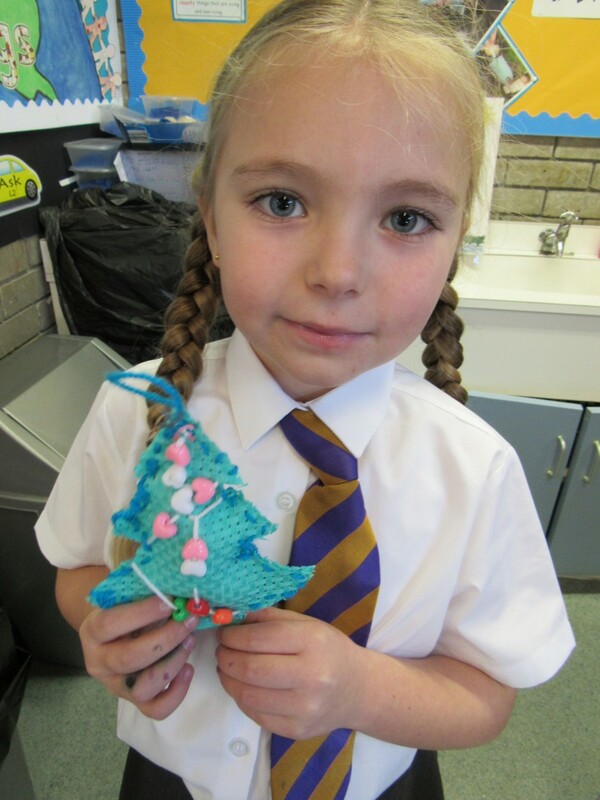 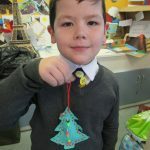 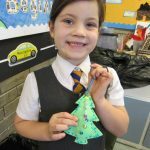 The children in Year 2 followed a design criteria to design, make and evaluate their own Christmas decorations. 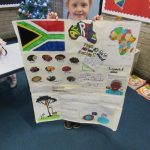 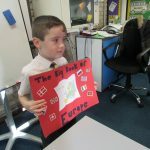 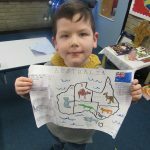 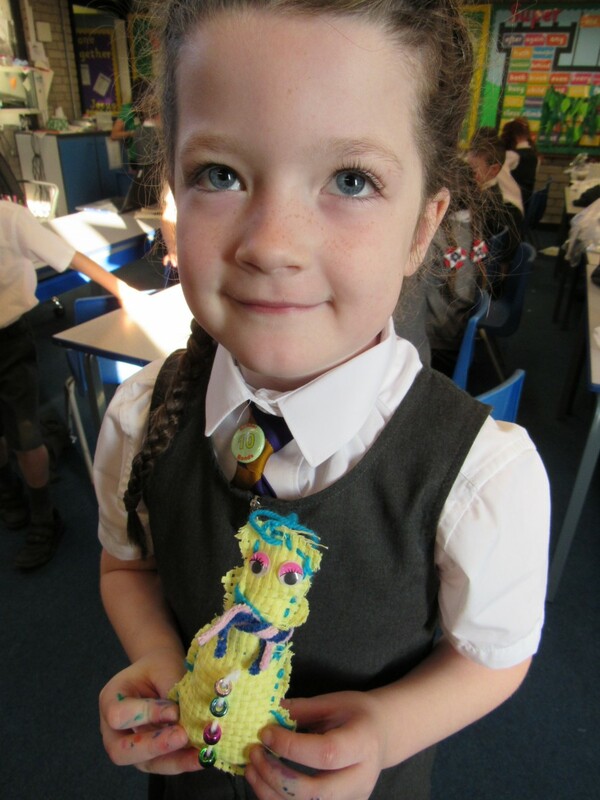 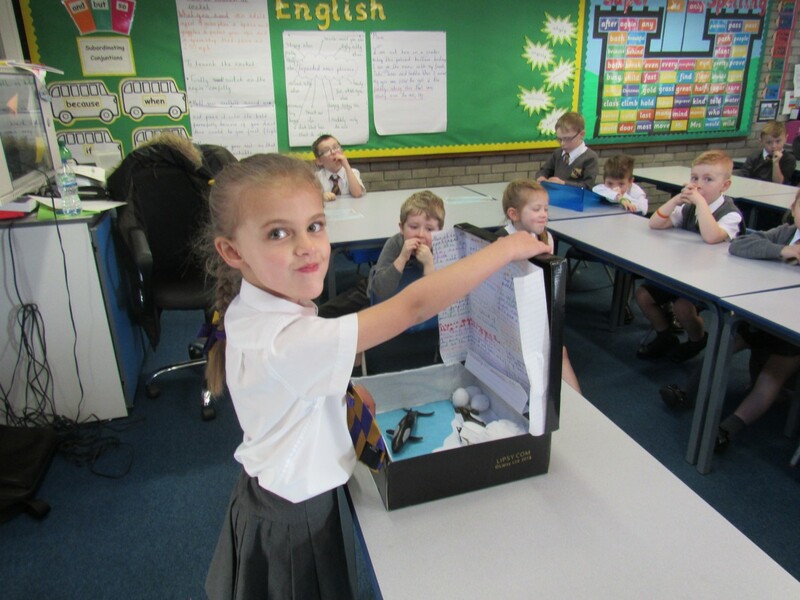 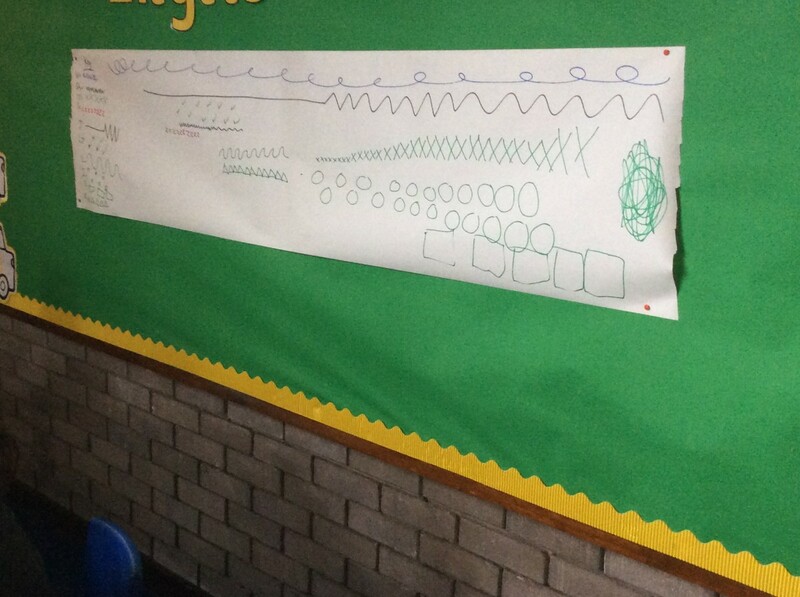 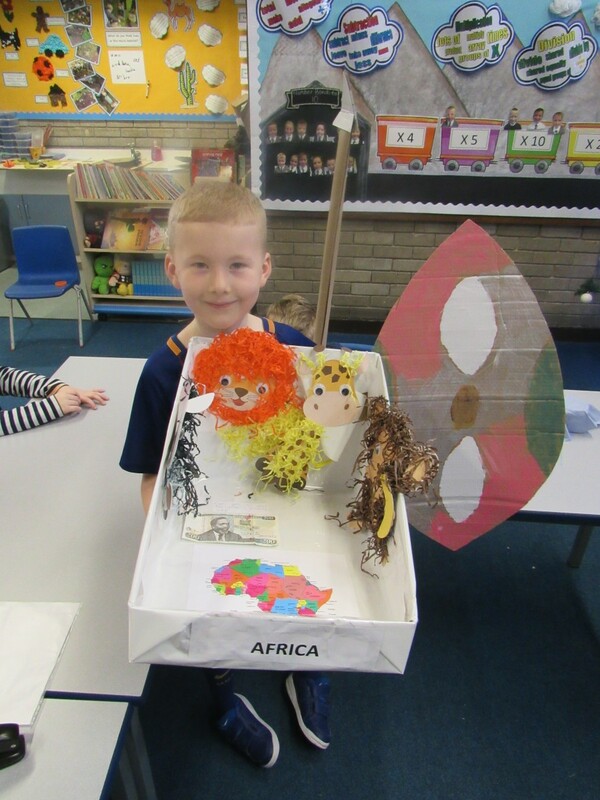 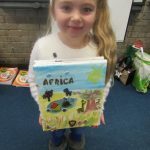 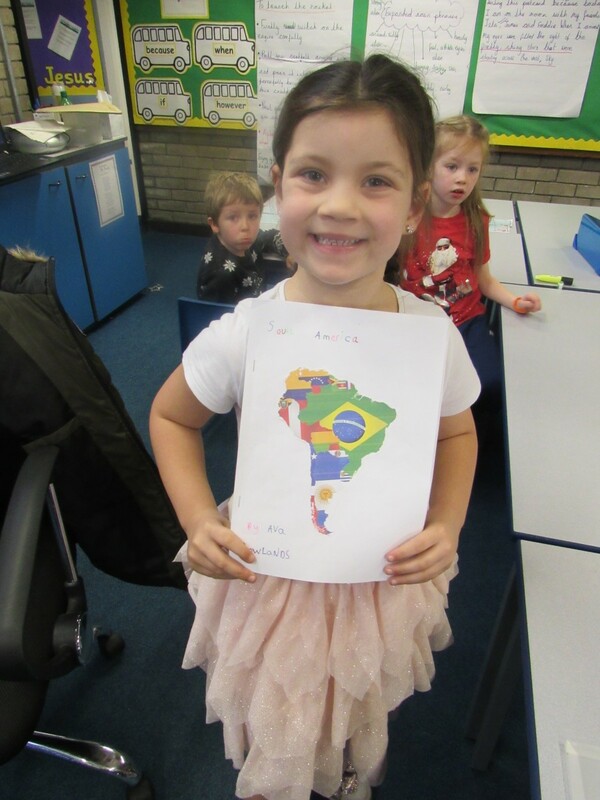 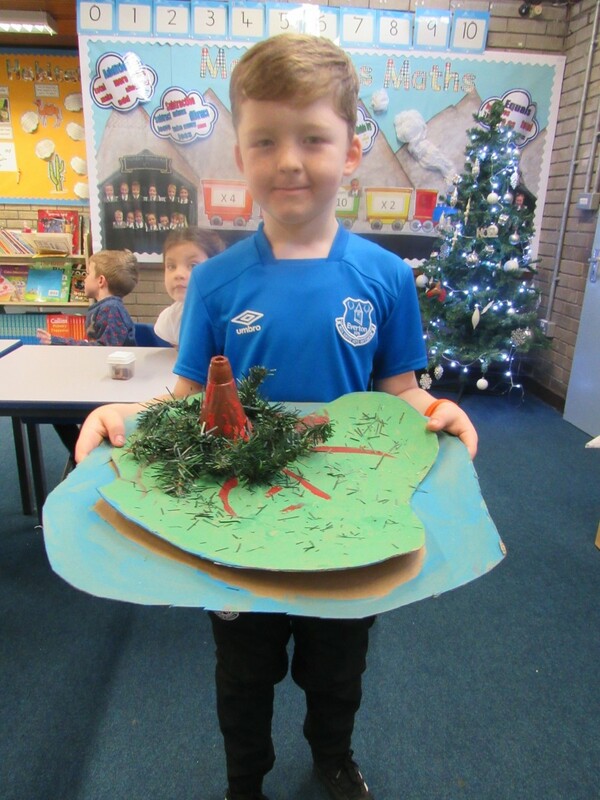 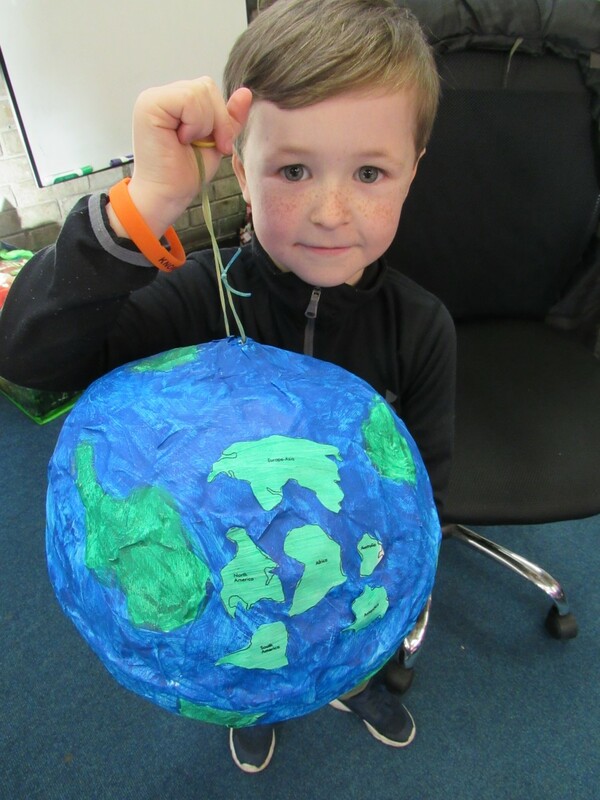 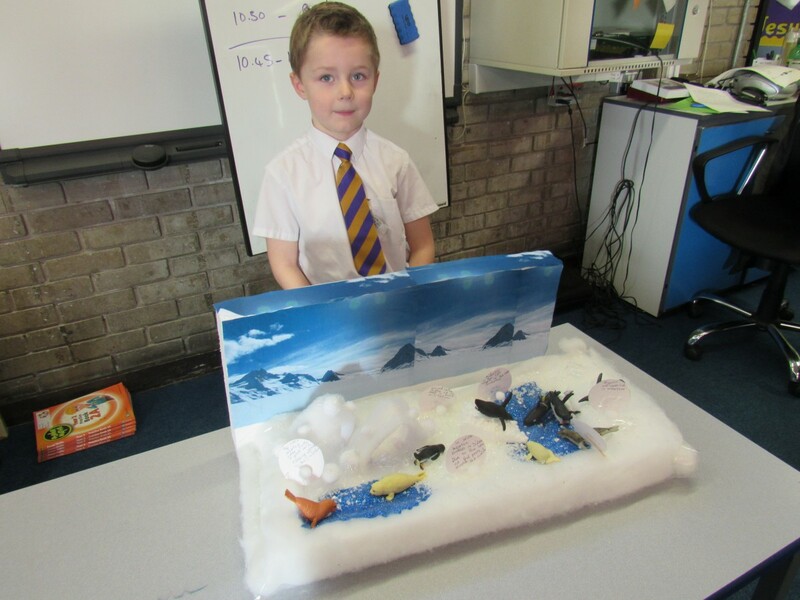 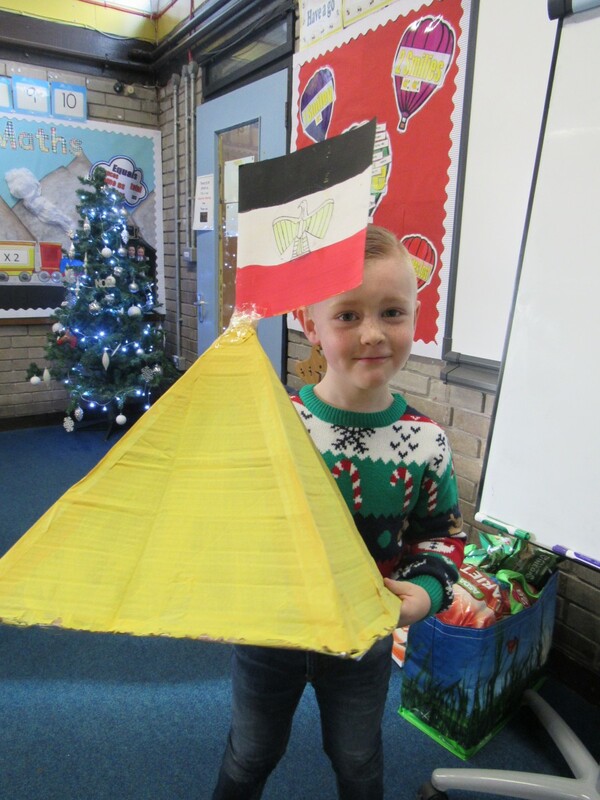 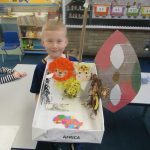 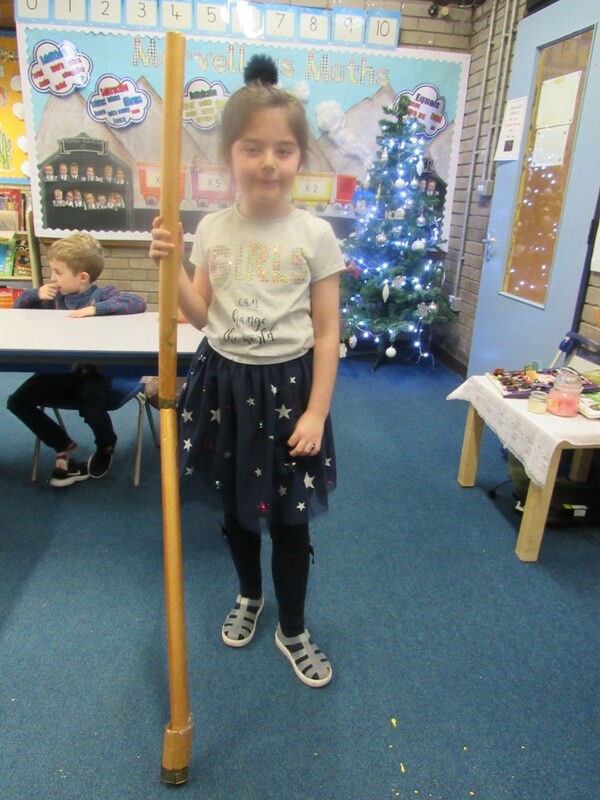 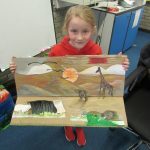 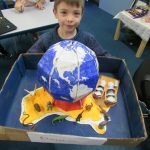 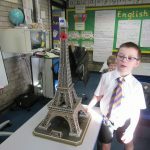 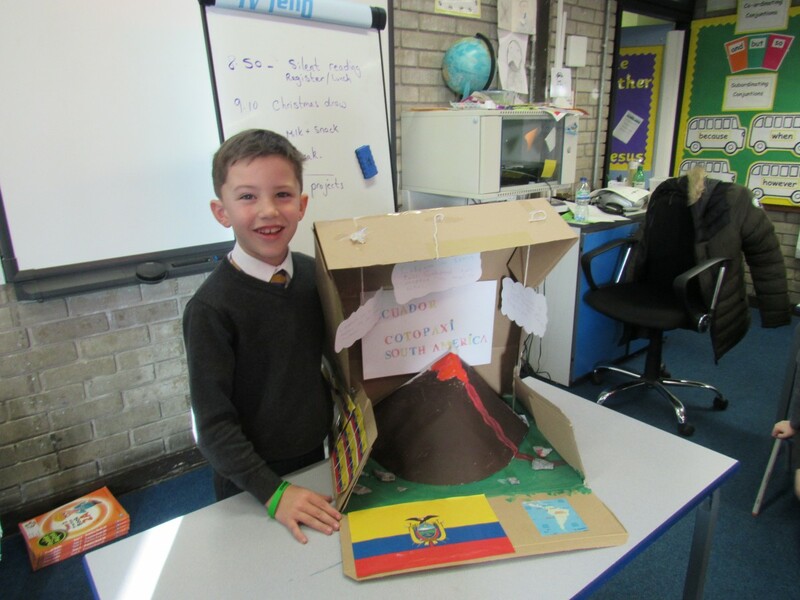 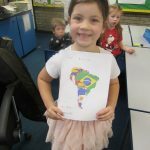 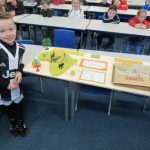 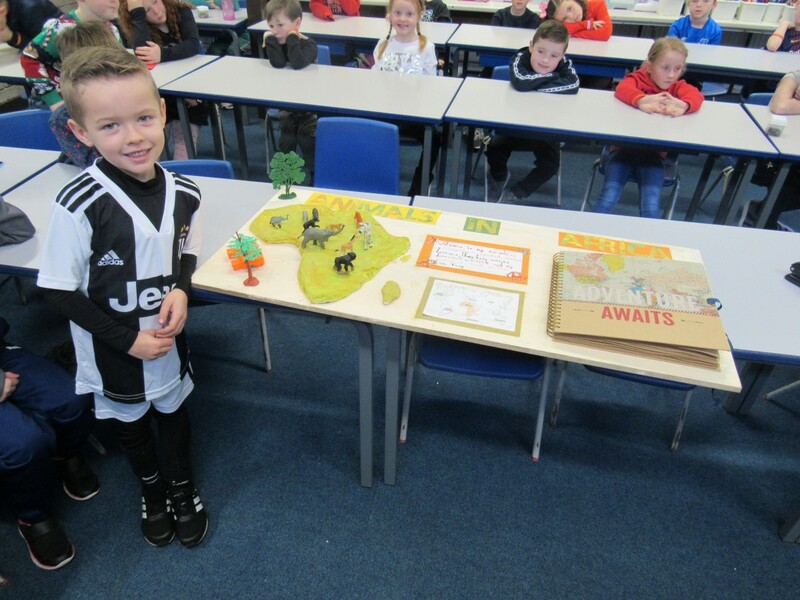 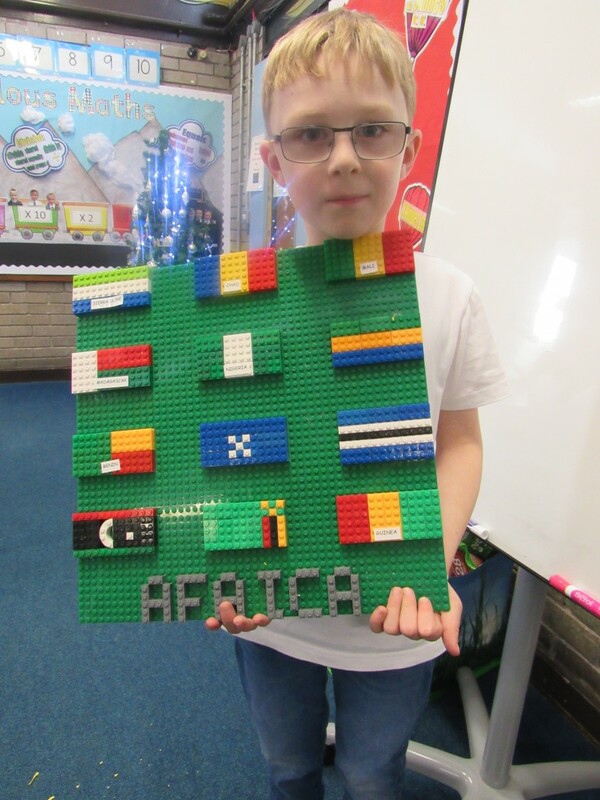 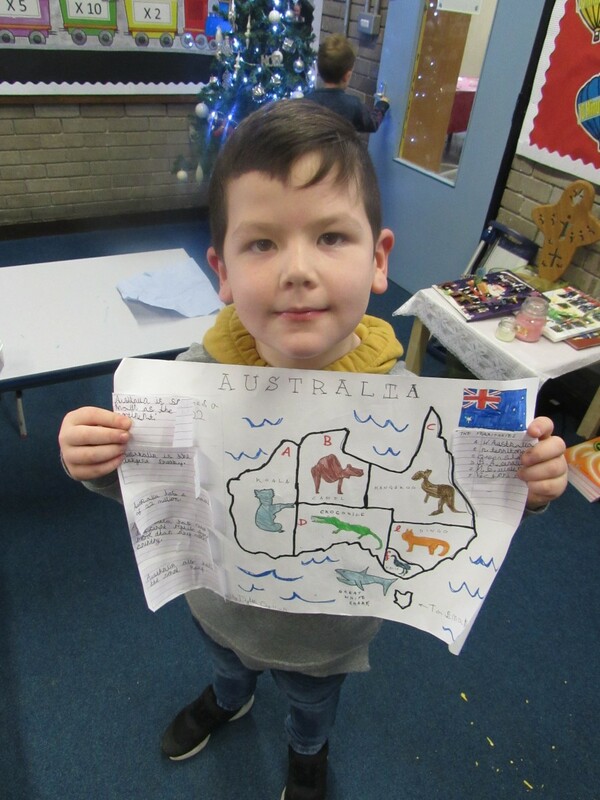 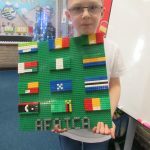 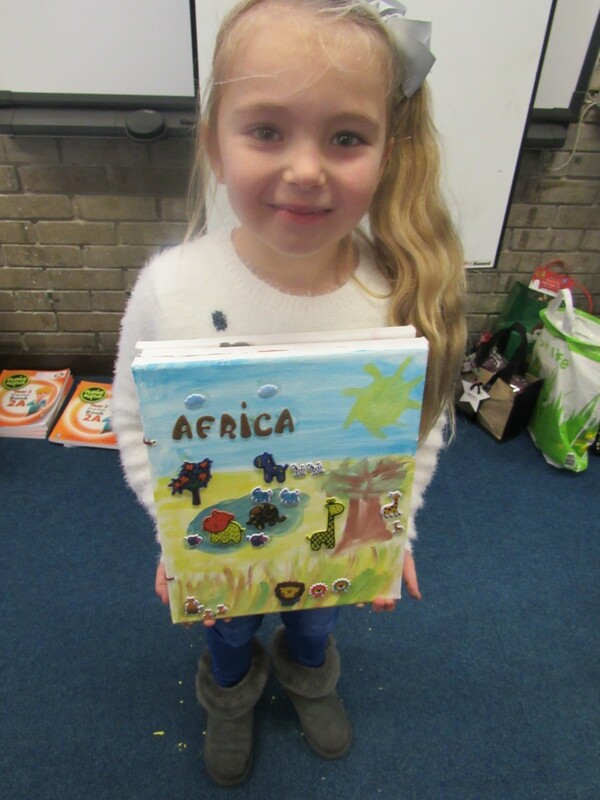 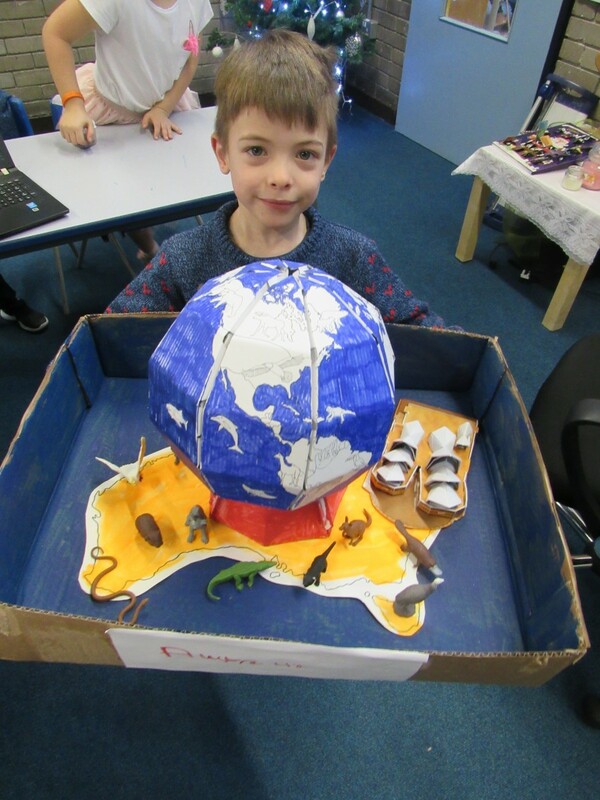 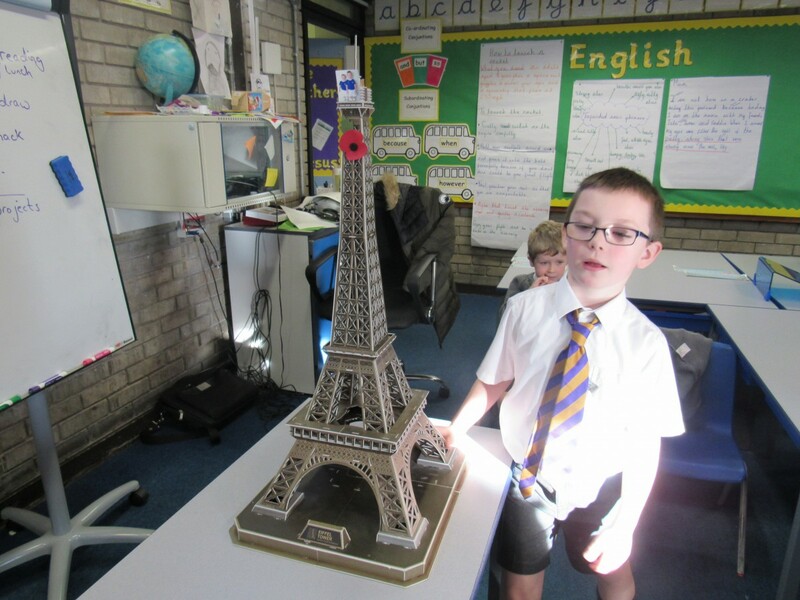 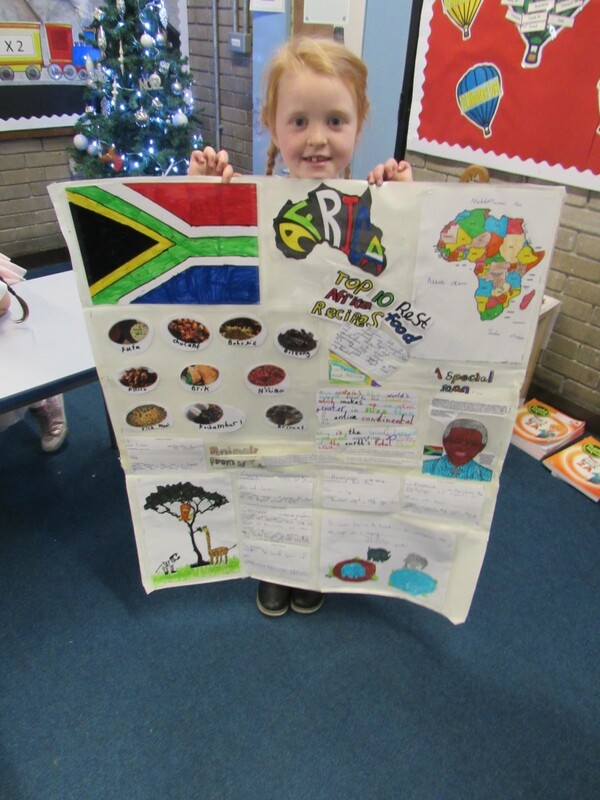 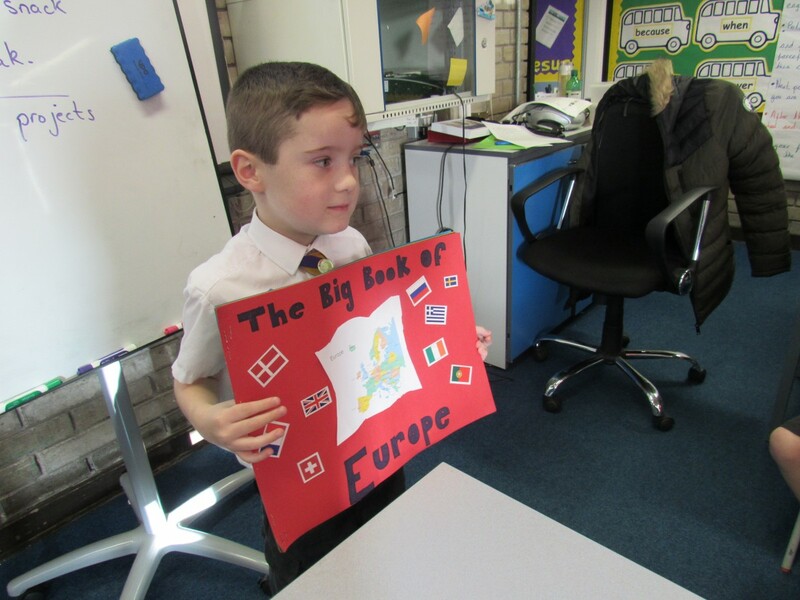 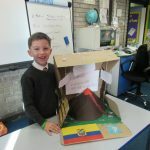 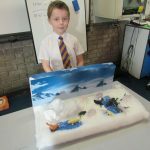 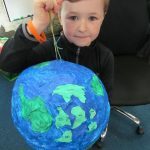 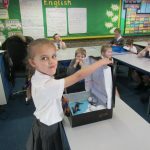 The Year 2 children have been learning about the seven continents and five oceans of the world. 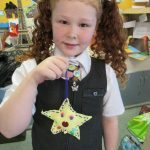 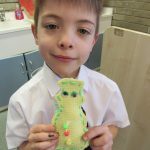 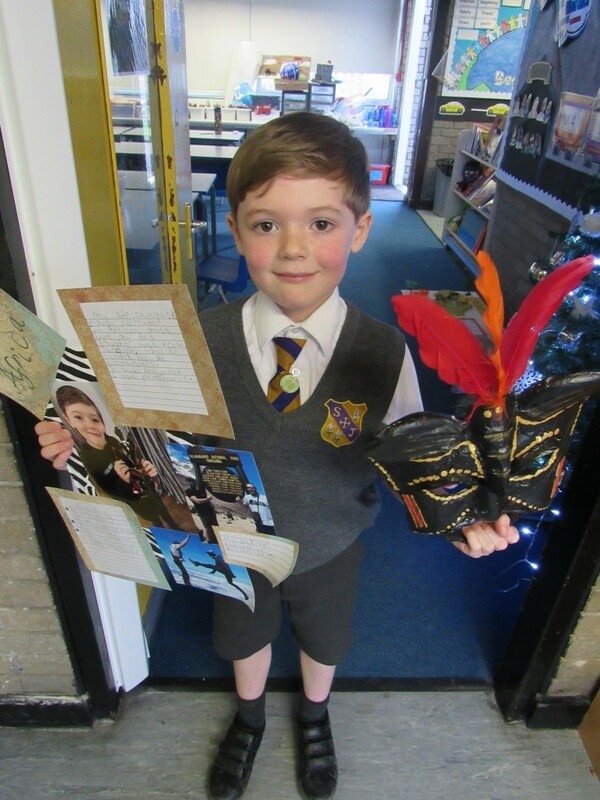 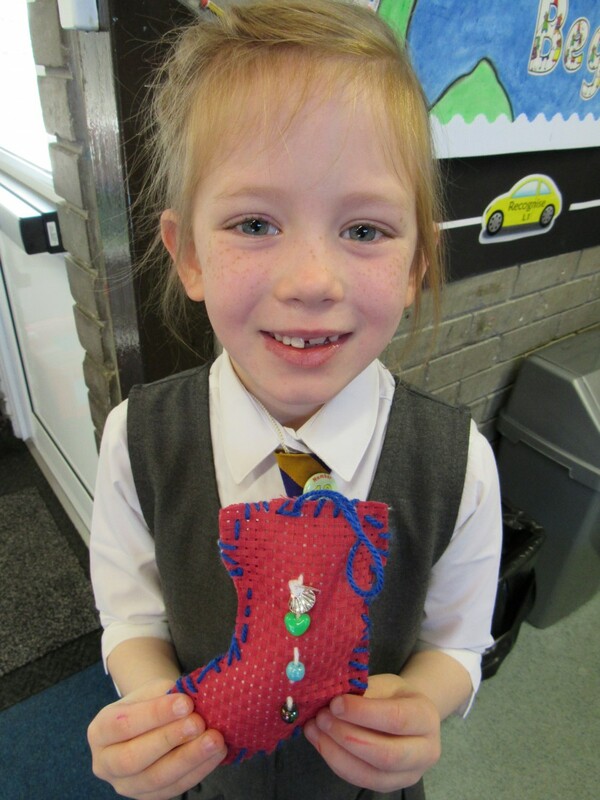 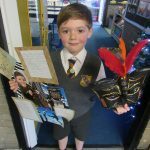 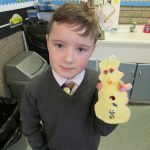 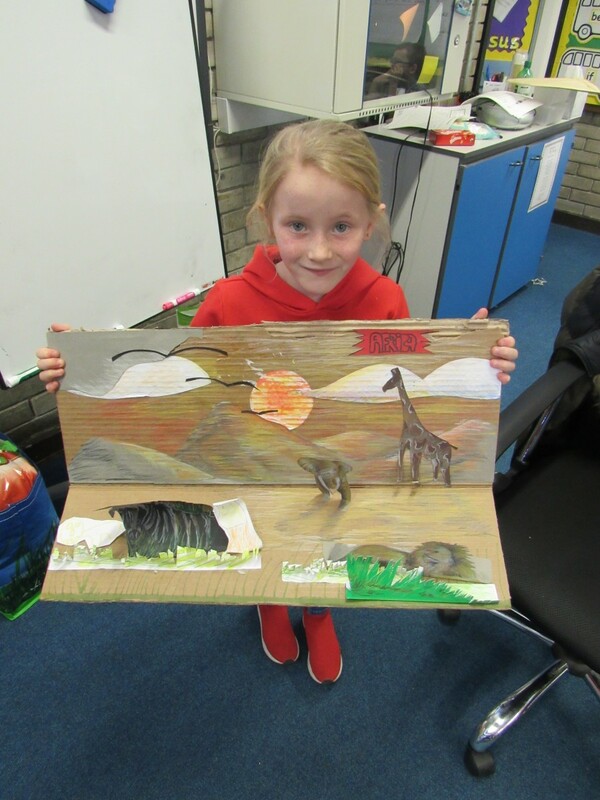 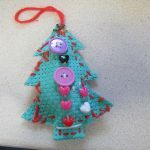 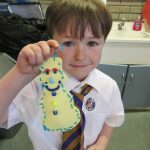 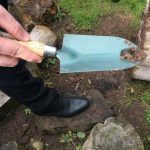 Here are some of the children’s projects that they completed at home with their loved ones. 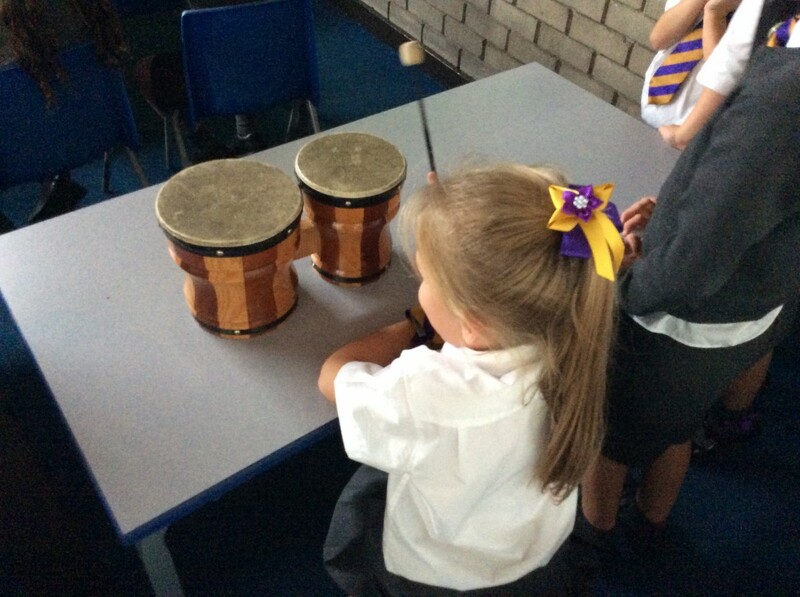 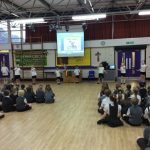 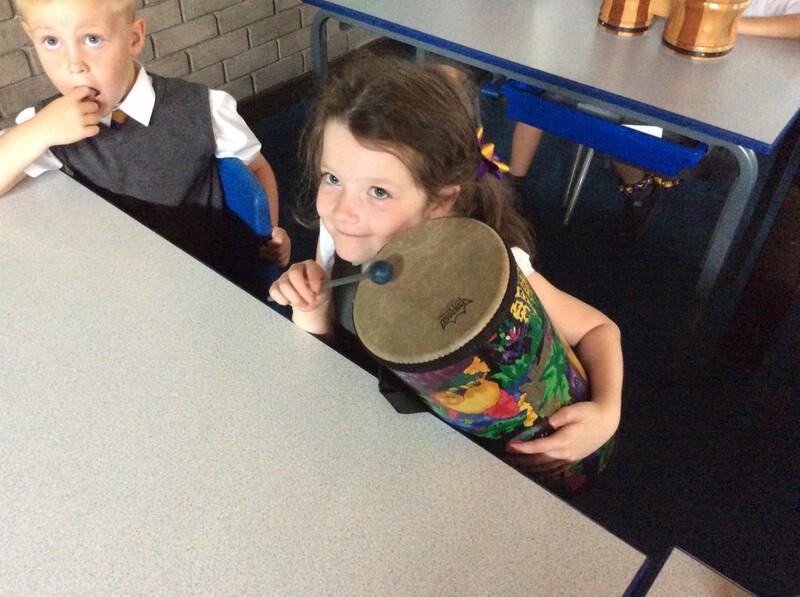 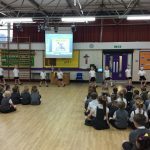 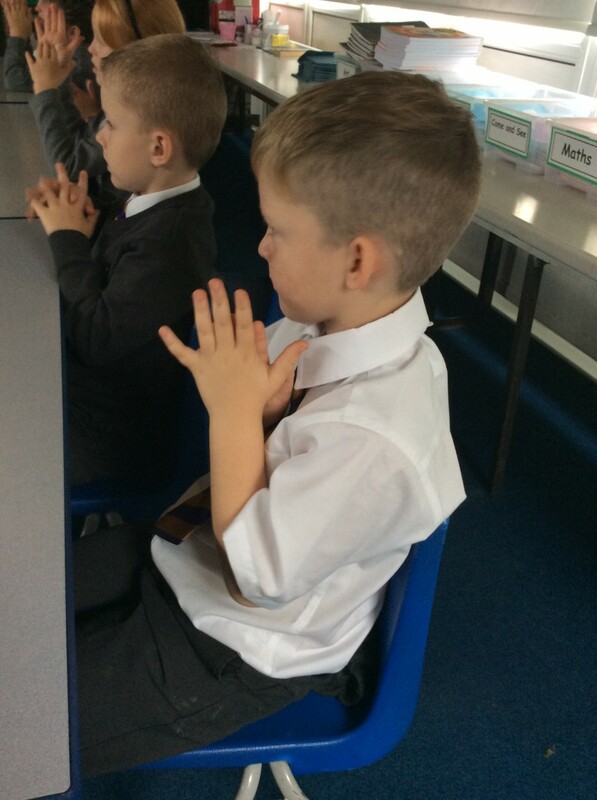 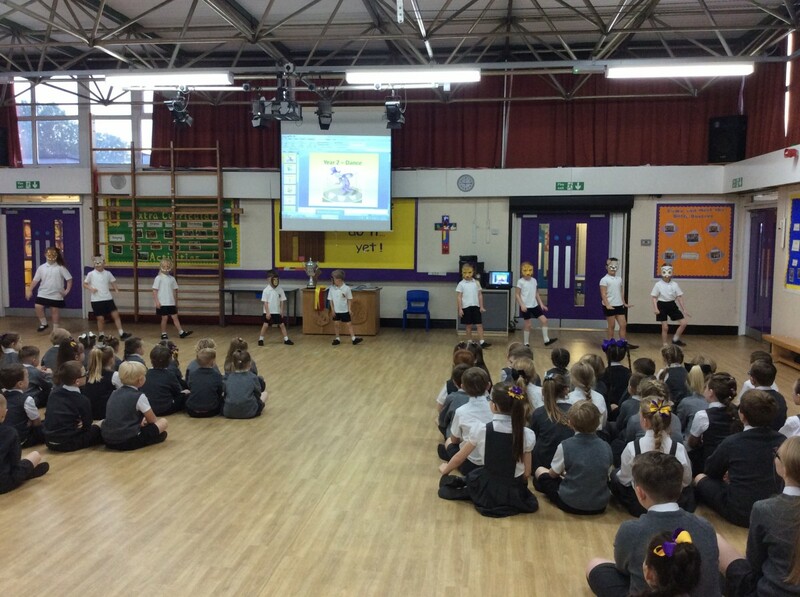 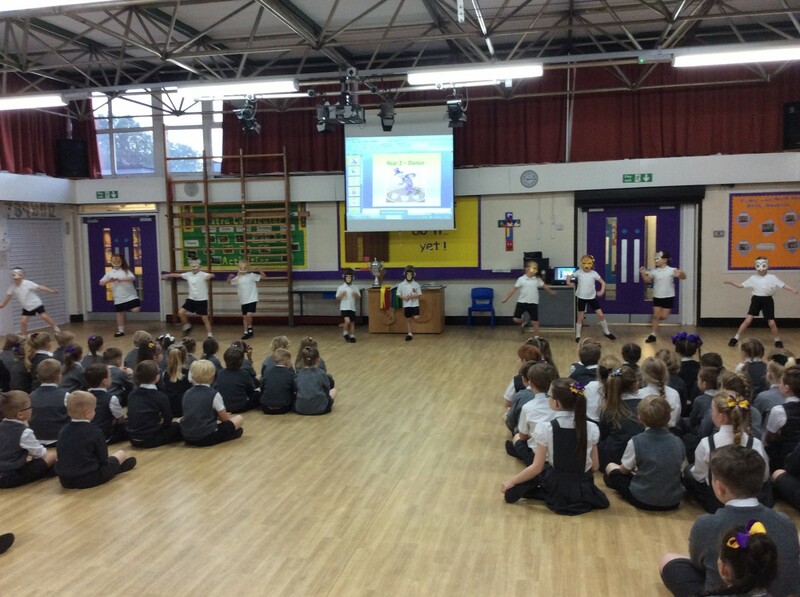 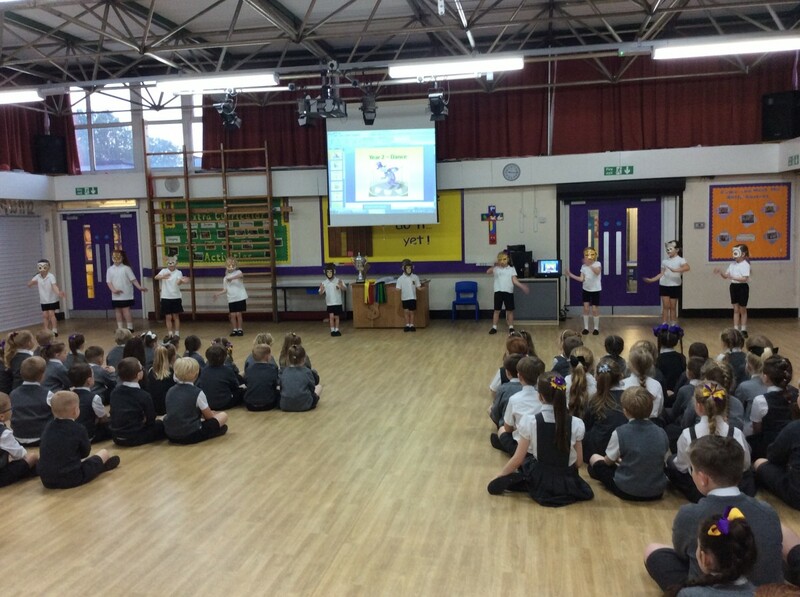 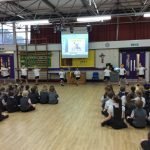 The children in Year 2 performed a dance inspired by the class read ‘WILD’. 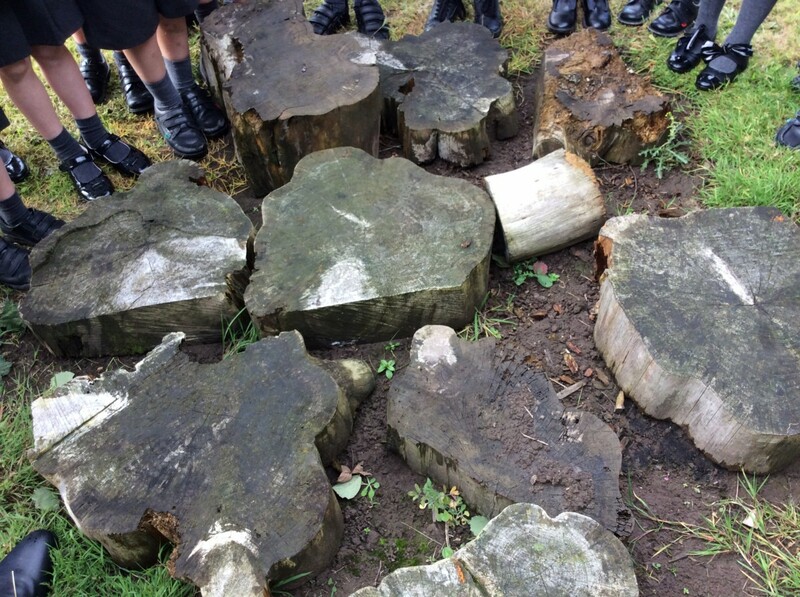 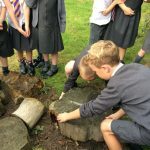 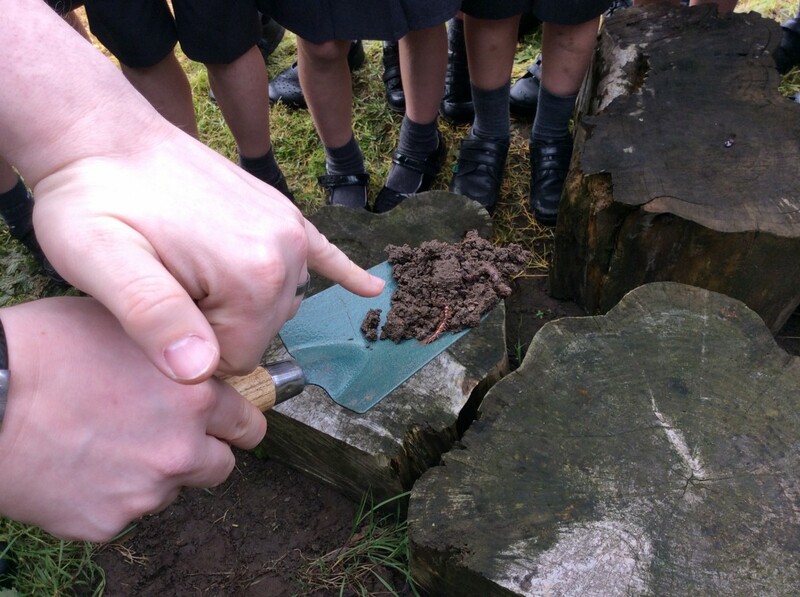 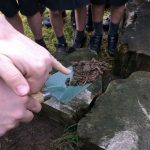 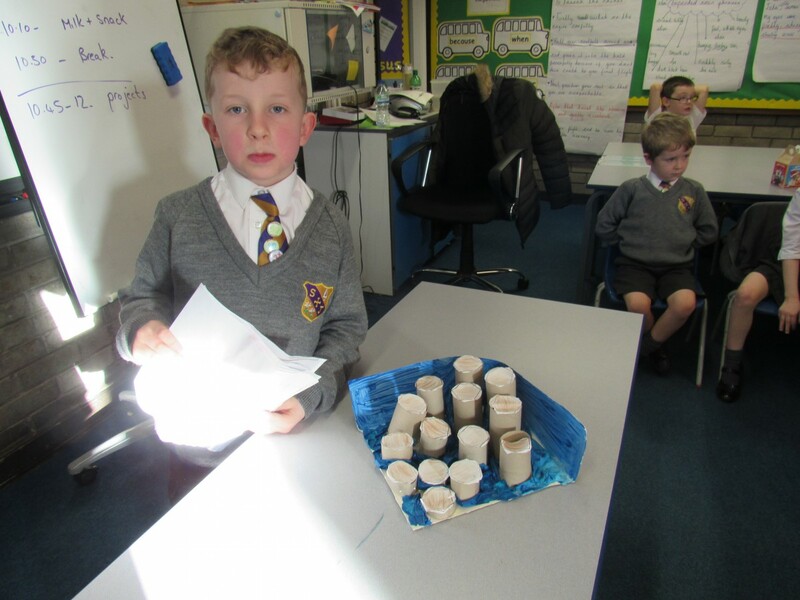 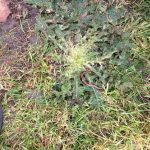 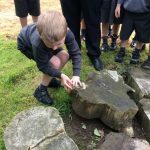 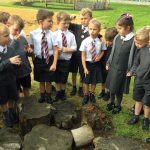 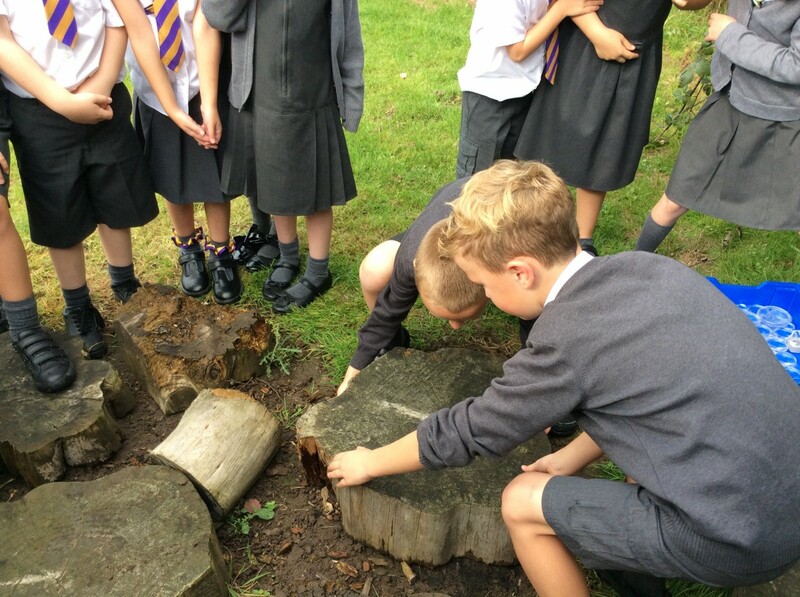 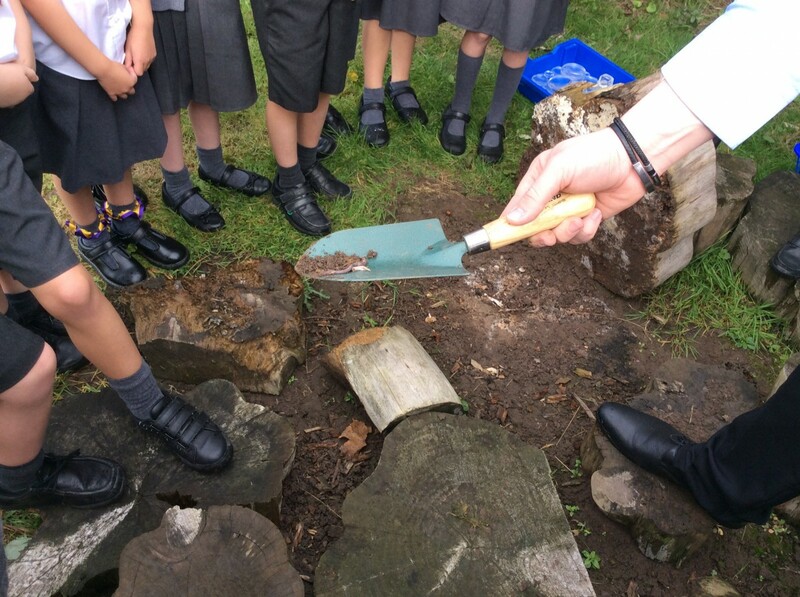 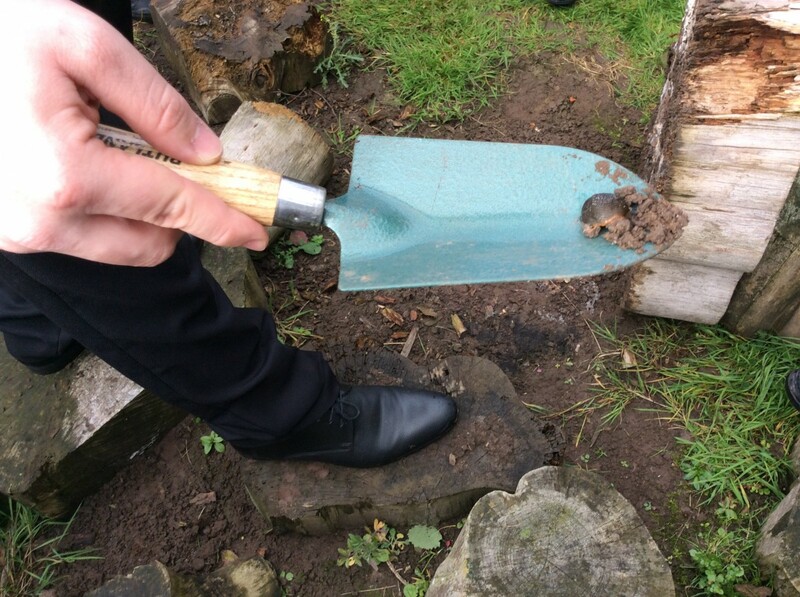 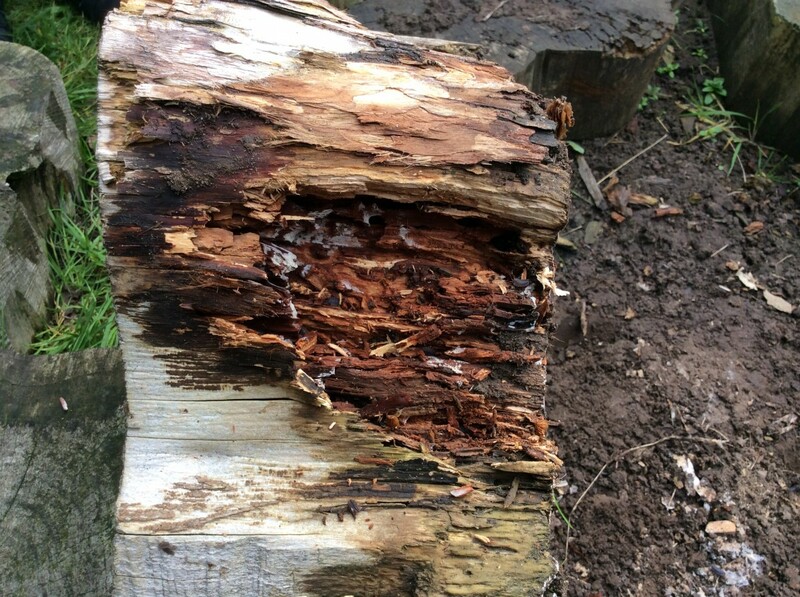 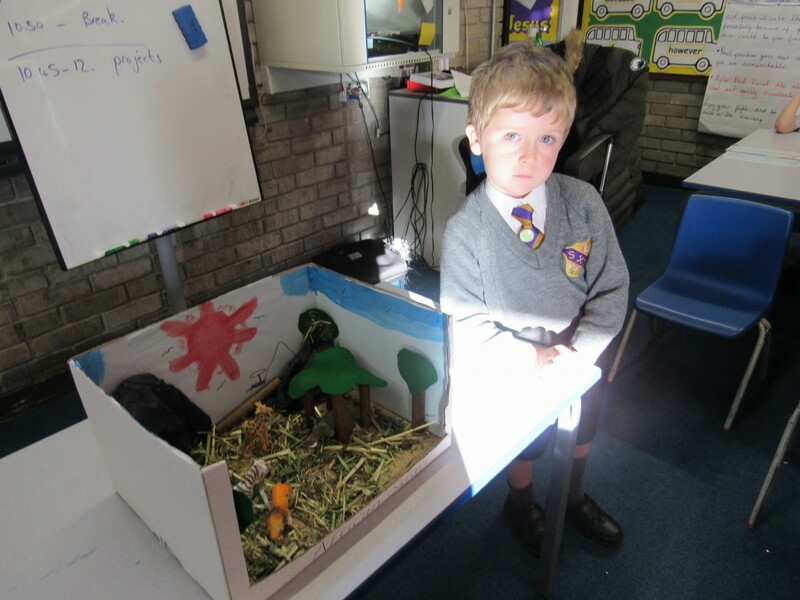 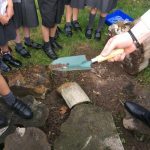 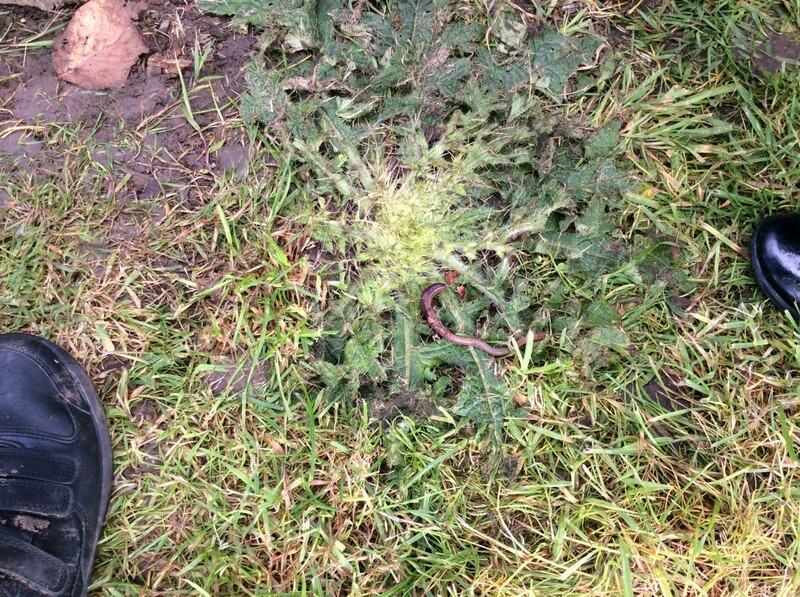 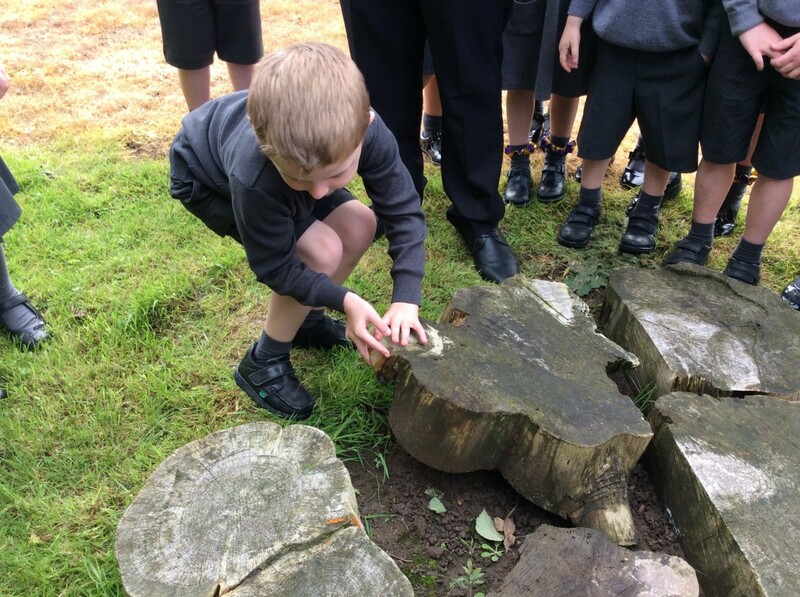 We have been working scientifically to identify plants and animals that live in micro-habitats. 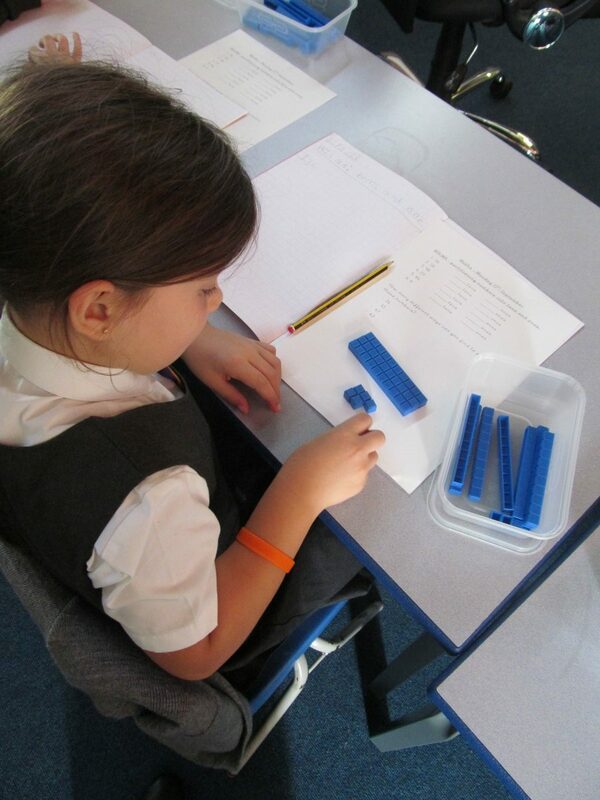 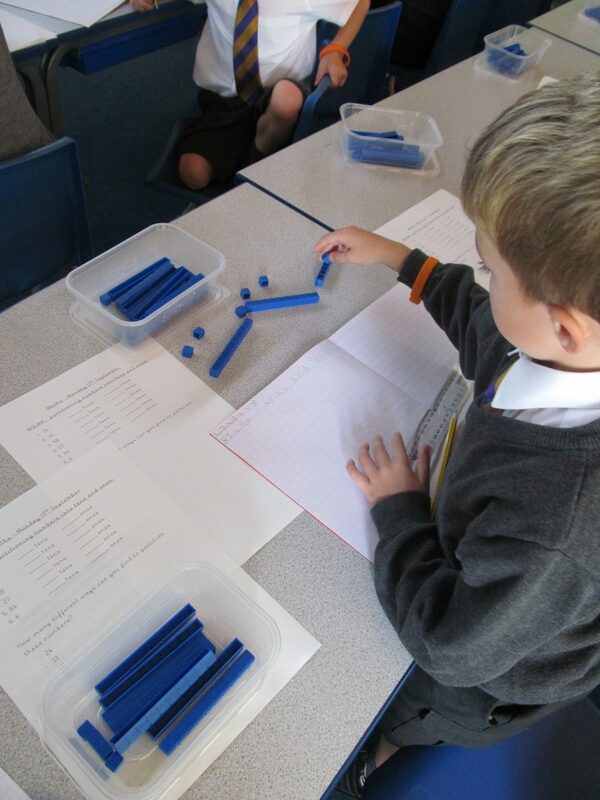 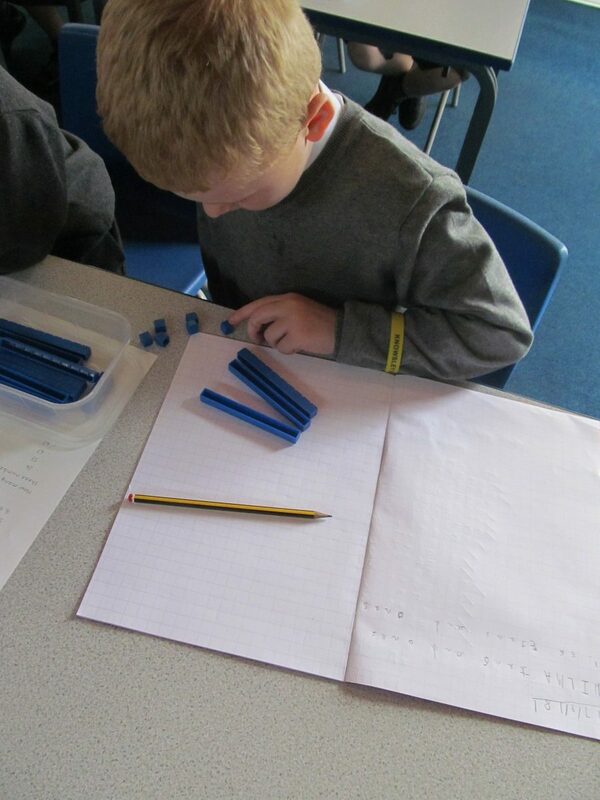 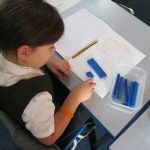 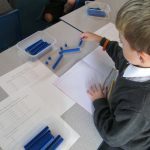 We have been using base ten to identify the number of tens and ones within a given number. 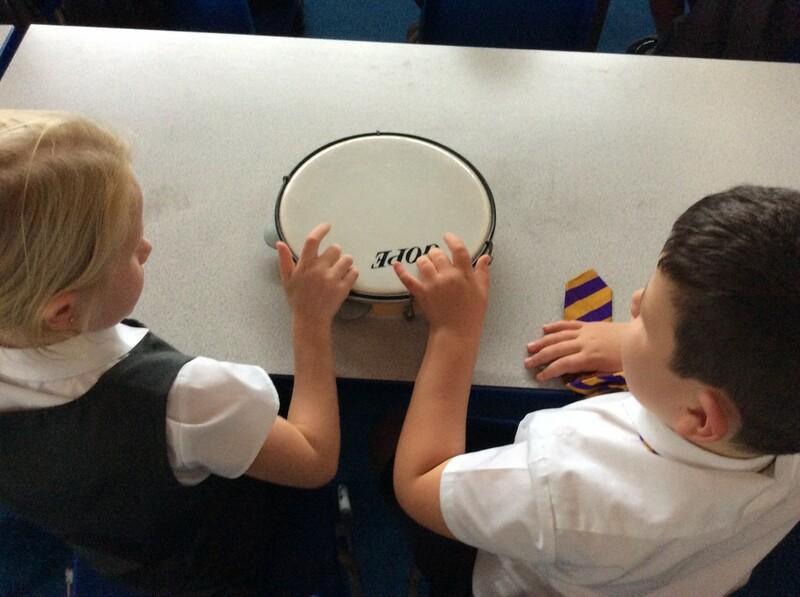 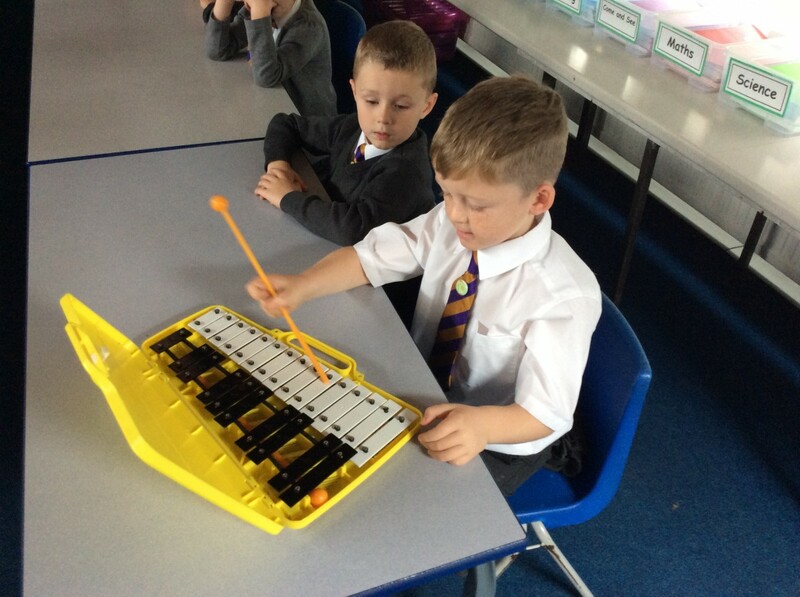 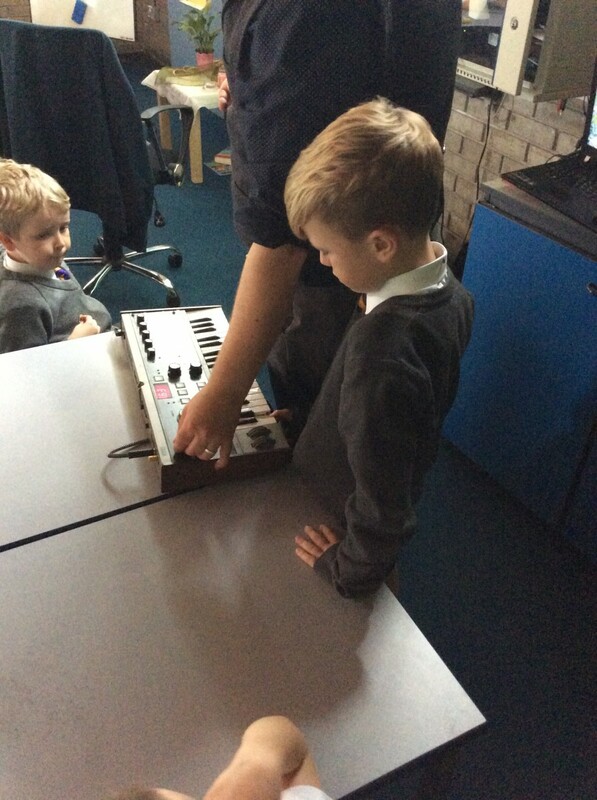 We have improvised and composed a musical piece to accompany an animation. 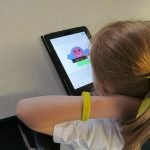 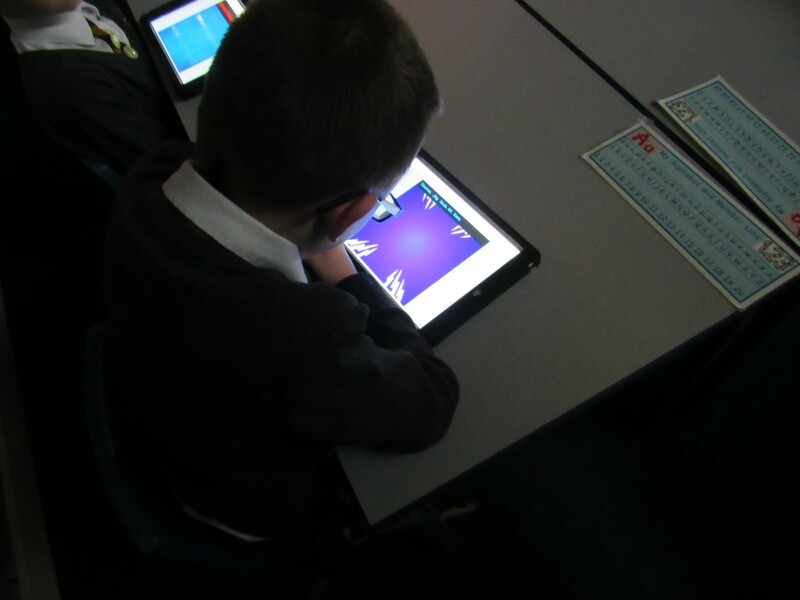 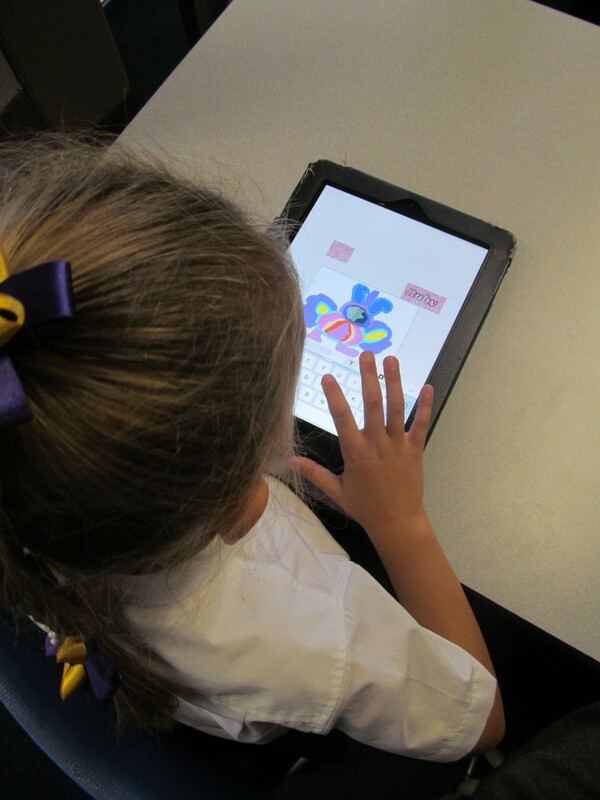 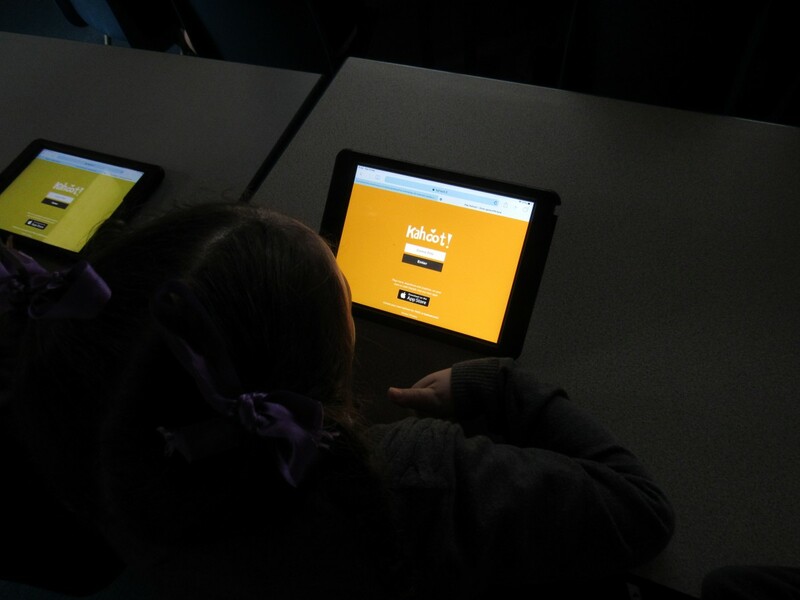 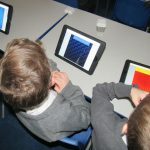 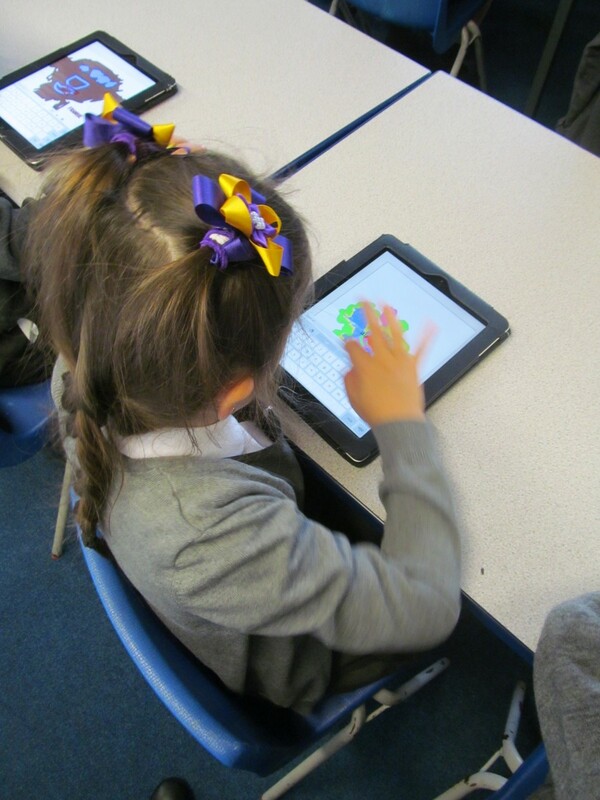 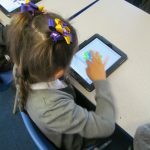 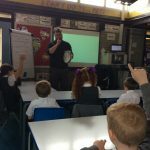 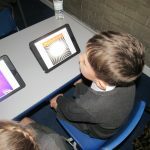 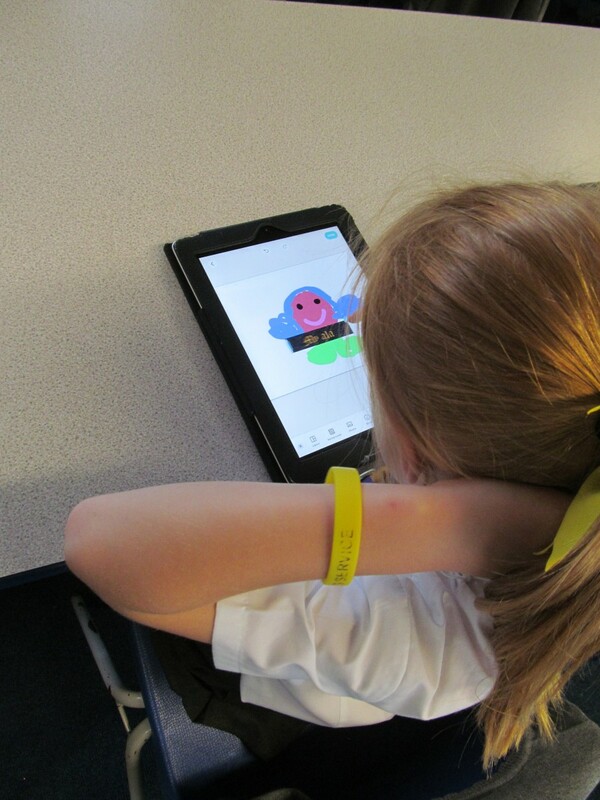 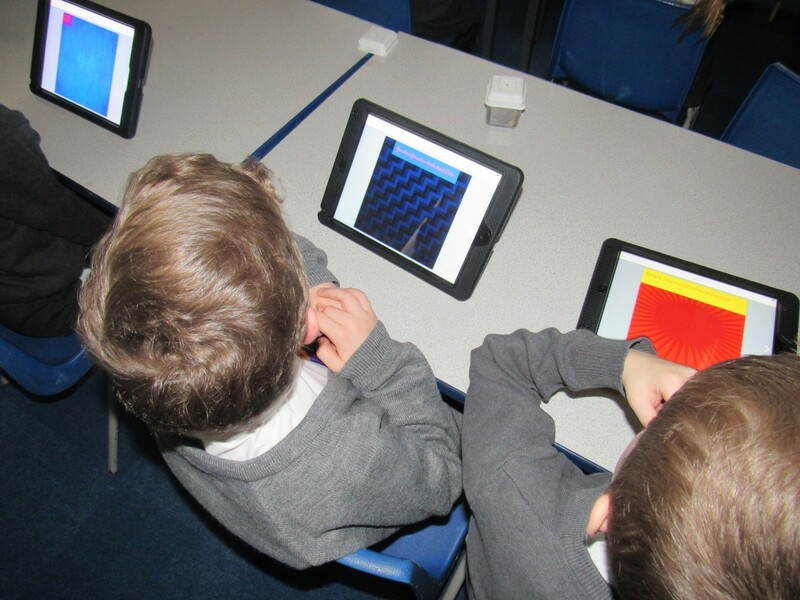 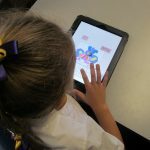 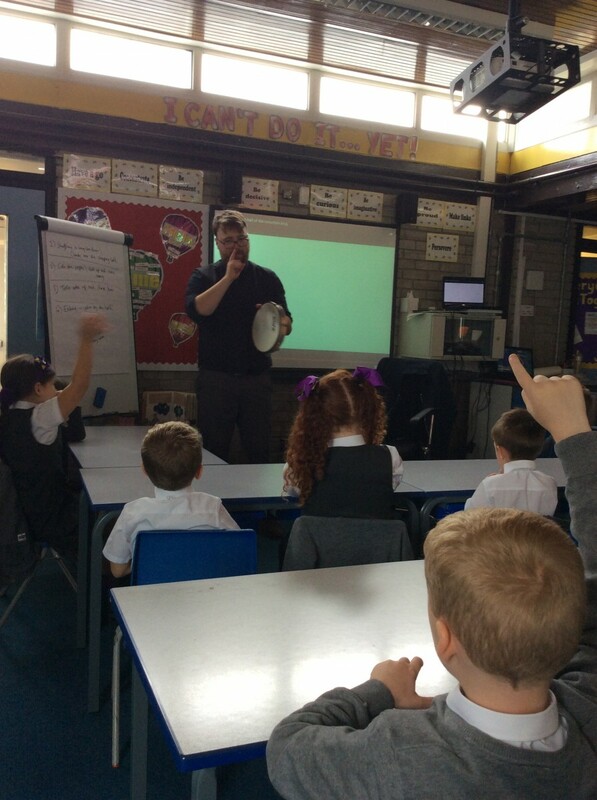 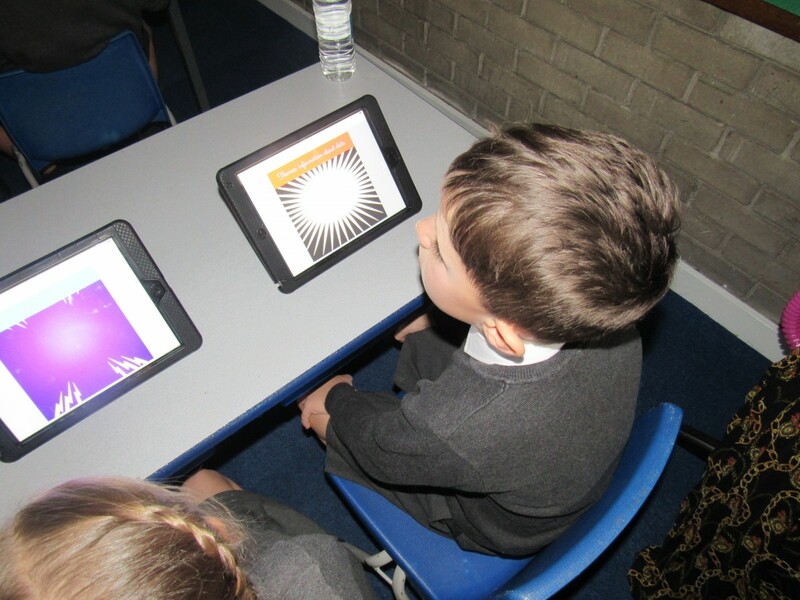 The children have worked with Gary from Knowsley CLC to create aliens and write sentences about them using the app Brushes. 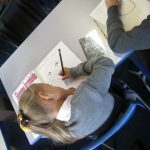 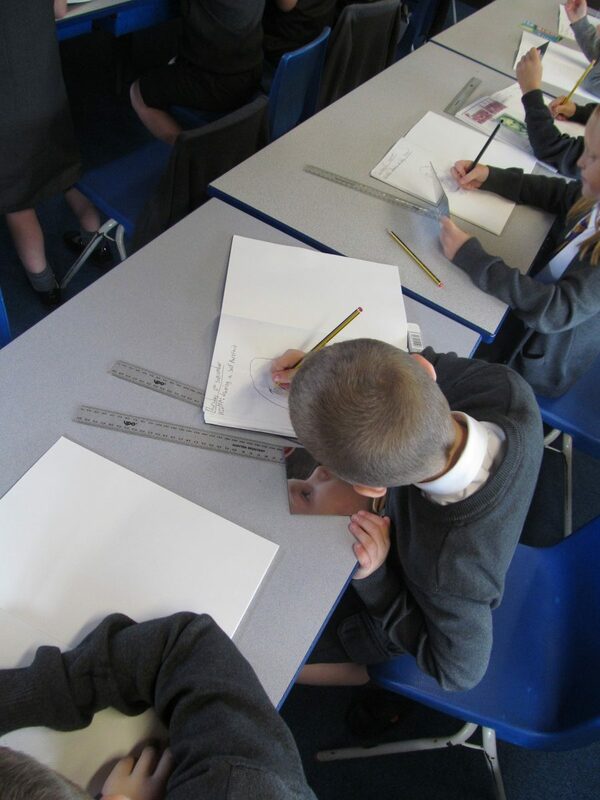 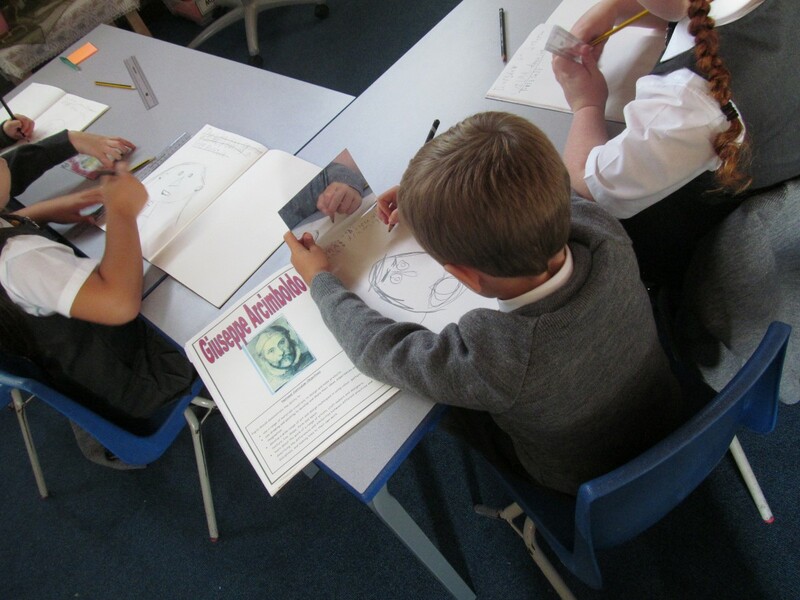 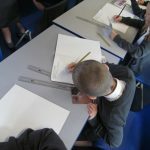 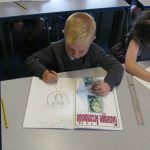 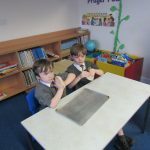 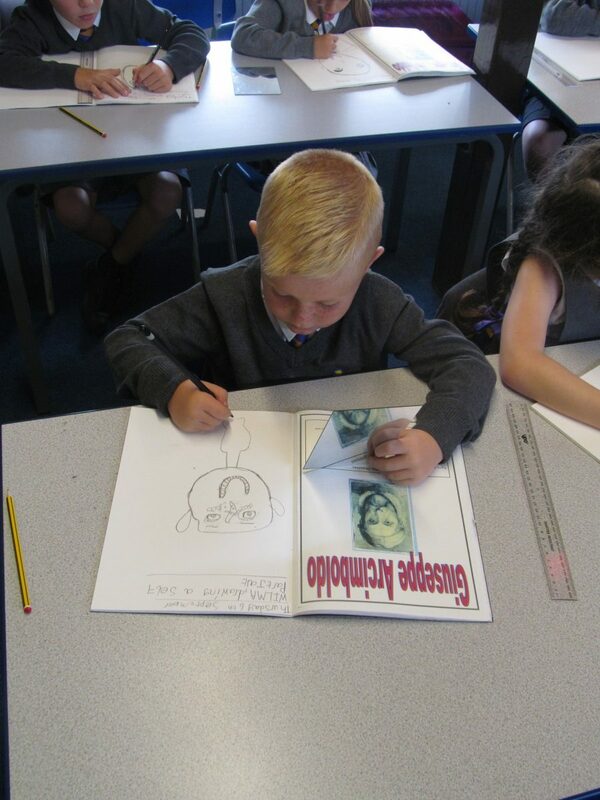 The children in have drawn self portraits of themselves using 2B art pencils. 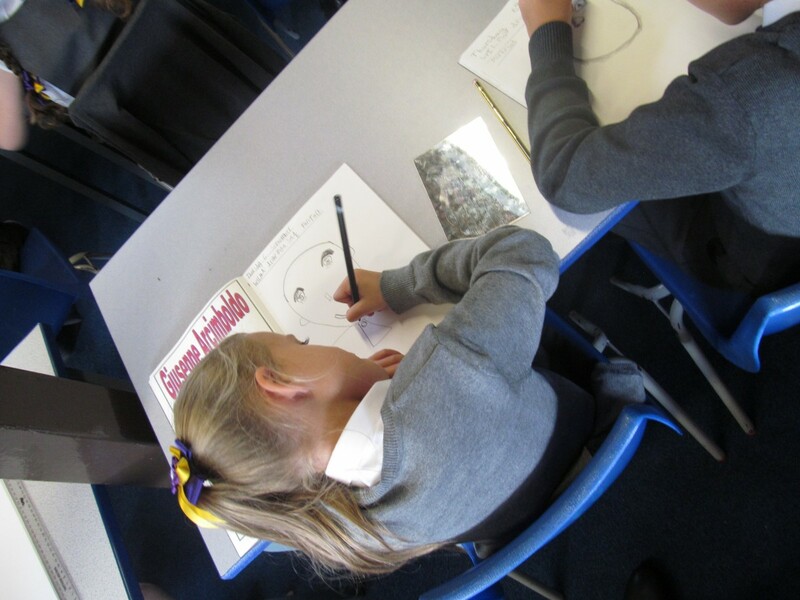 They have experimented with line, texture and shape to produce their final piece.